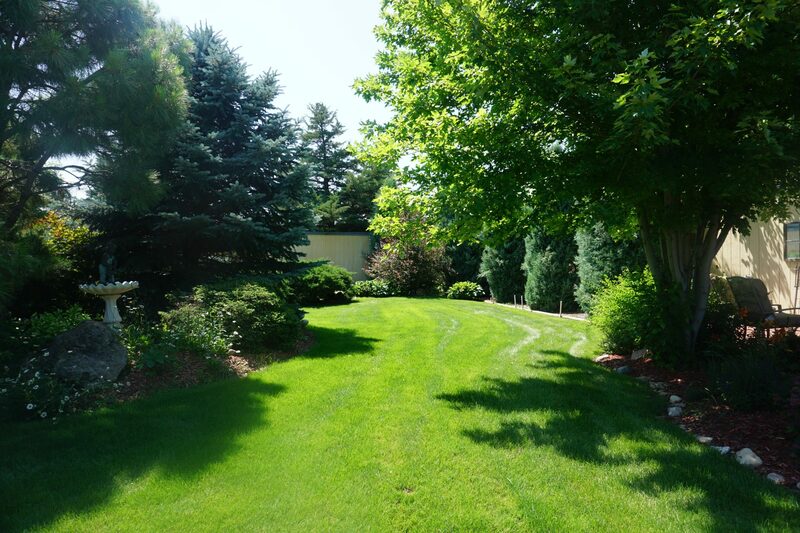 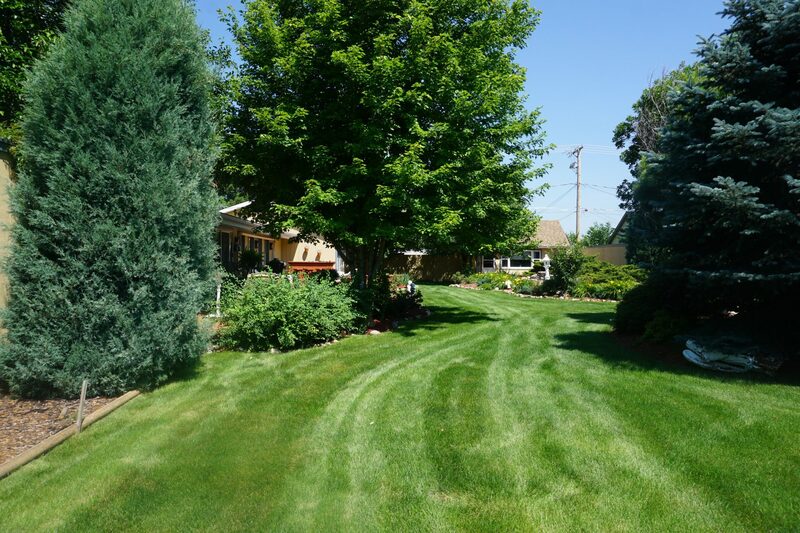 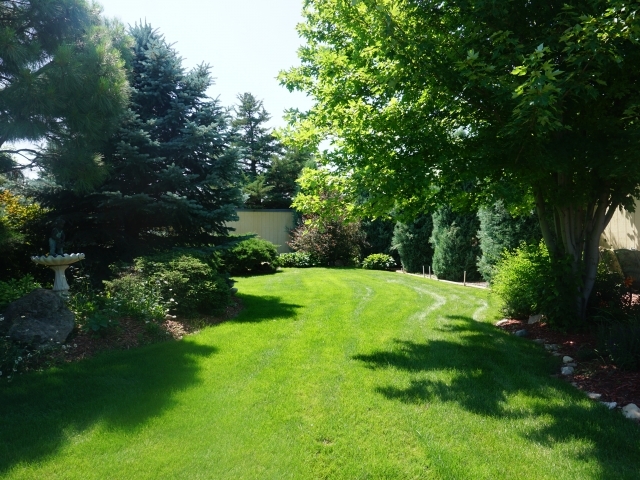 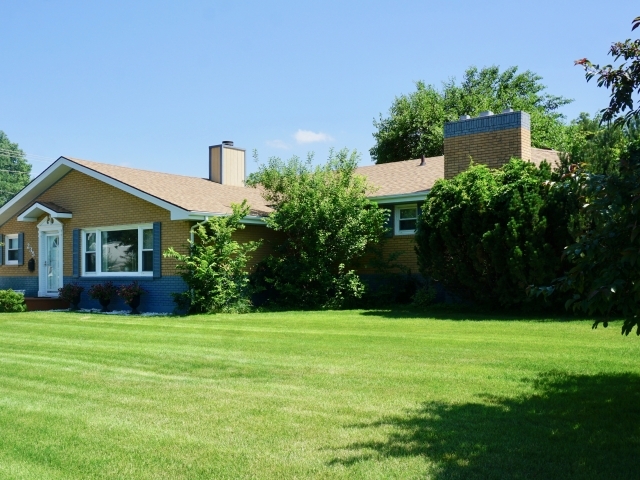 Situated on 1.17 acres on the edge of town, this home has 1,608 sq. 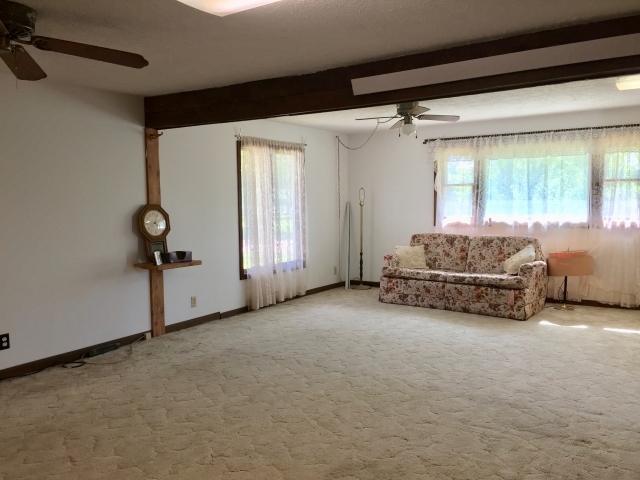 ft. living space on the main floor with a spacious open living room/dining room featuring a unique built- in china hutch, exposed beams and easy access to the kitchen from either the dining or living rooms. 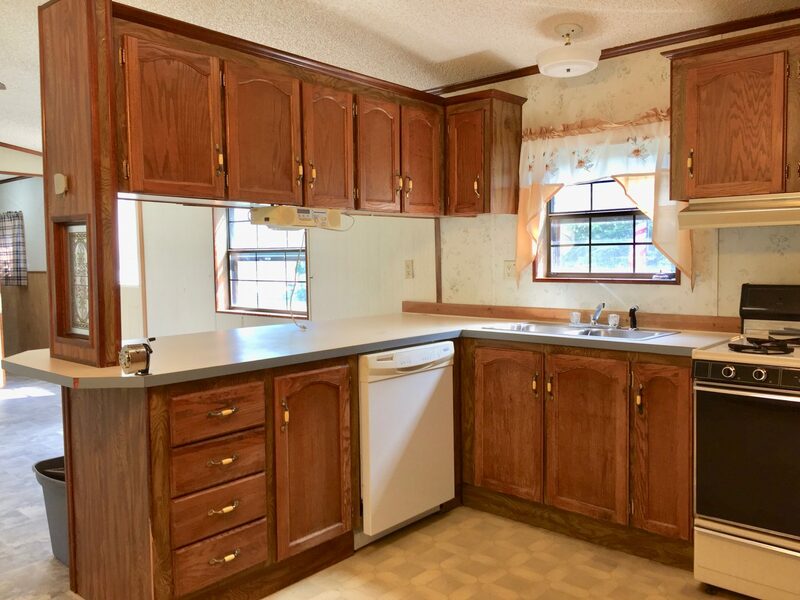 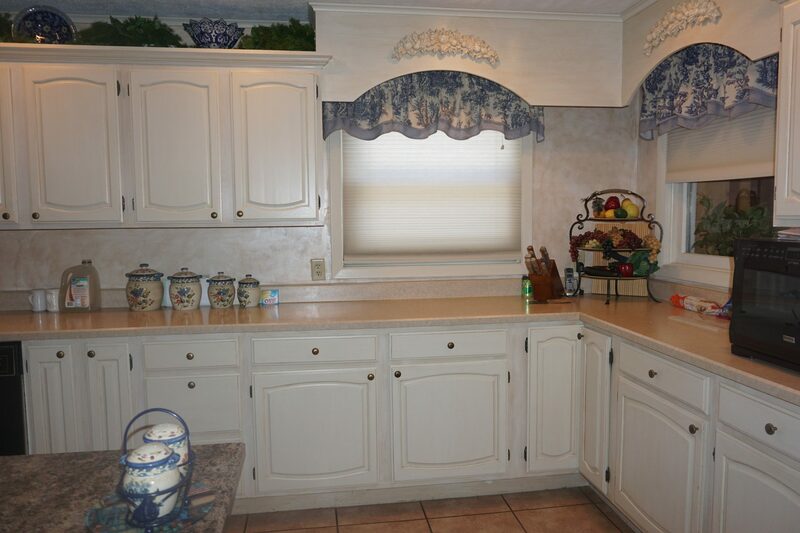 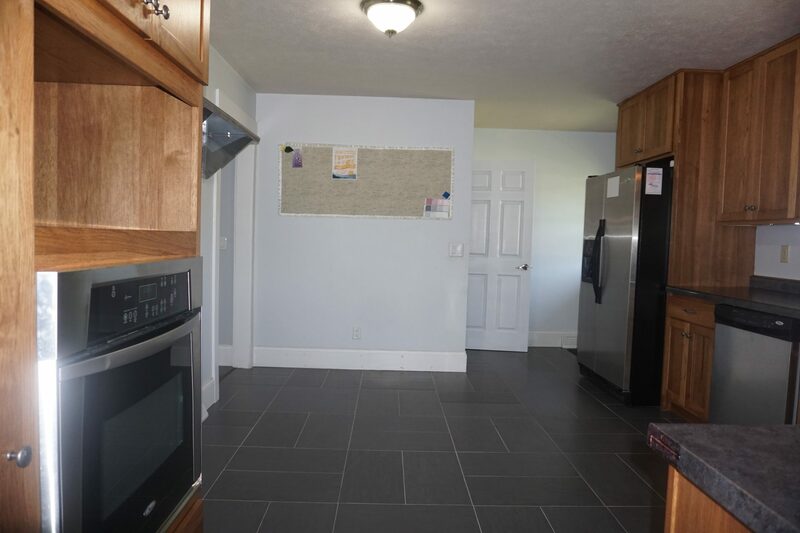 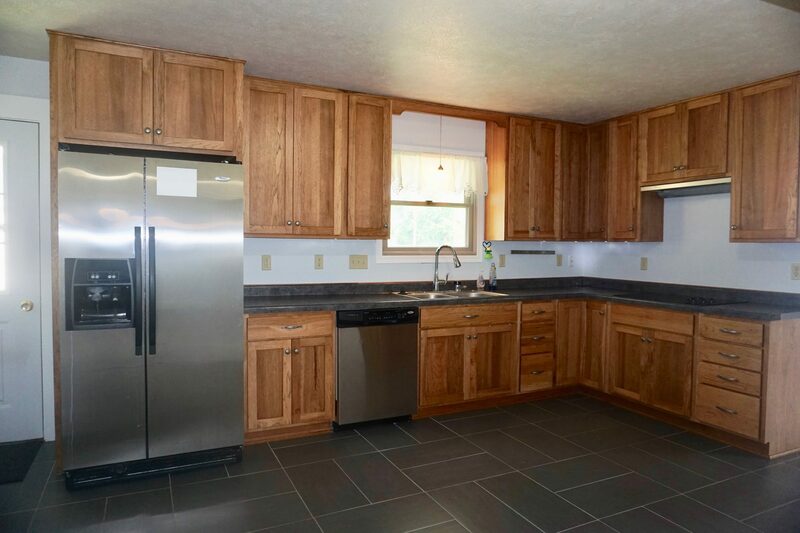 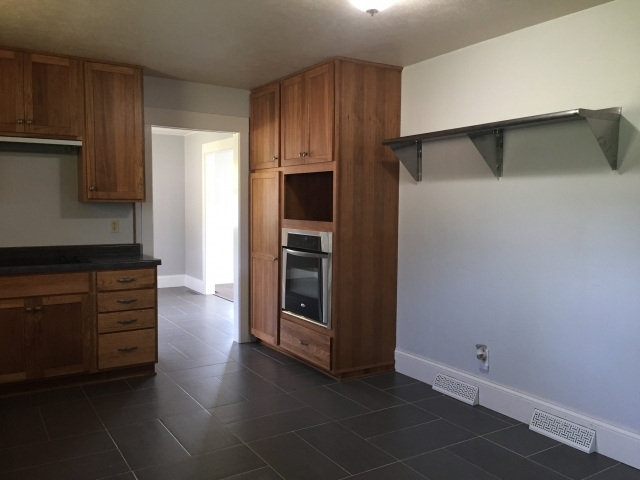 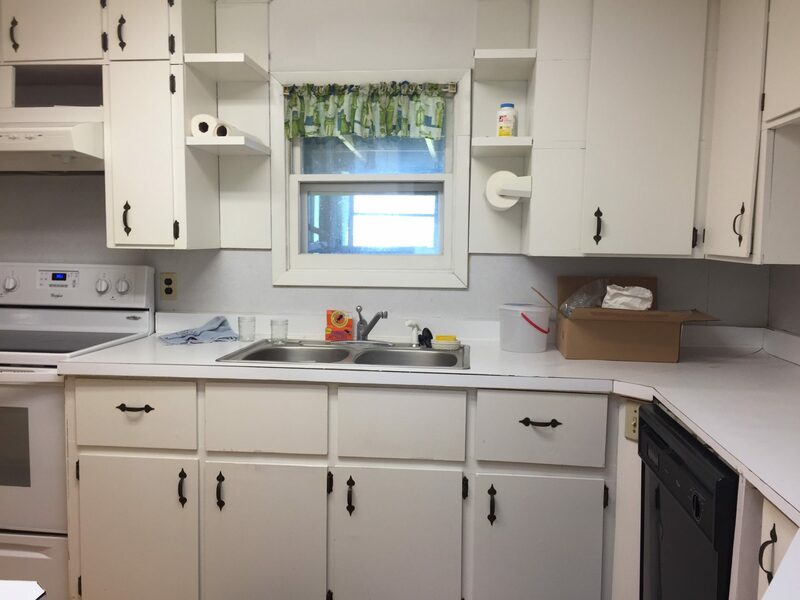 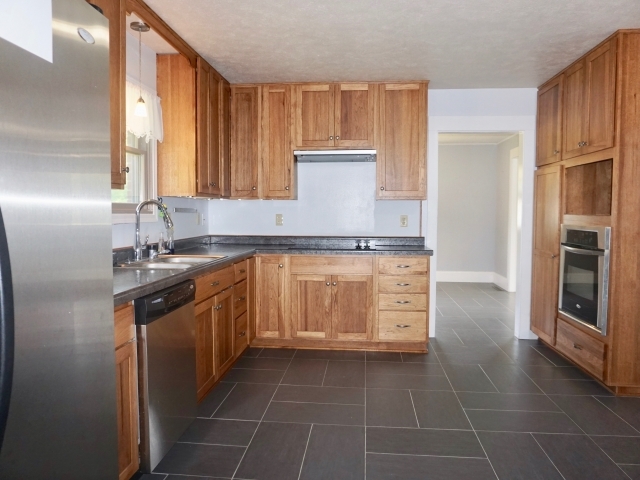 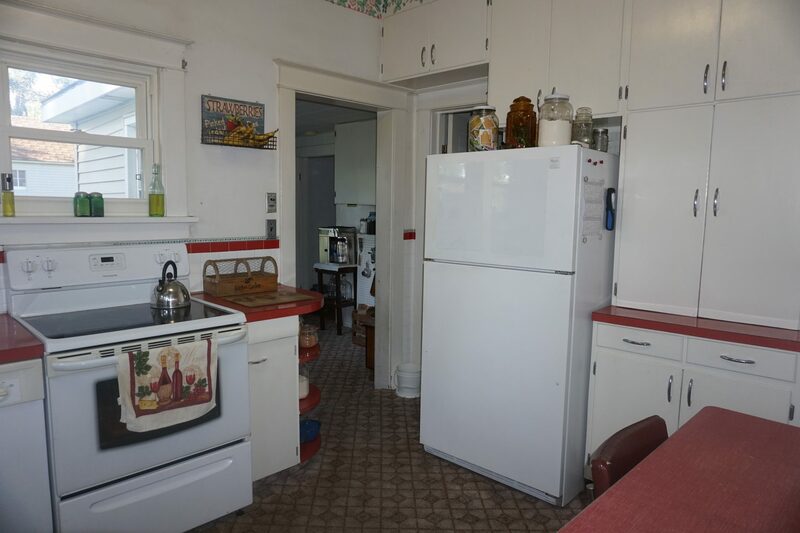 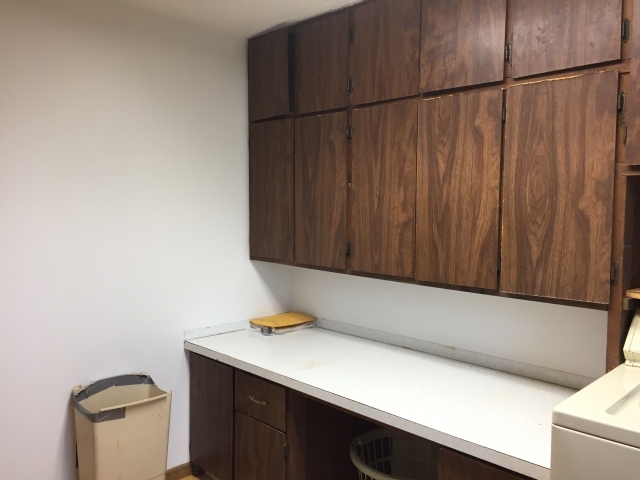 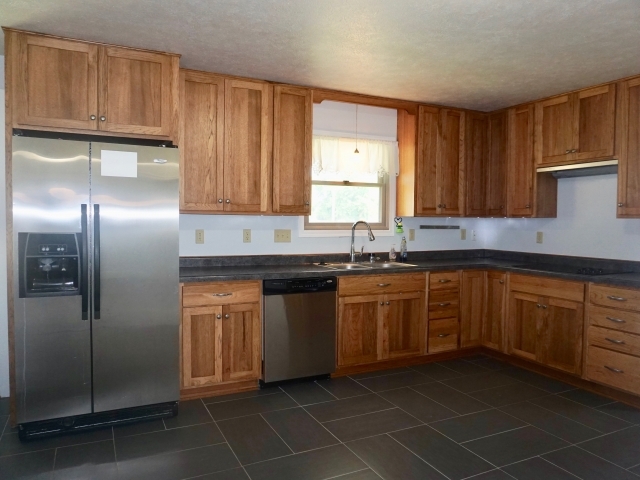 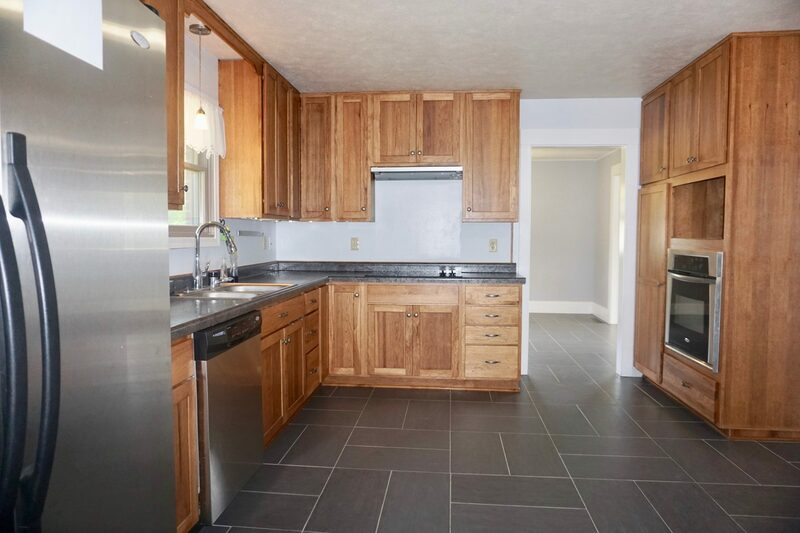 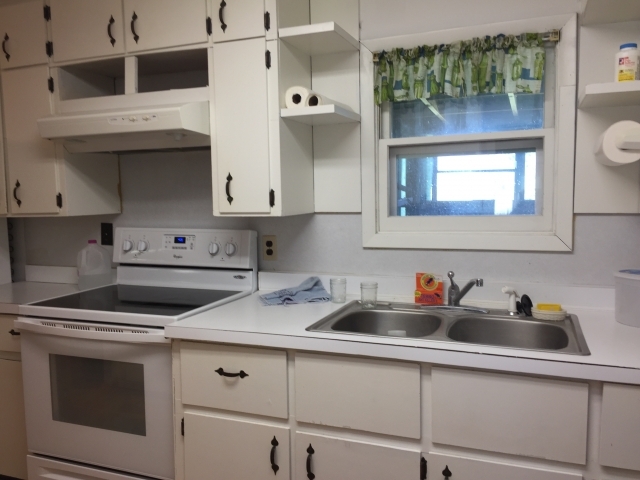 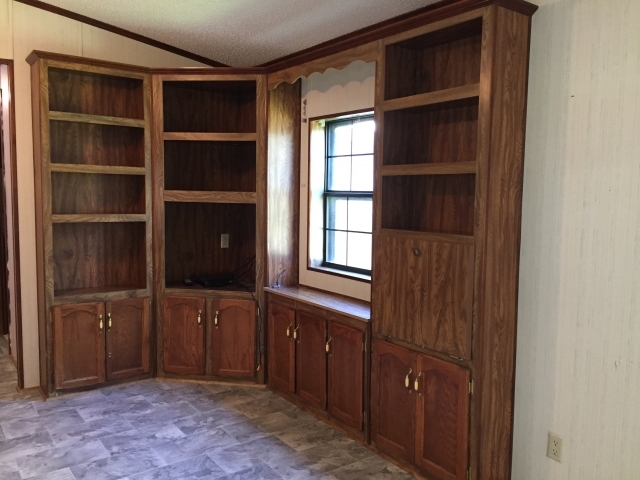 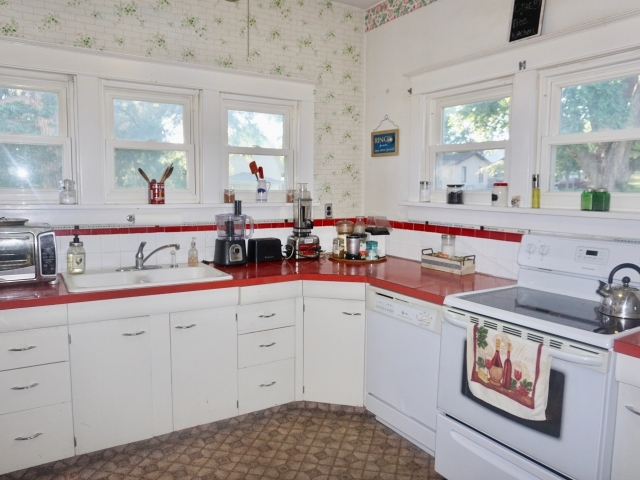 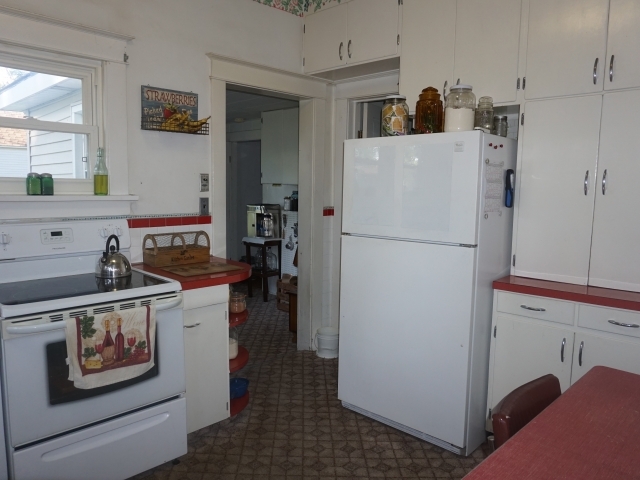 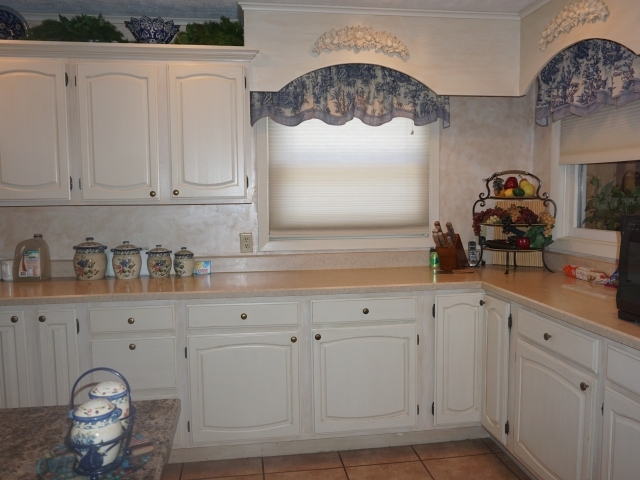 The galley kitchen features many cupboards and counters for storage and workspace. 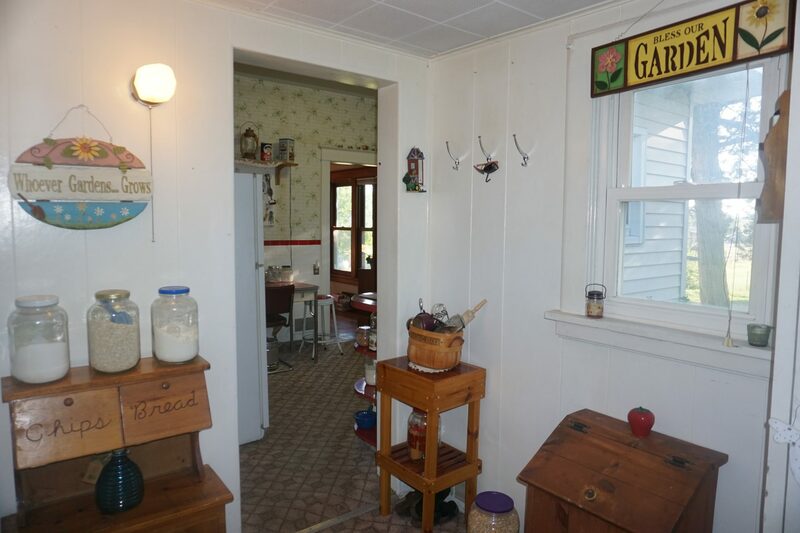 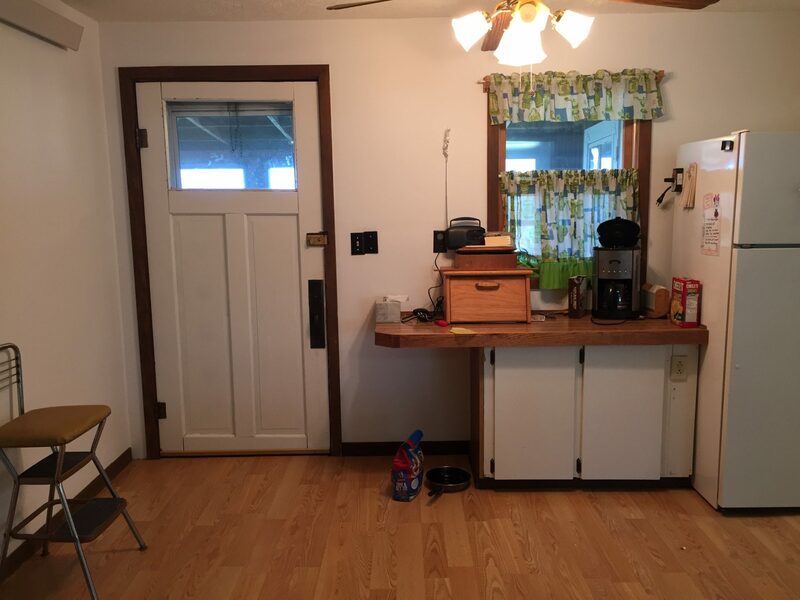 Just off the kitchen is a screen porch, which leads to a back deck. 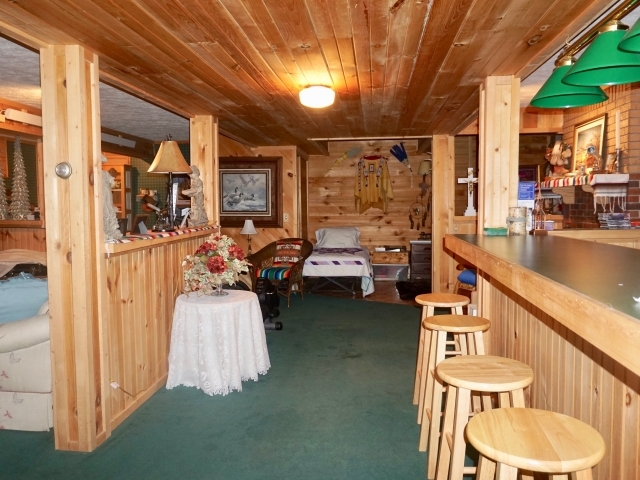 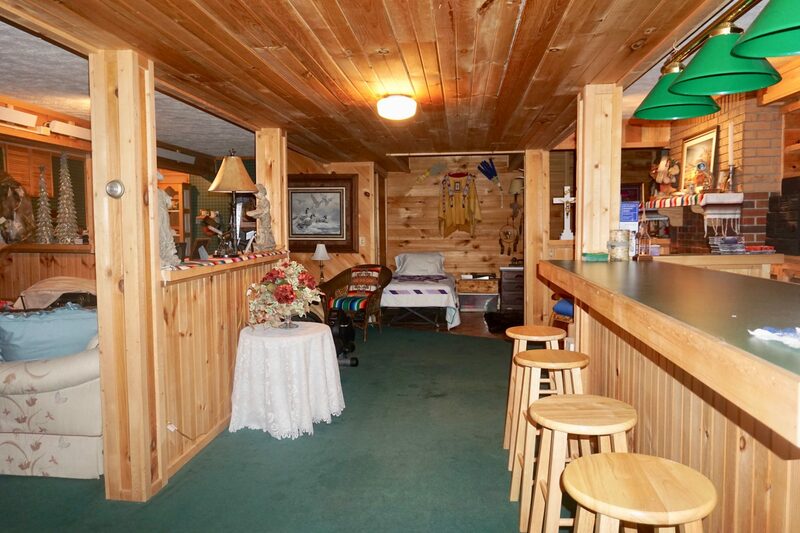 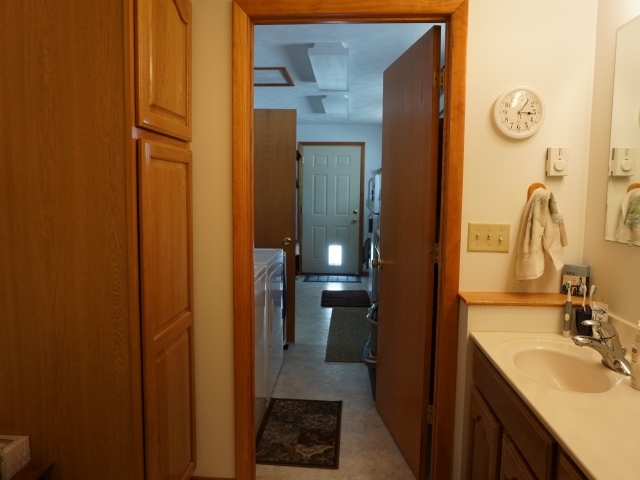 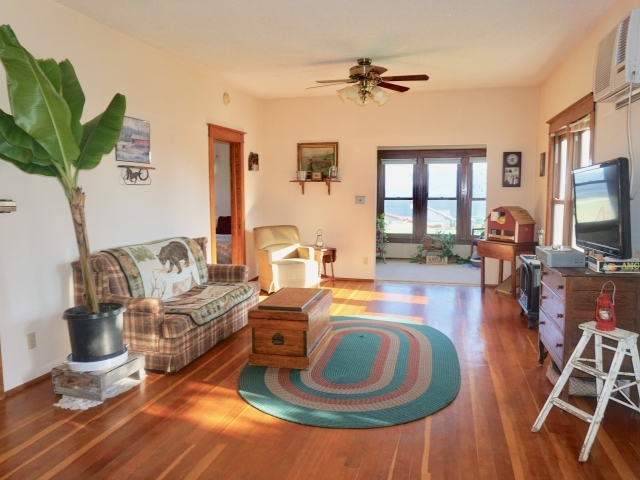 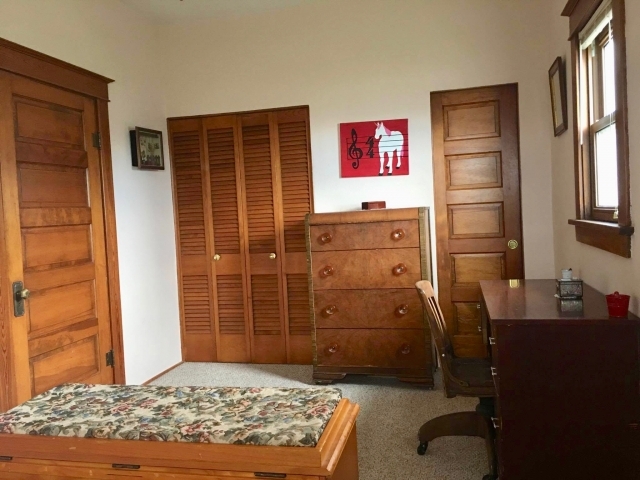 Down the hall is a guest bedroom with large closet, a 3⁄4 bath and the laundry room with cupboards and folding counter. 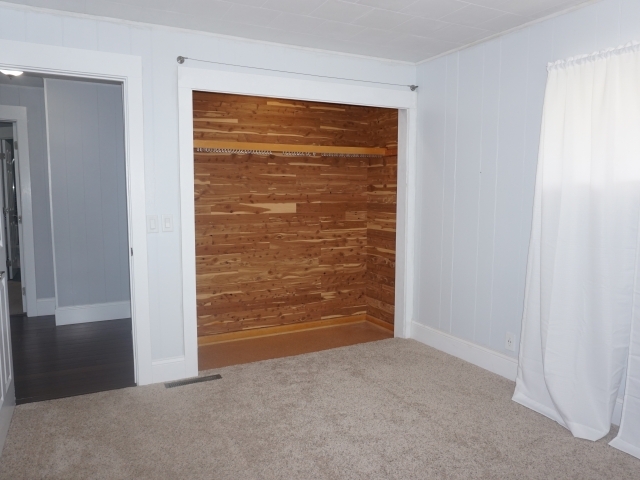 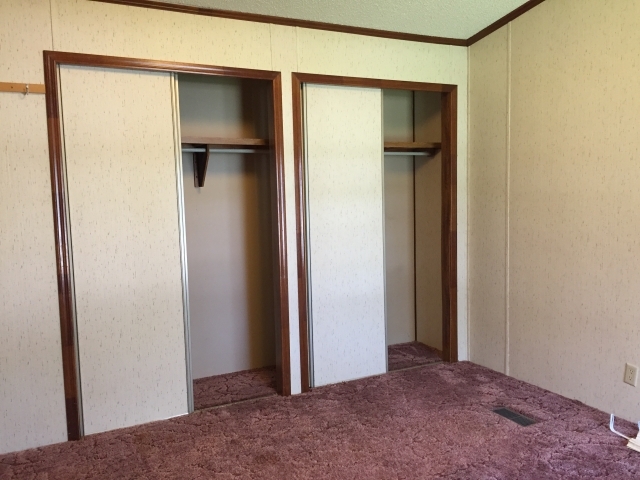 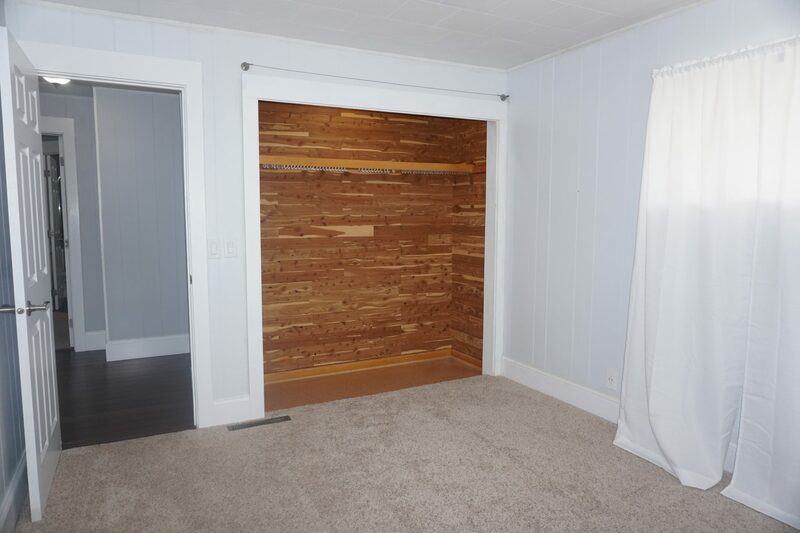 The master bedroom on the main floor includes an en suite bath, a walk-in closet plus an additional closet. 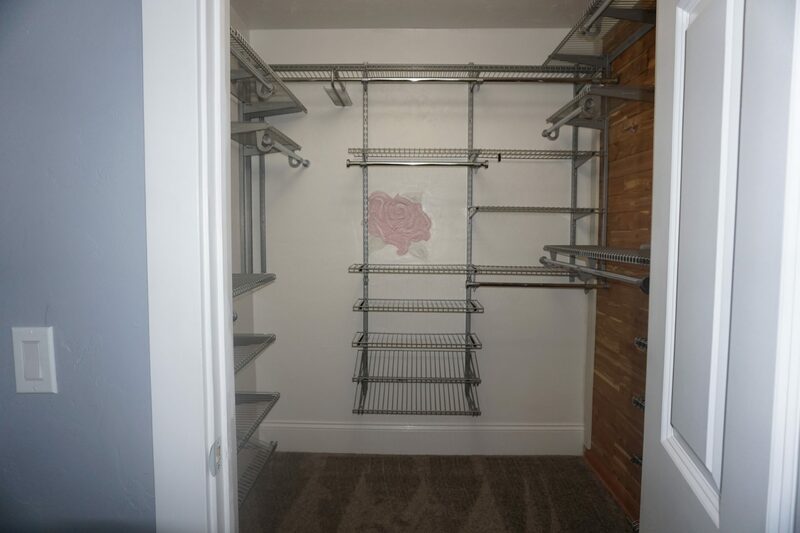 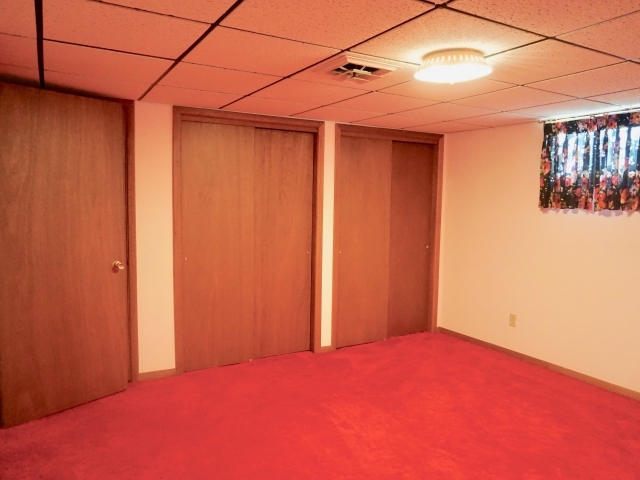 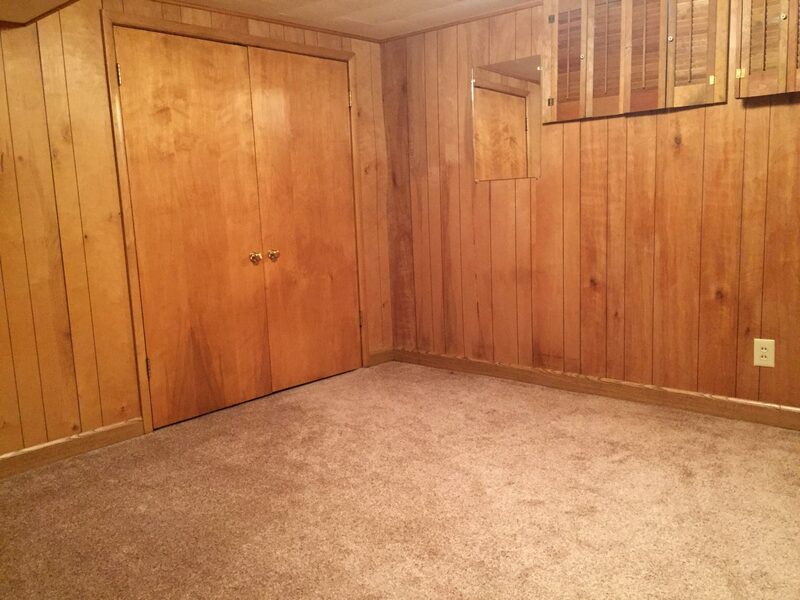 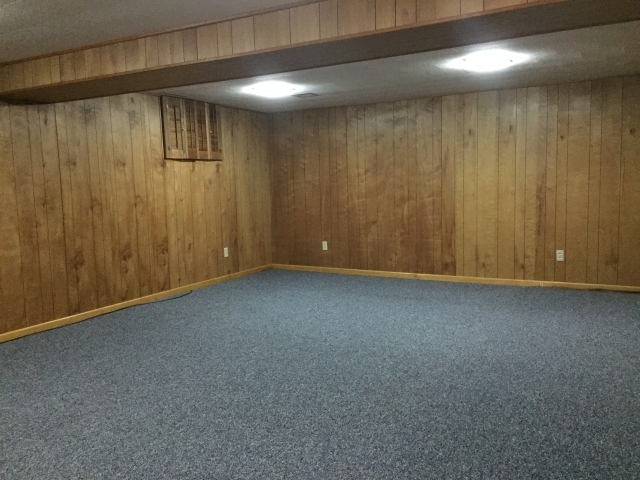 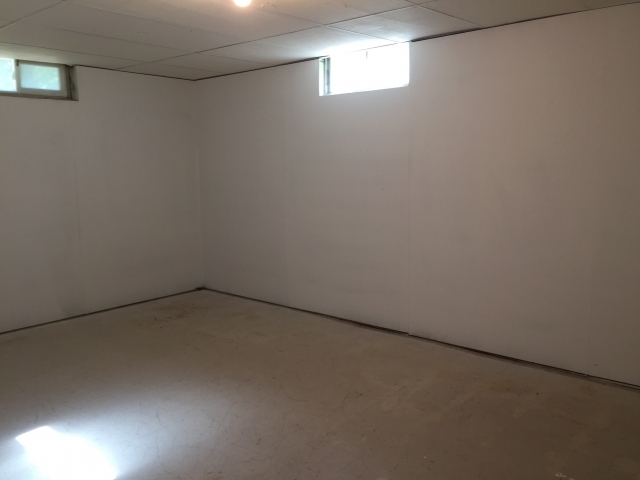 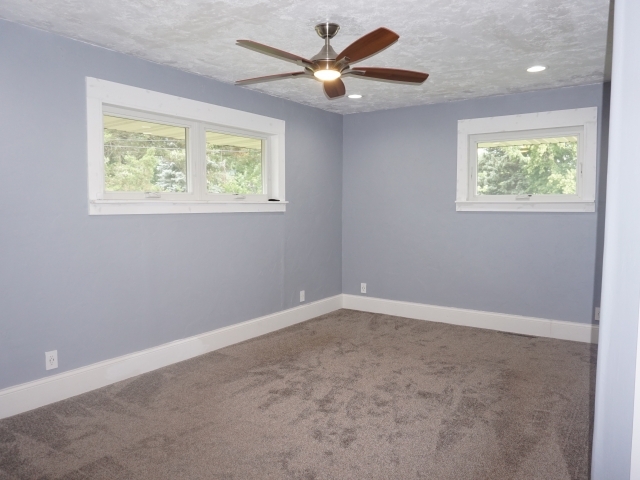 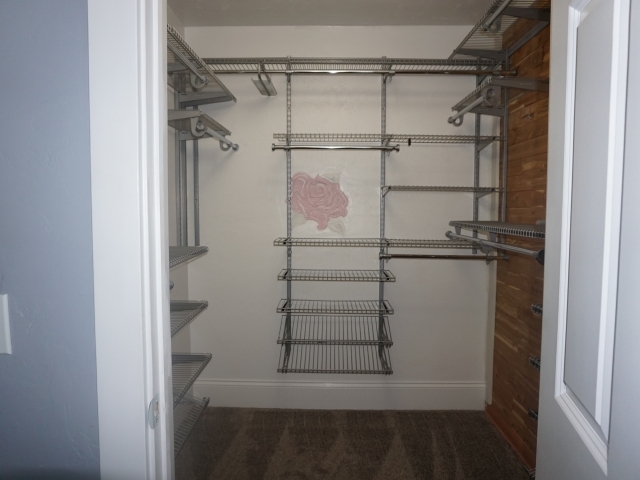 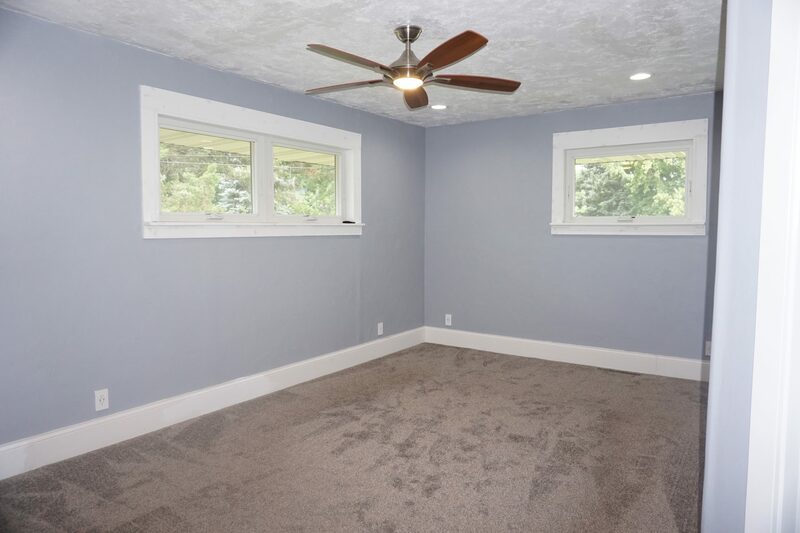 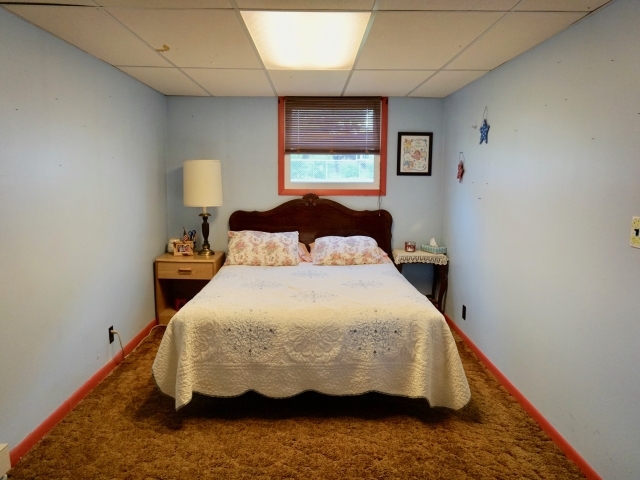 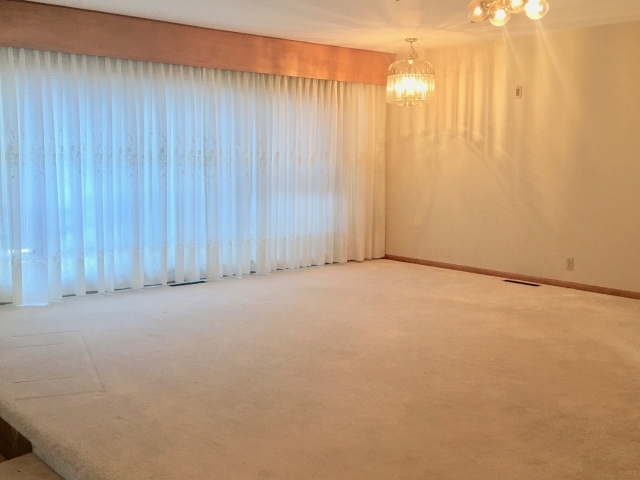 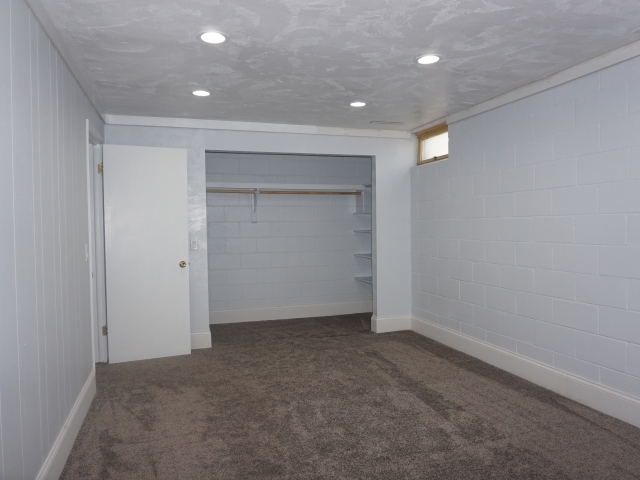 The basement has 2 non-conforming bedrooms, a large room that could serve as living area or game room, a storage room and 2 unfinished baths. 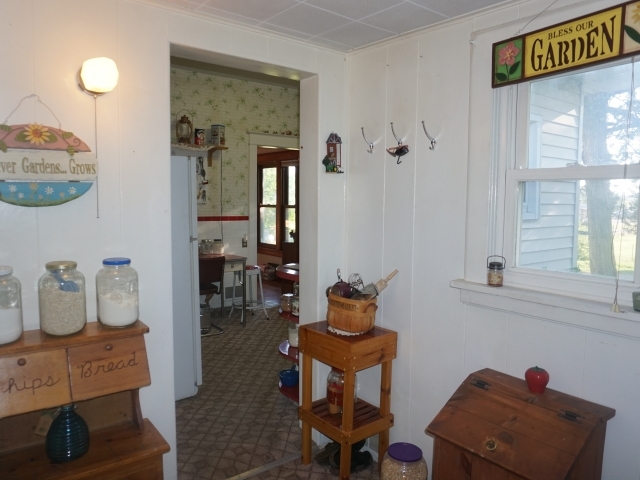 The home has both propane and cove heating, metal roof and metal siding. 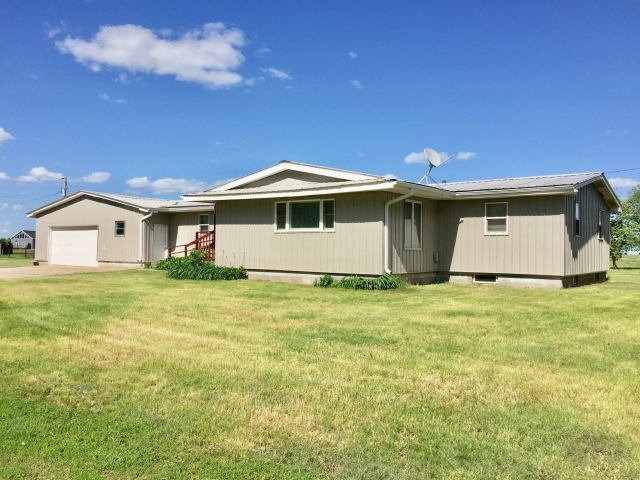 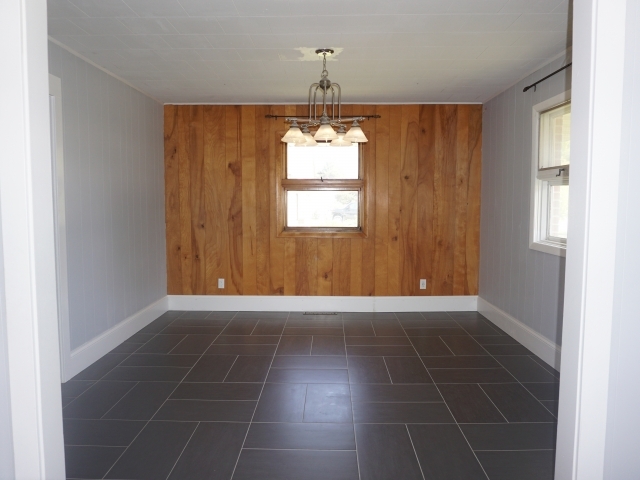 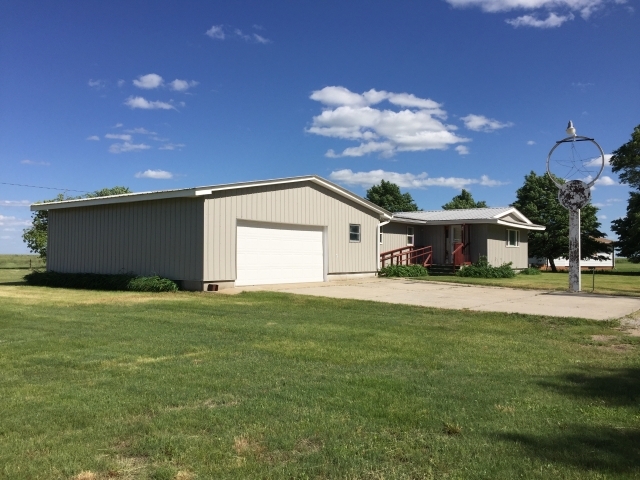 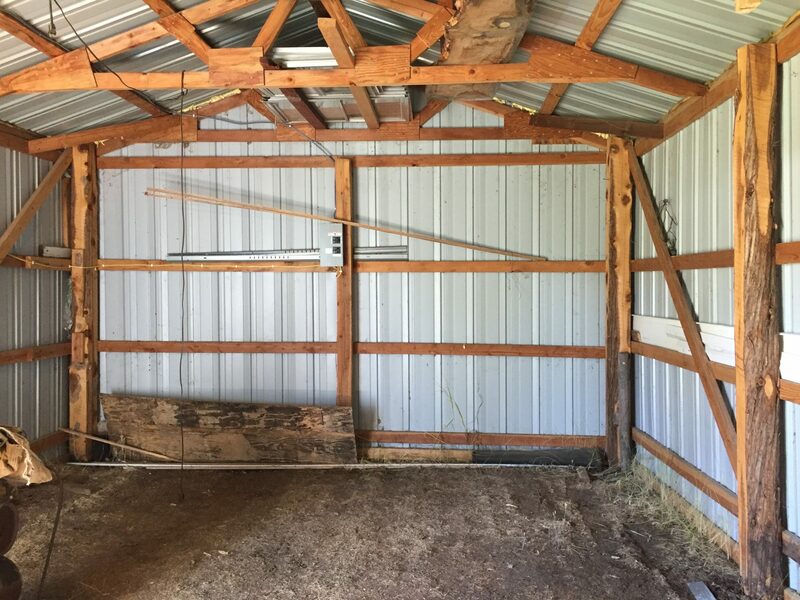 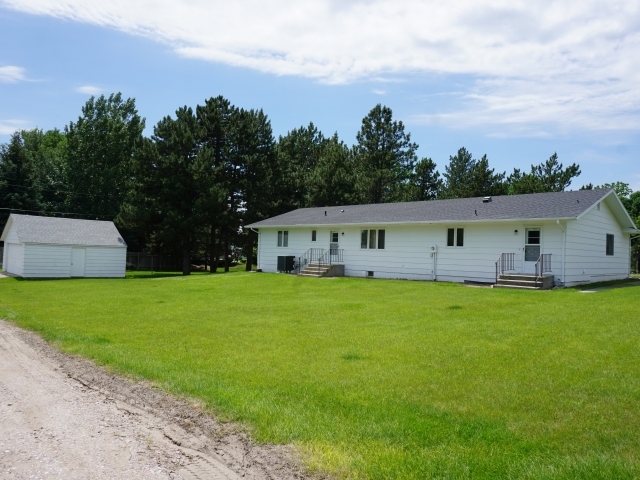 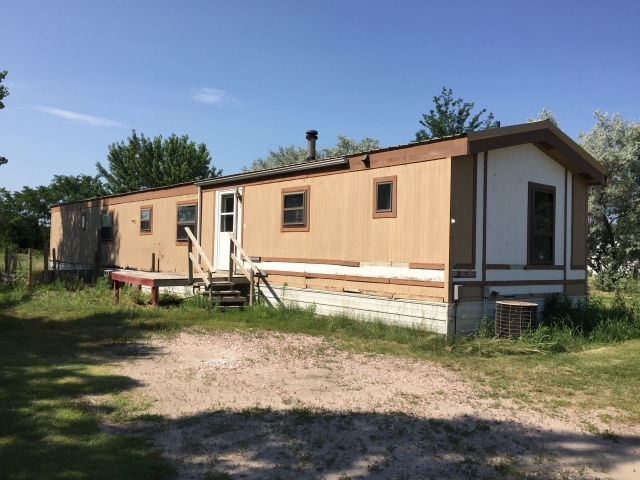 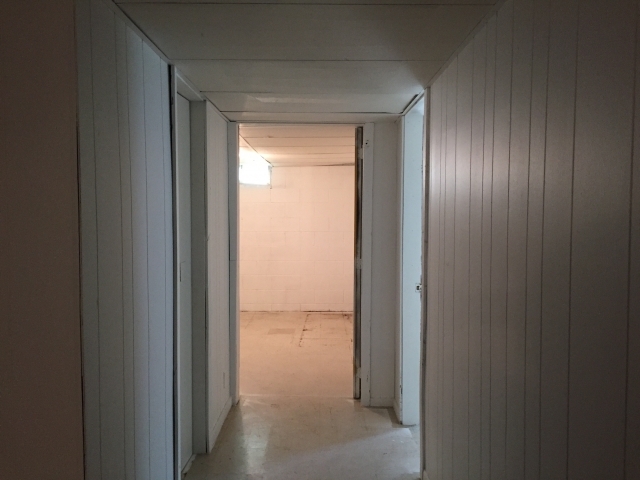 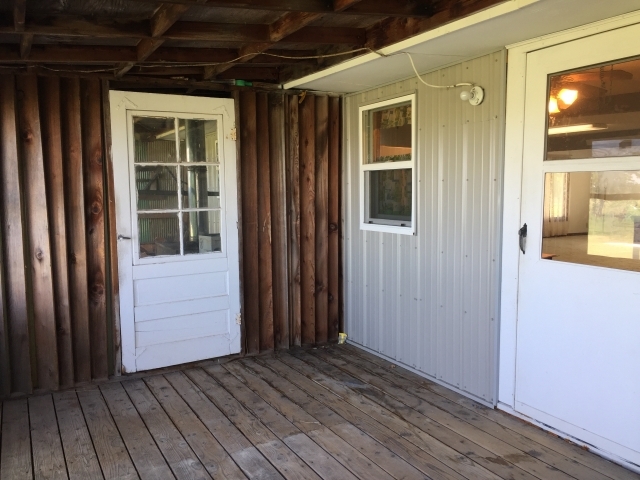 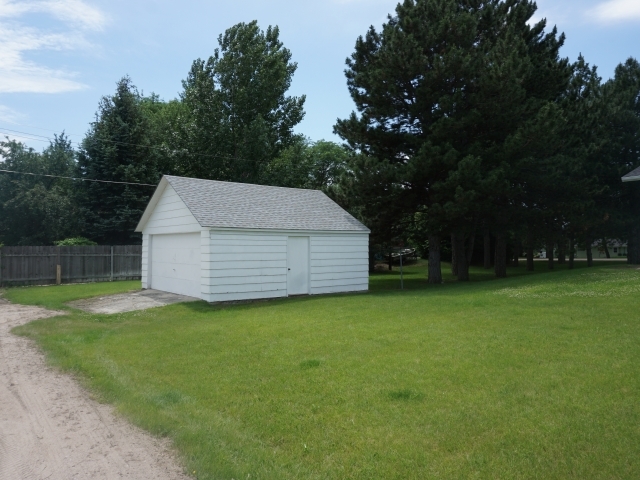 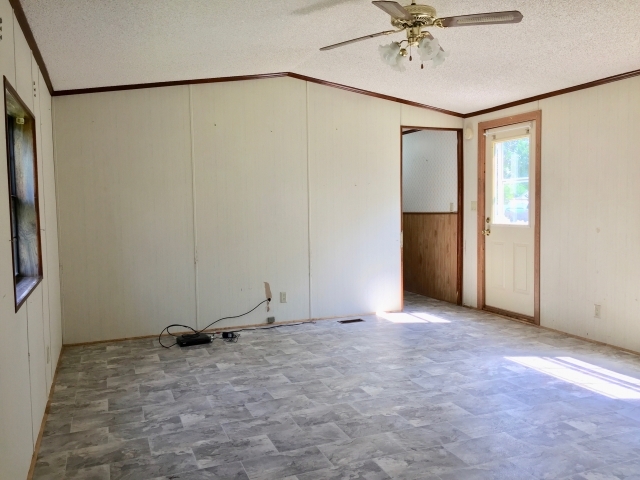 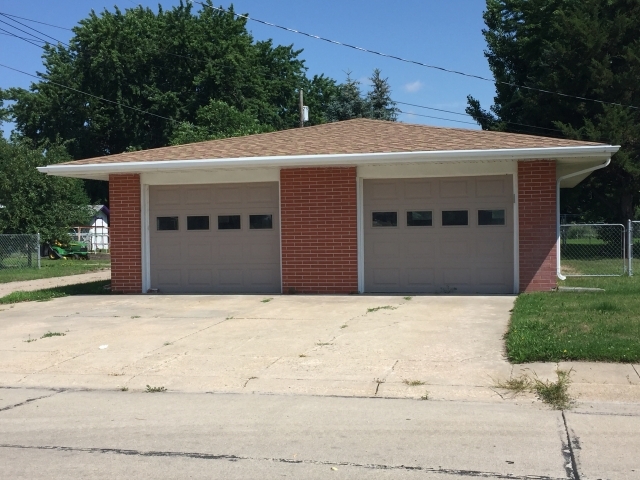 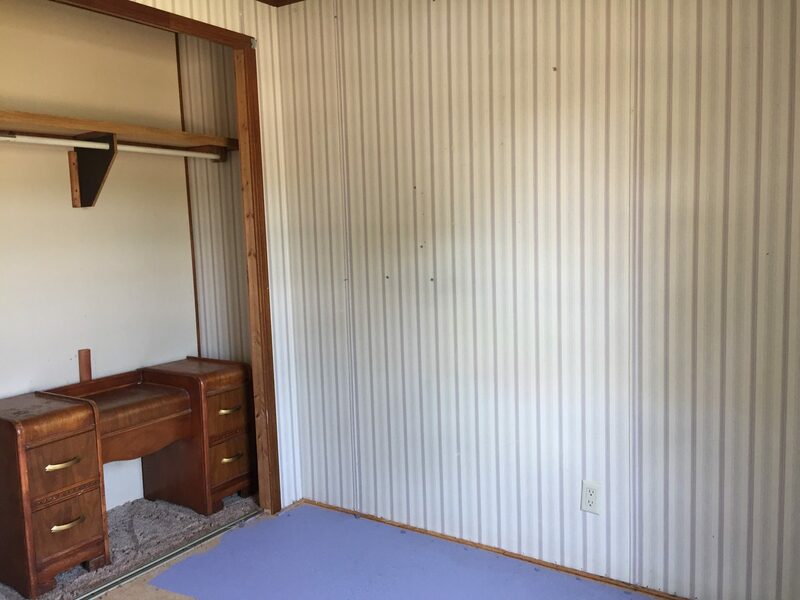 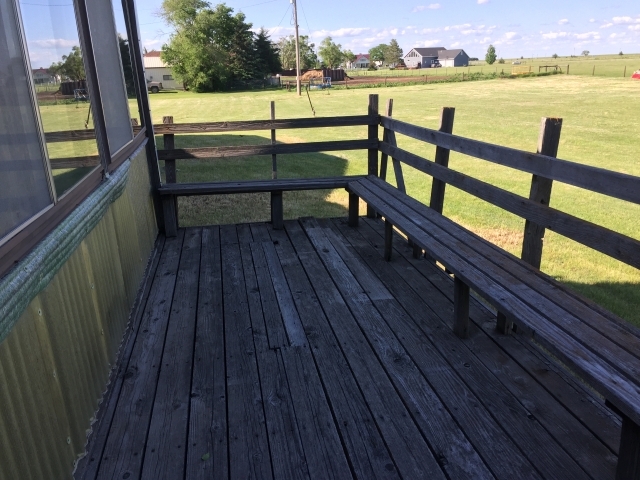 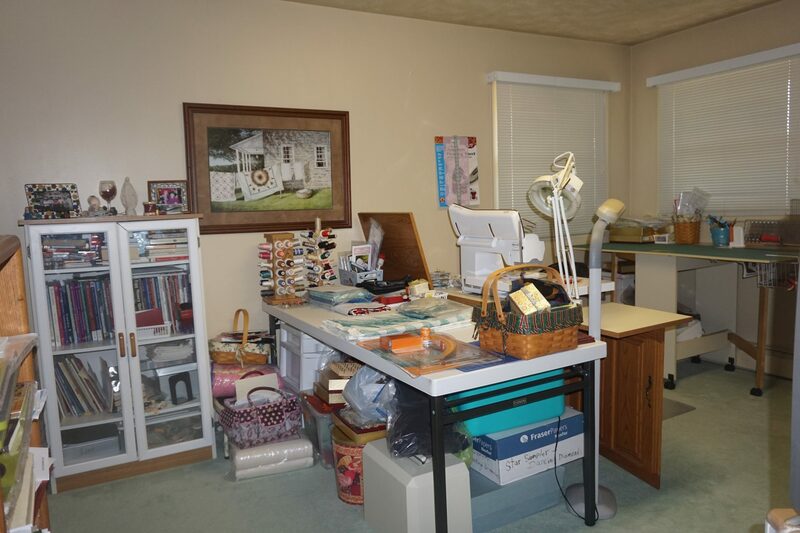 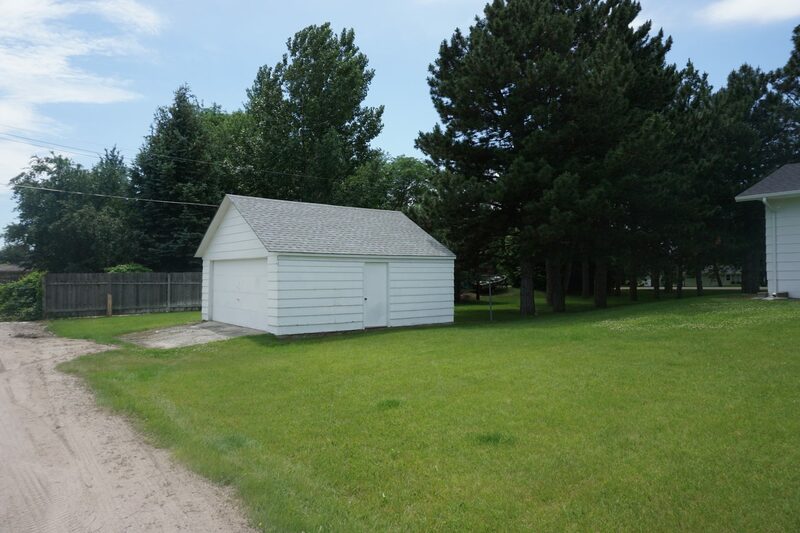 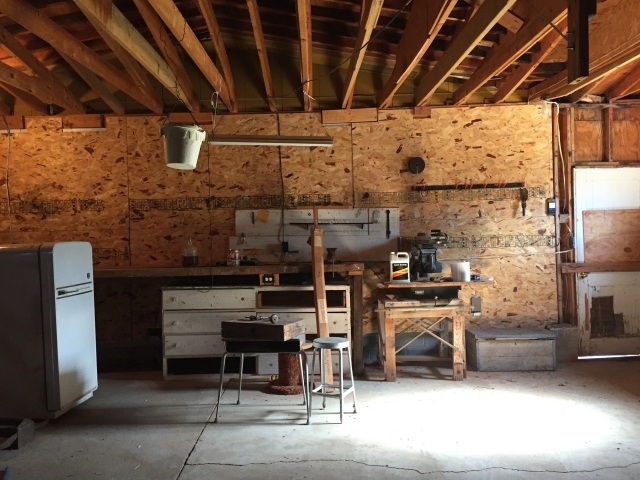 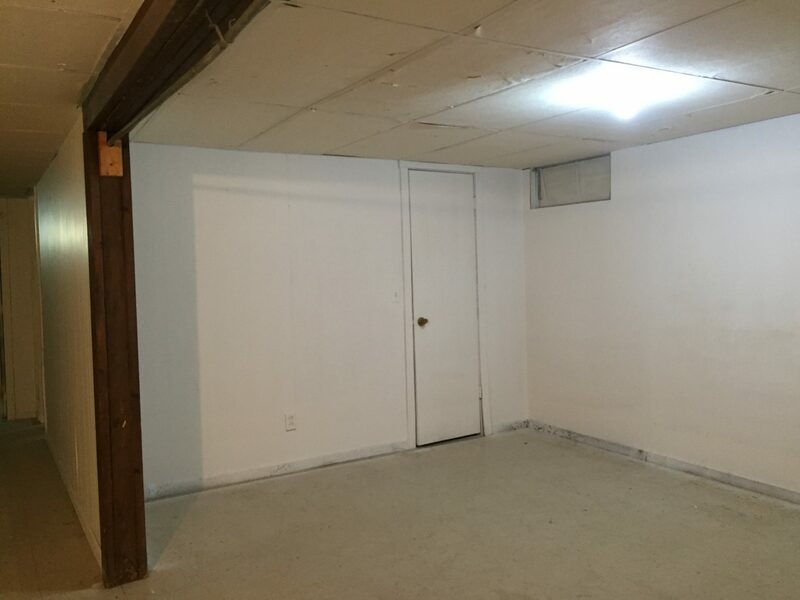 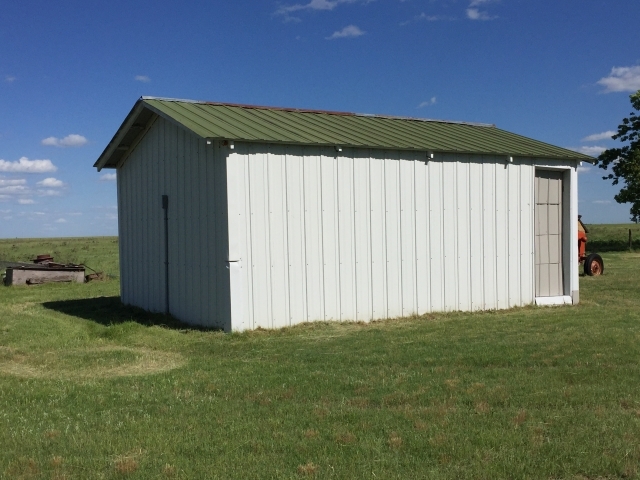 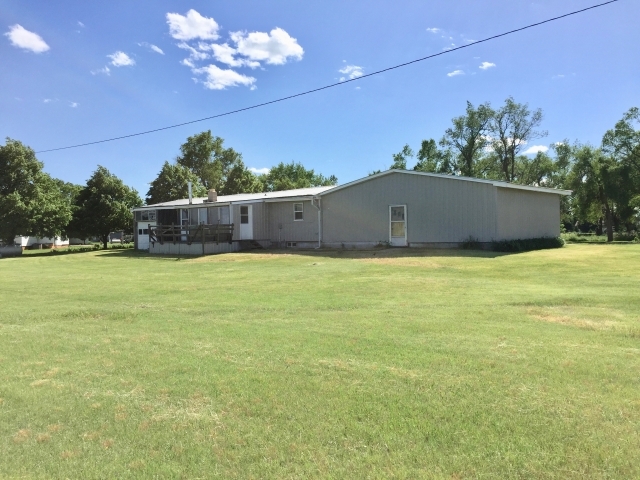 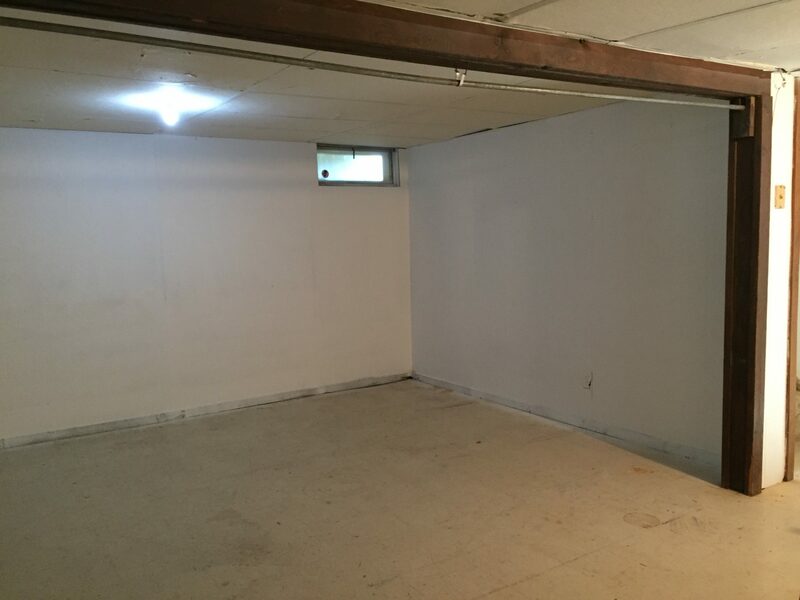 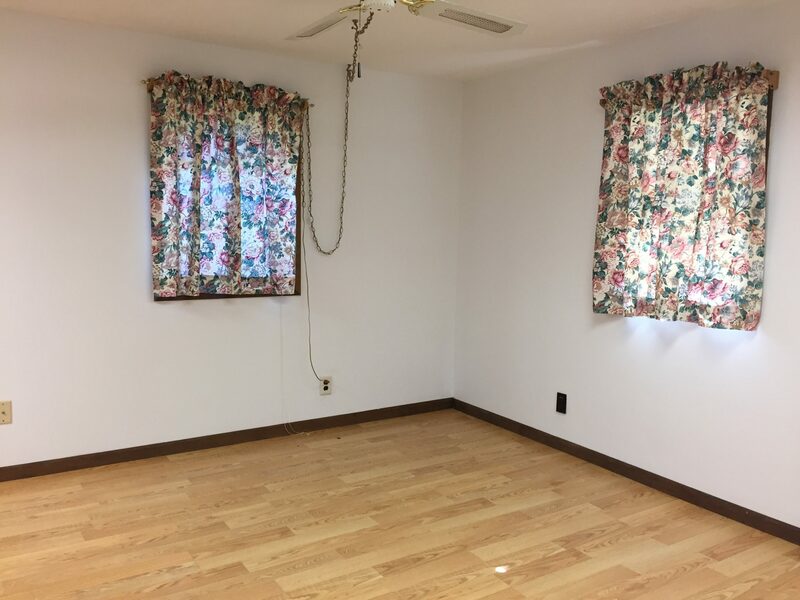 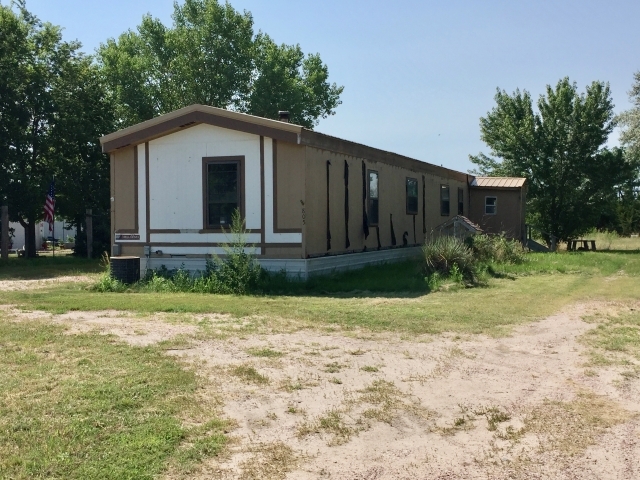 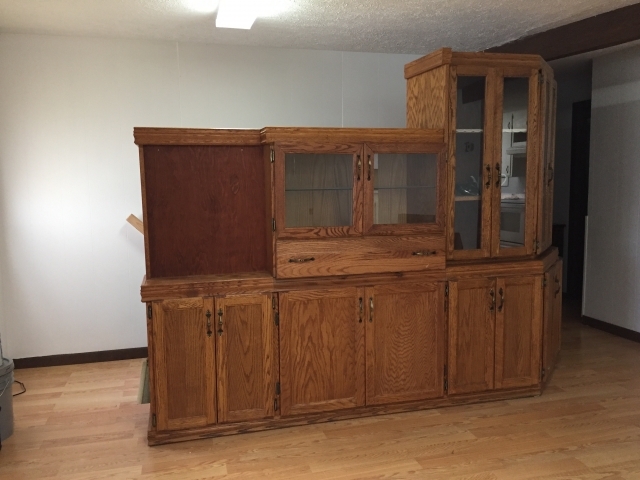 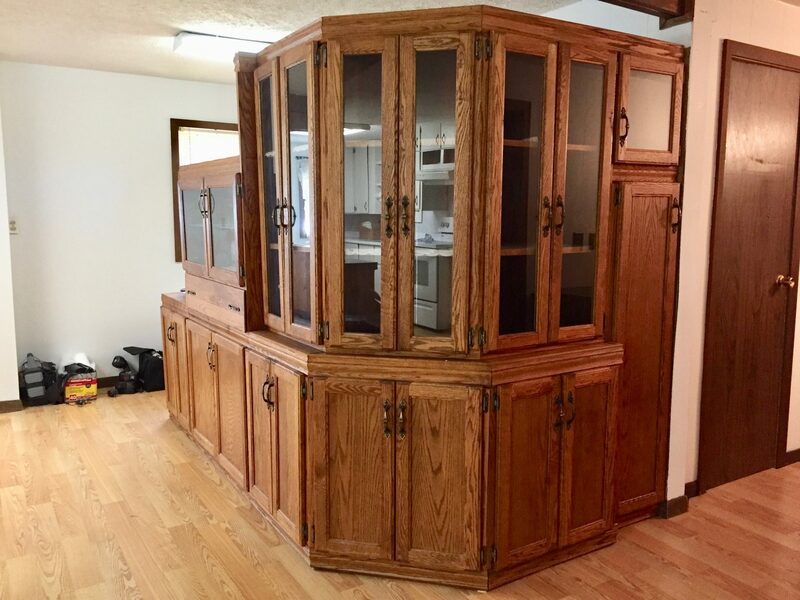 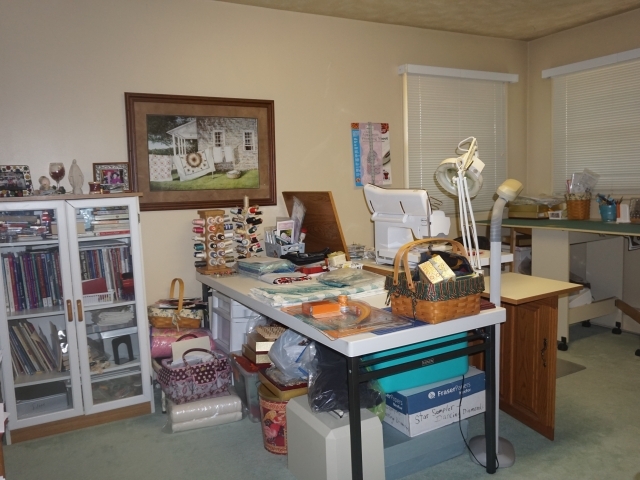 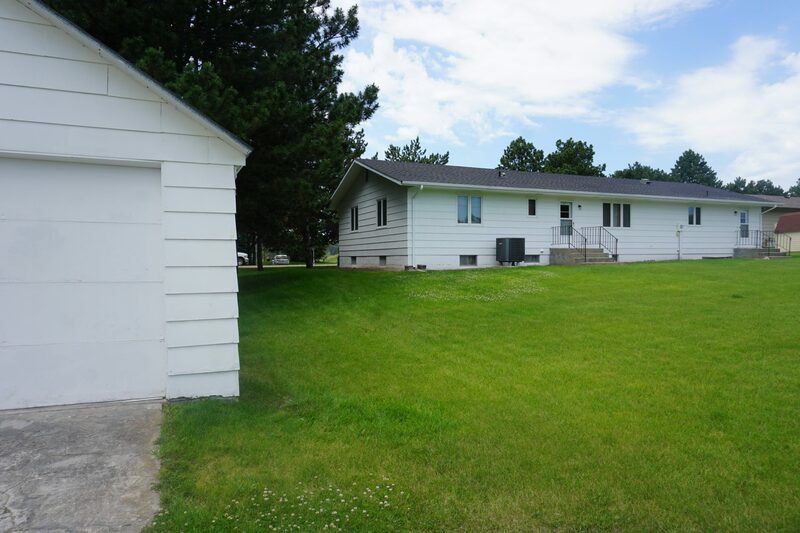 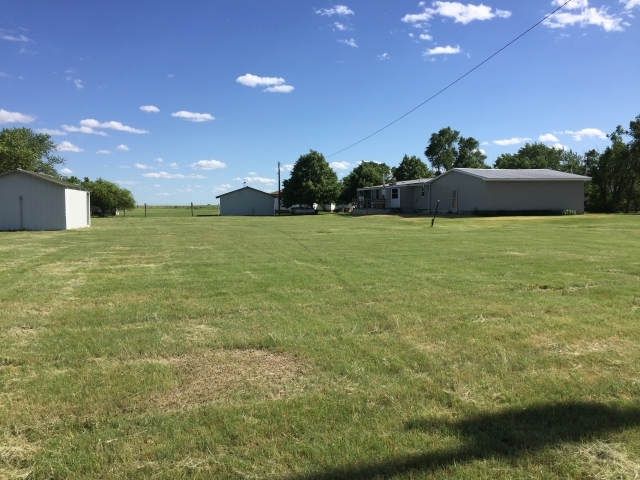 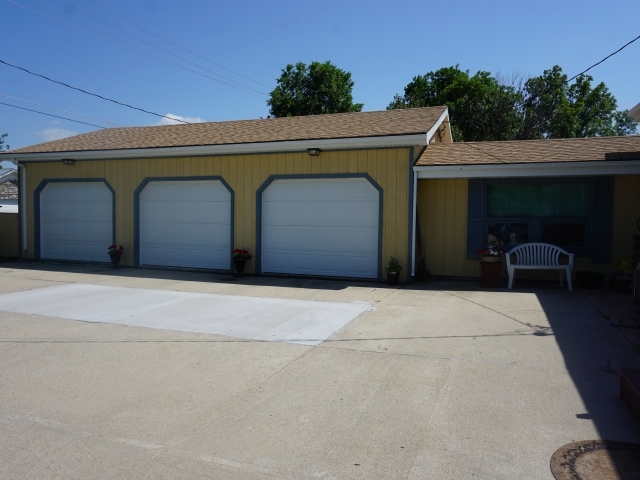 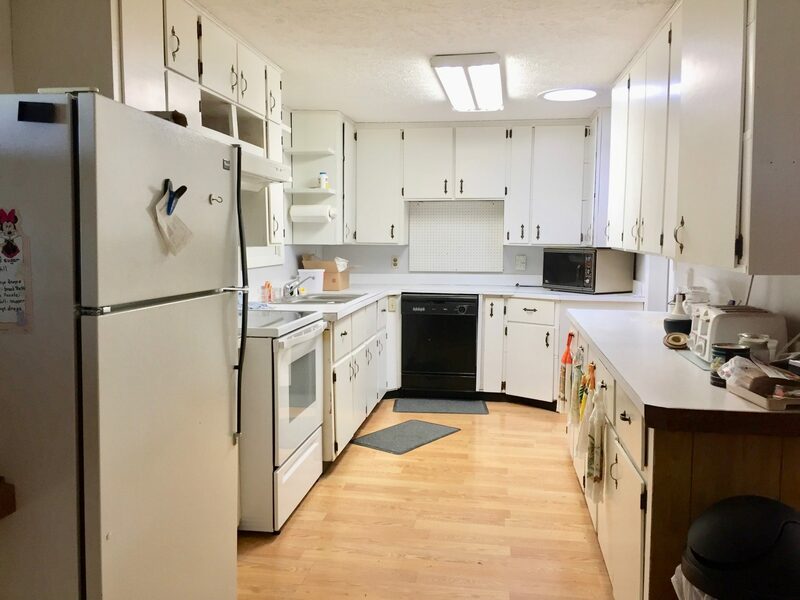 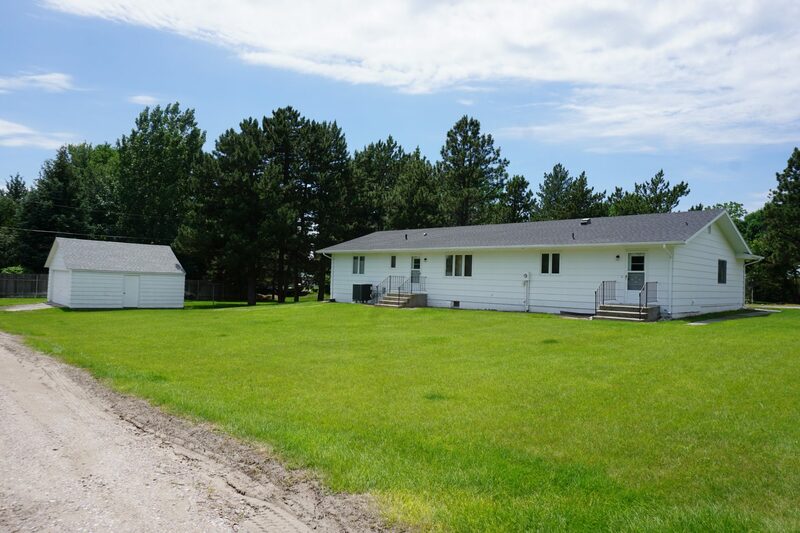 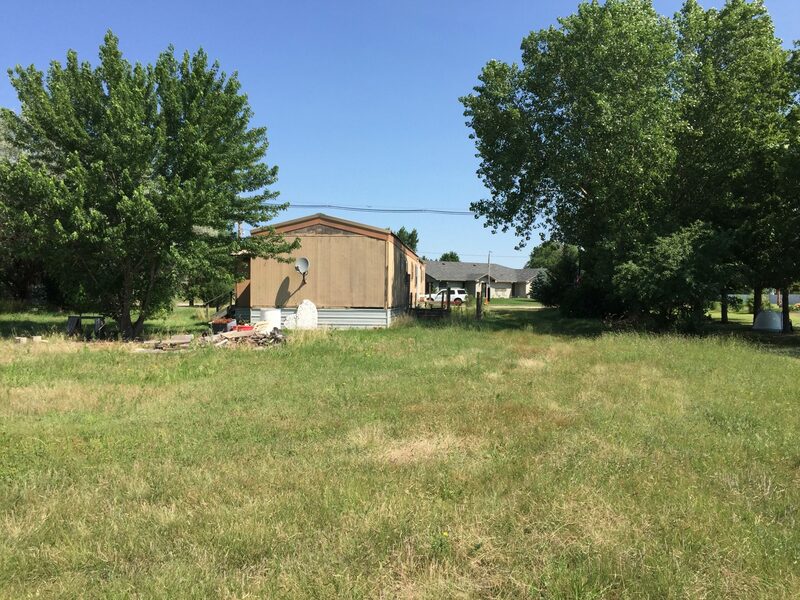 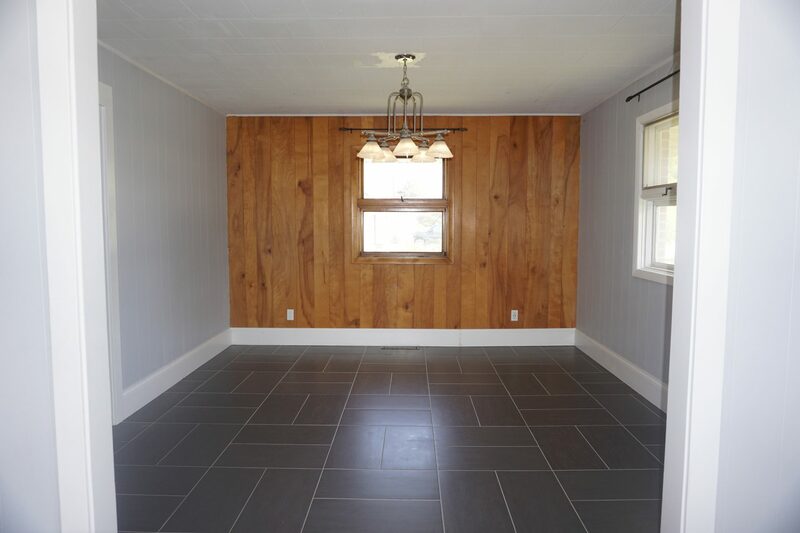 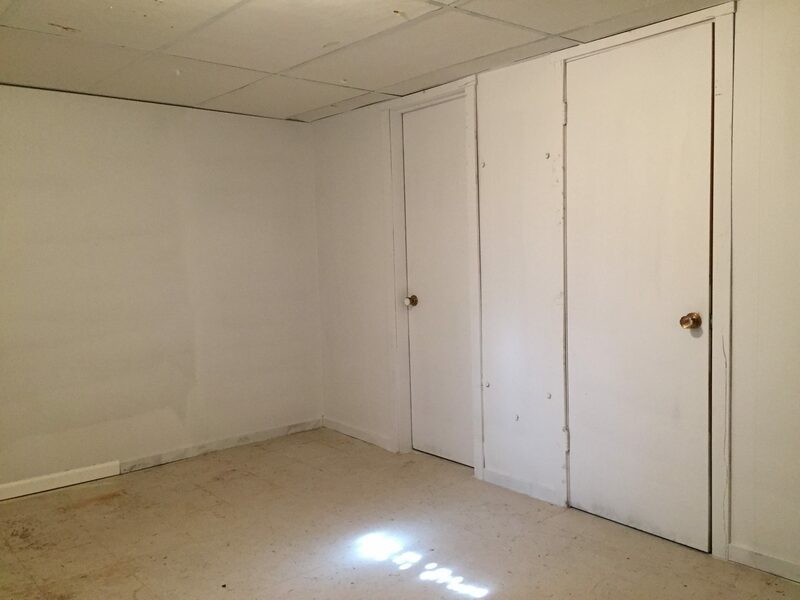 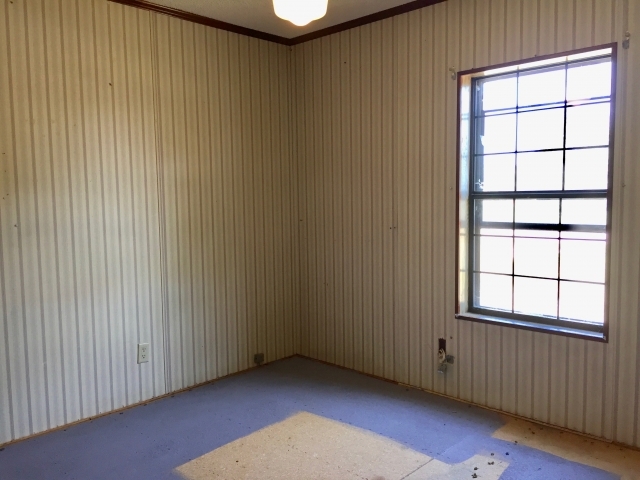 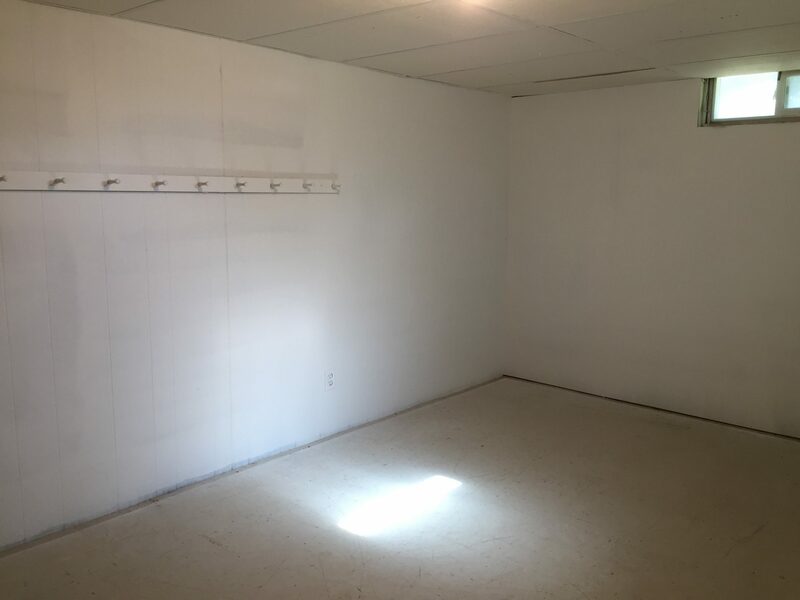 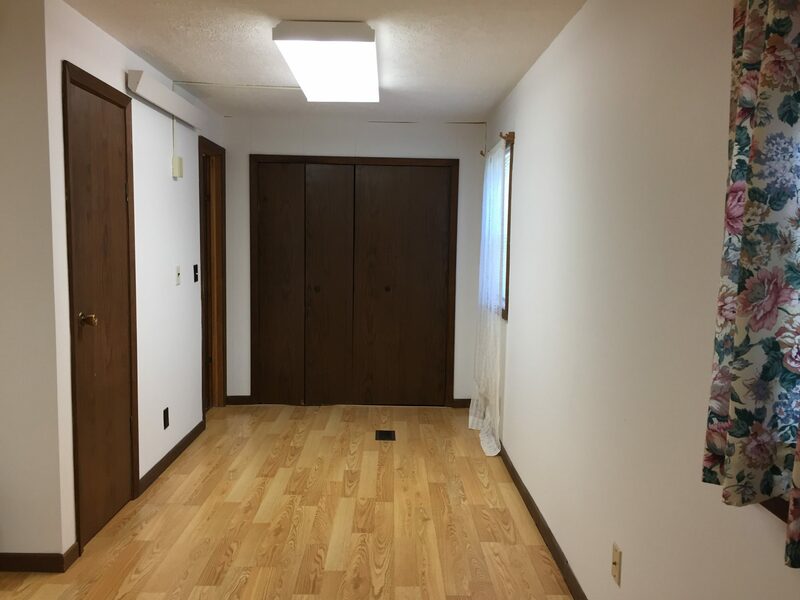 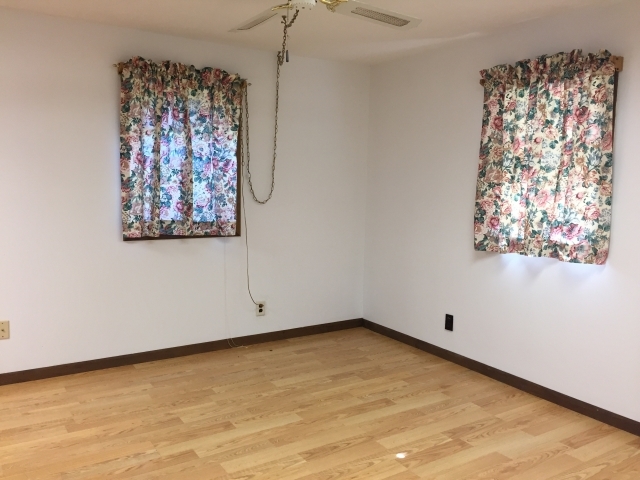 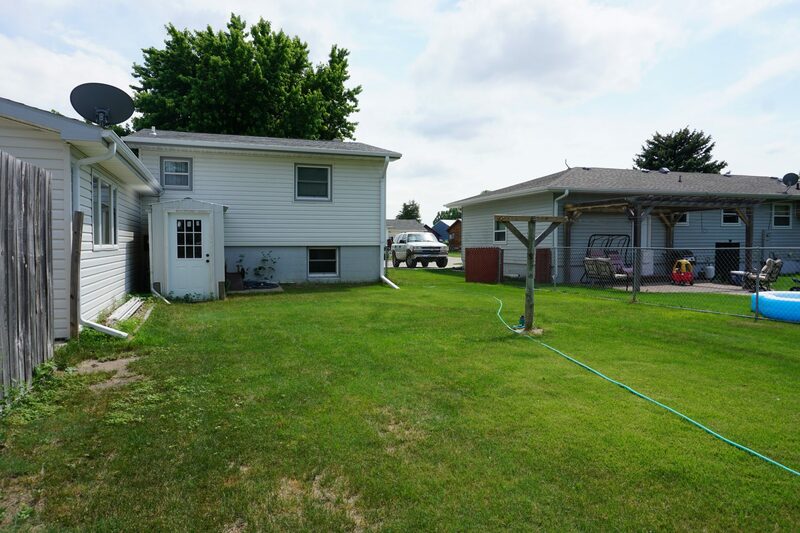 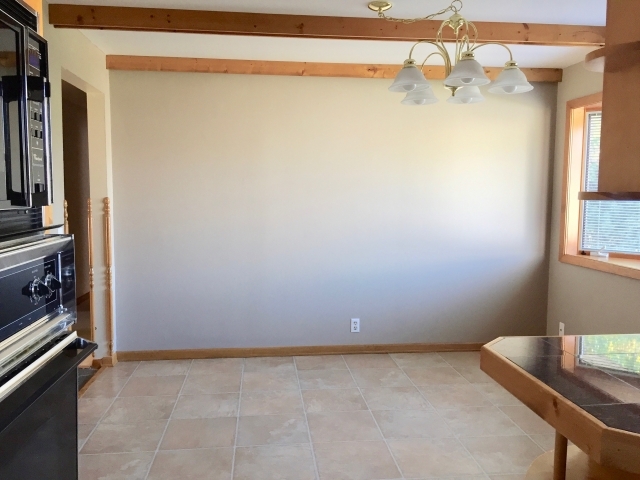 The attached 2-car garage has a workshop area and there is a 14’ x 20’ pole shed with overhead door, side door and dirt floor offering additional storage on the property. 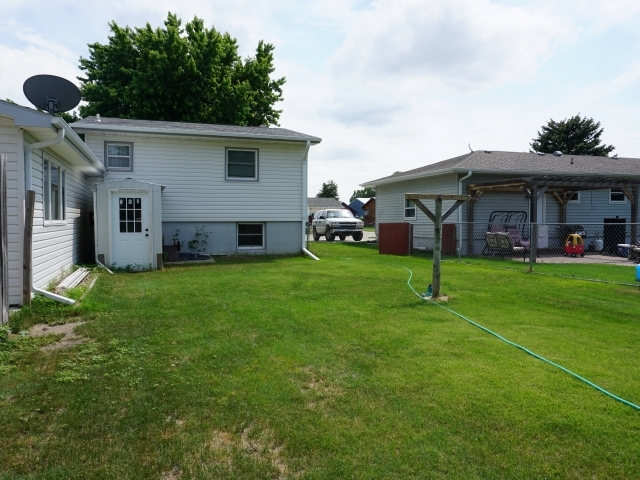 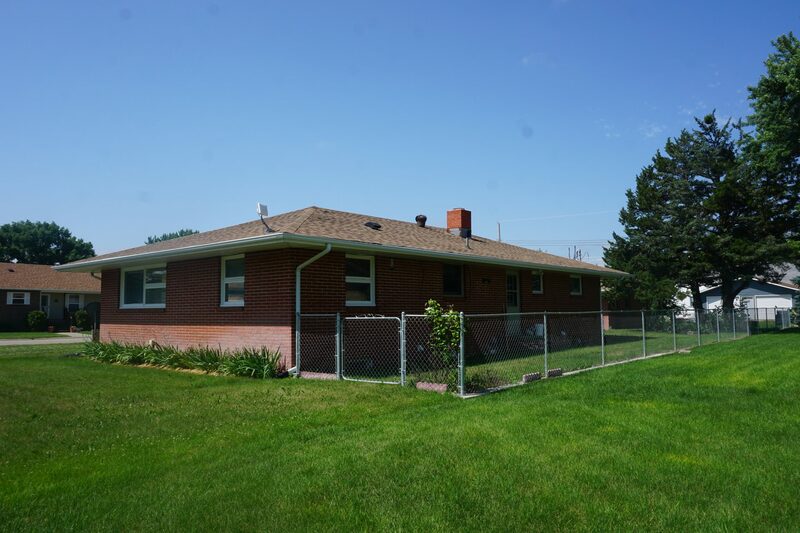 With a large lot and great location, this home has lots of possibilities. 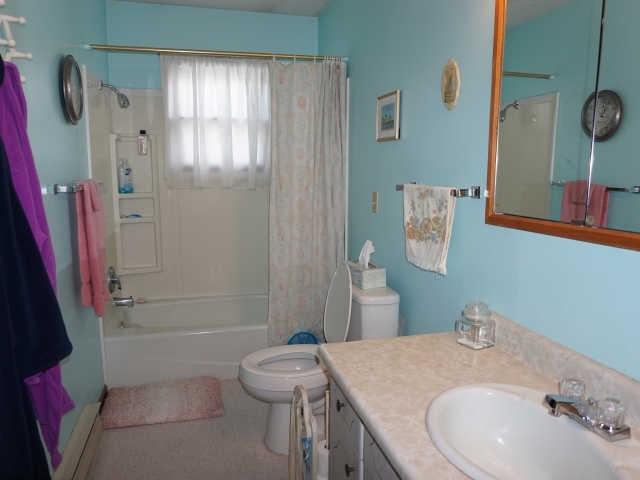 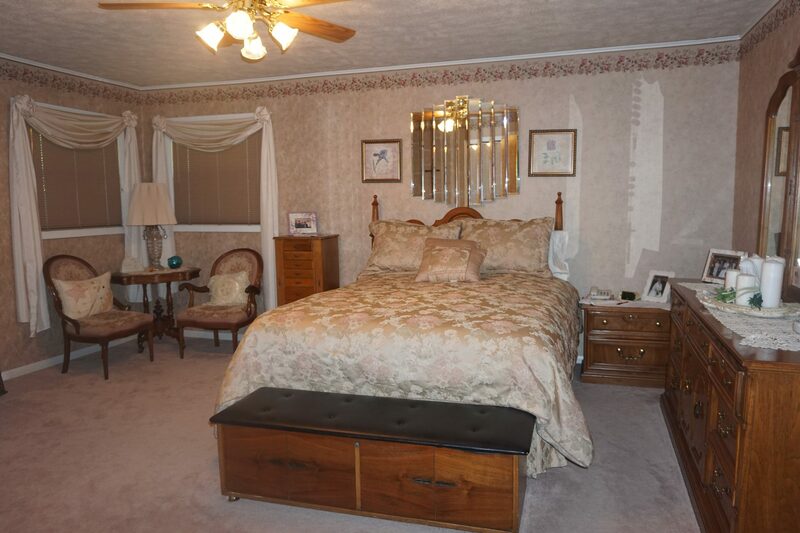 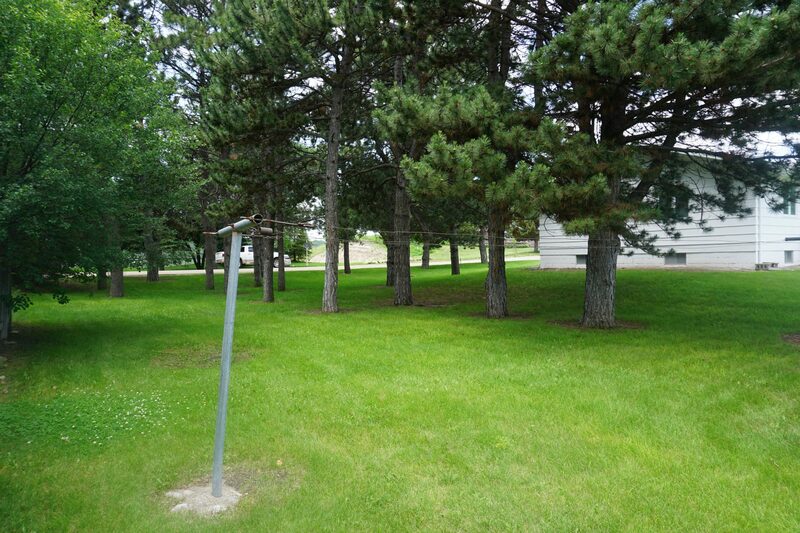 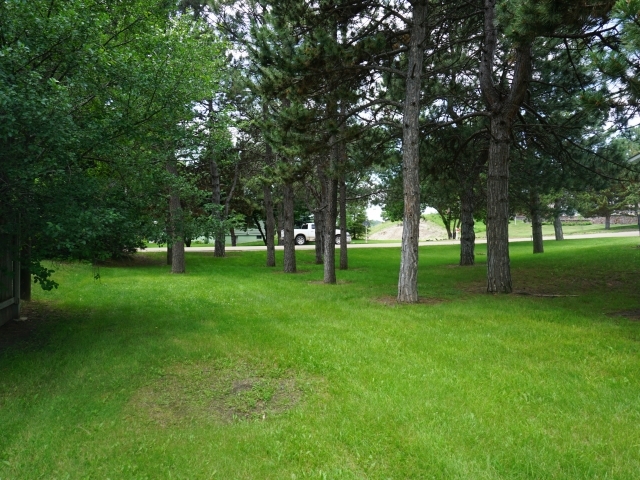 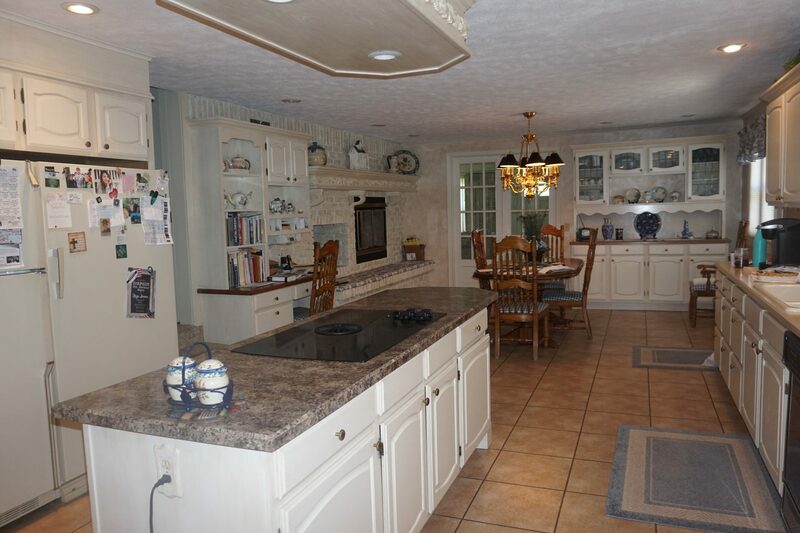 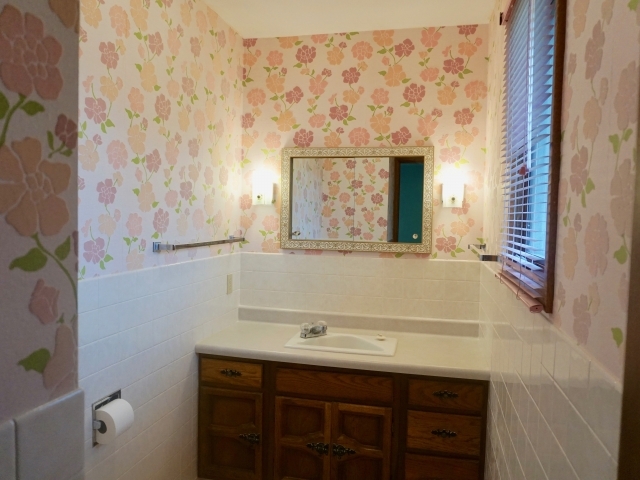 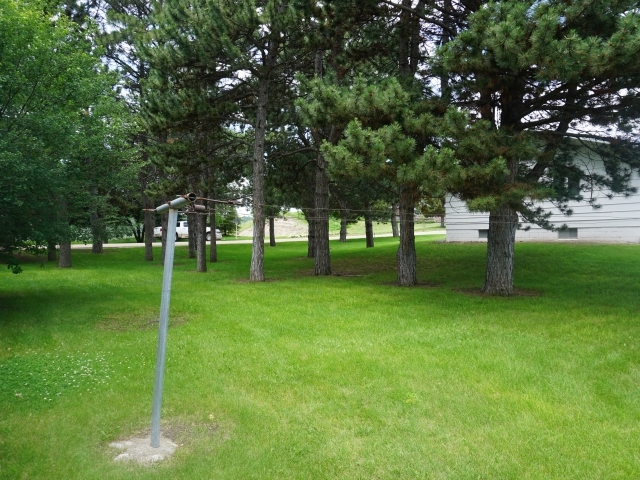 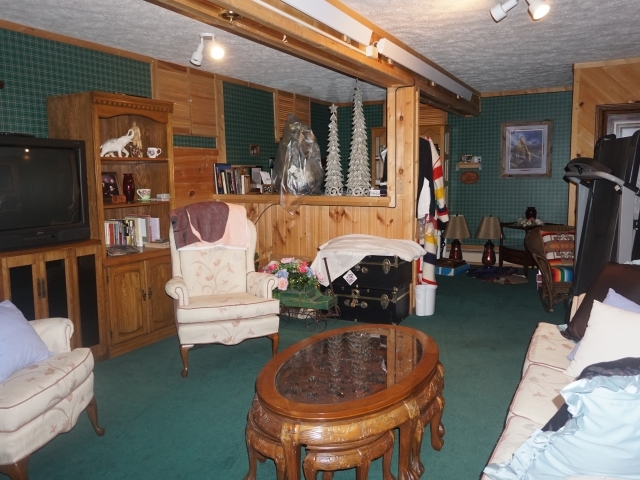 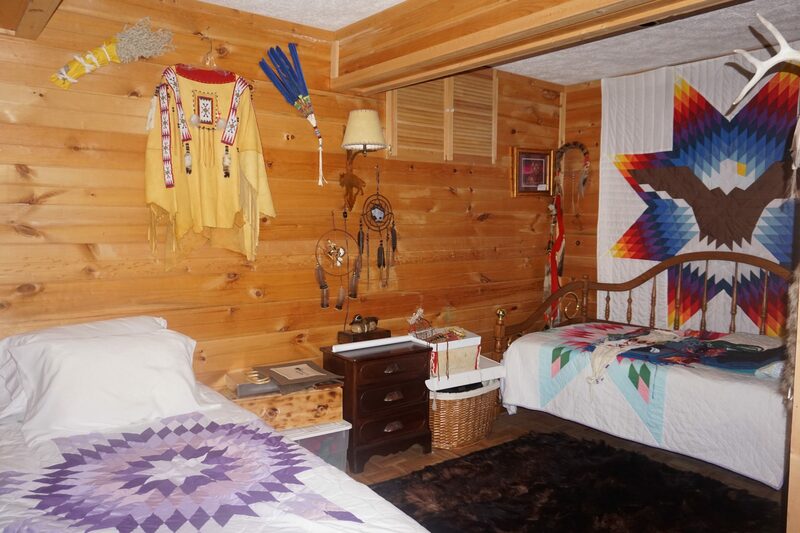 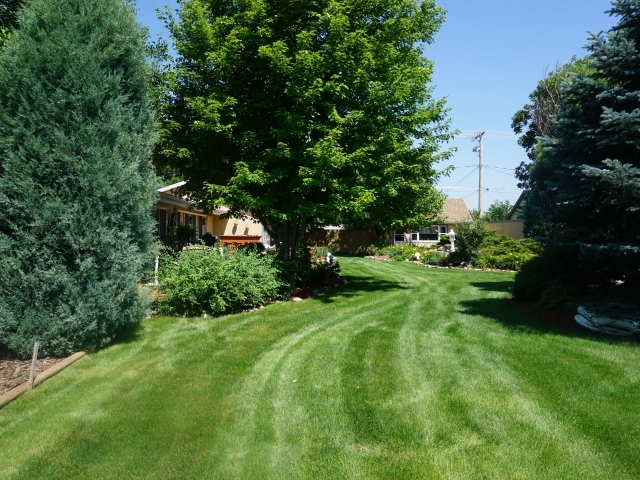 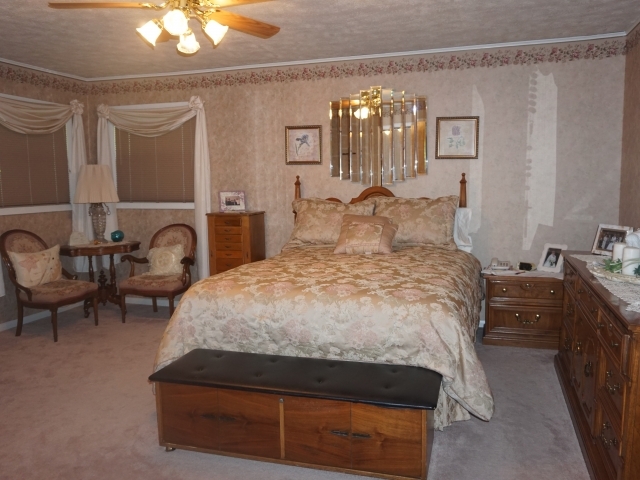 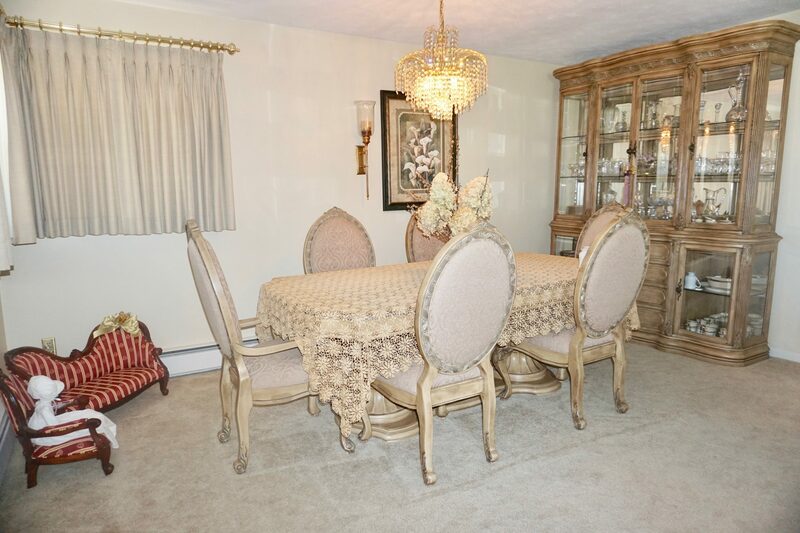 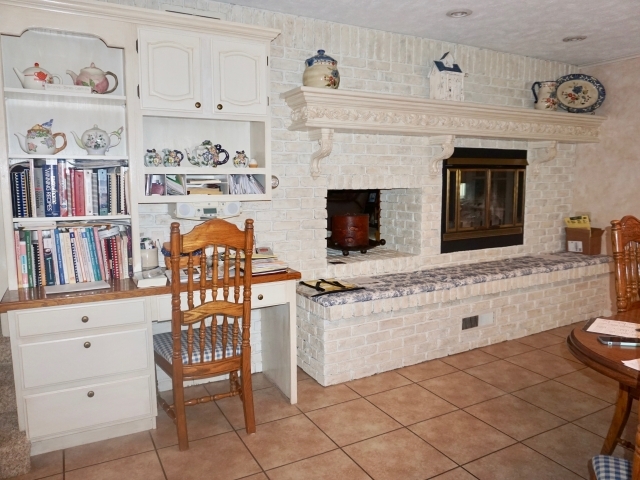 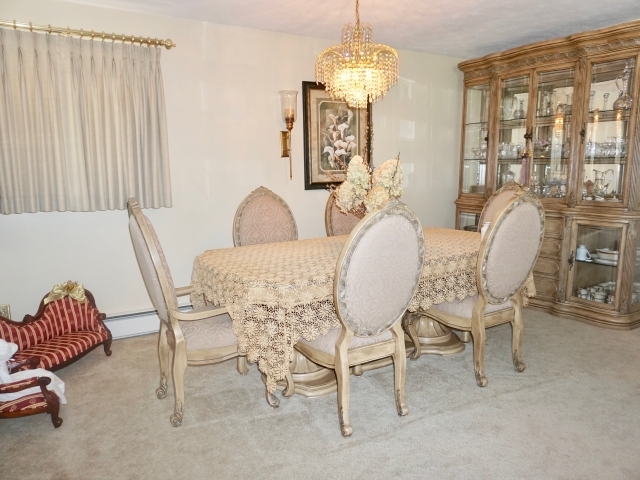 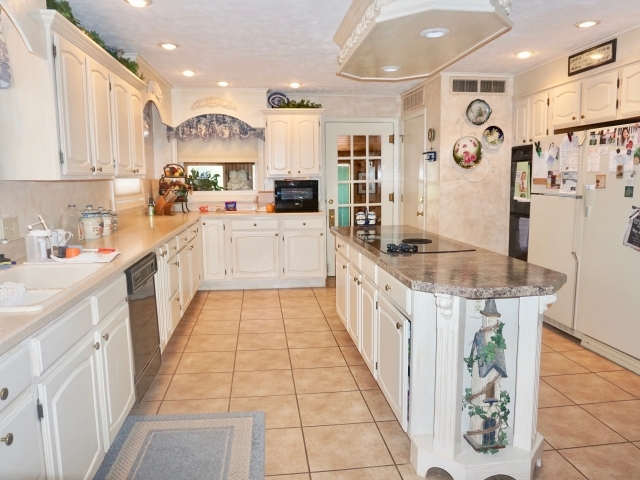 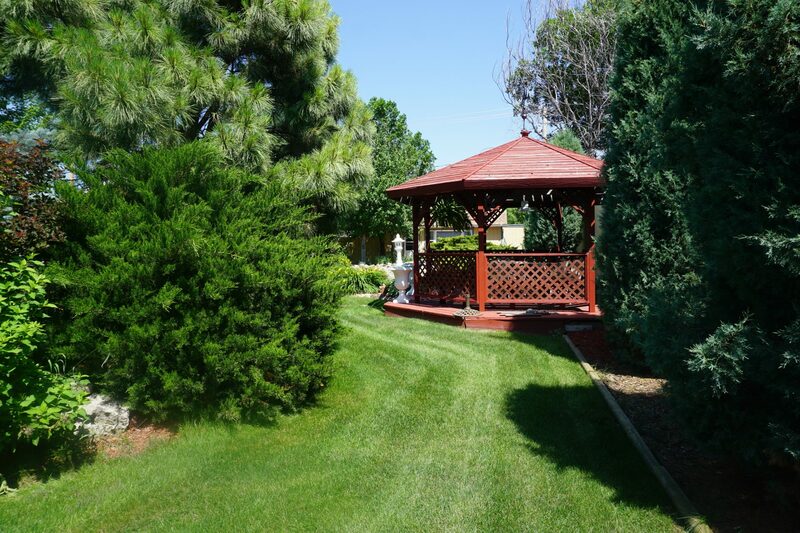 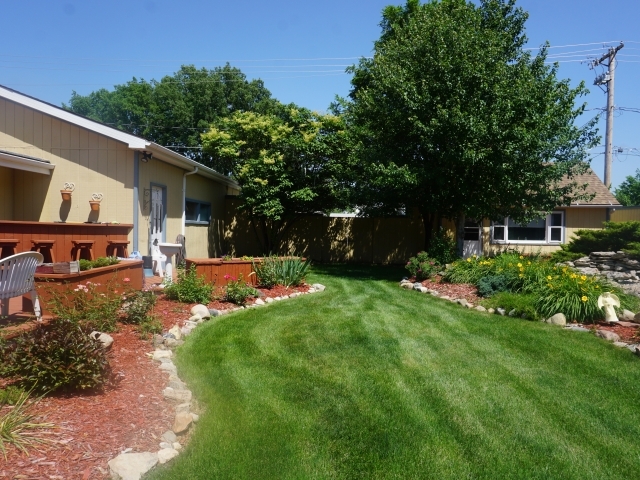 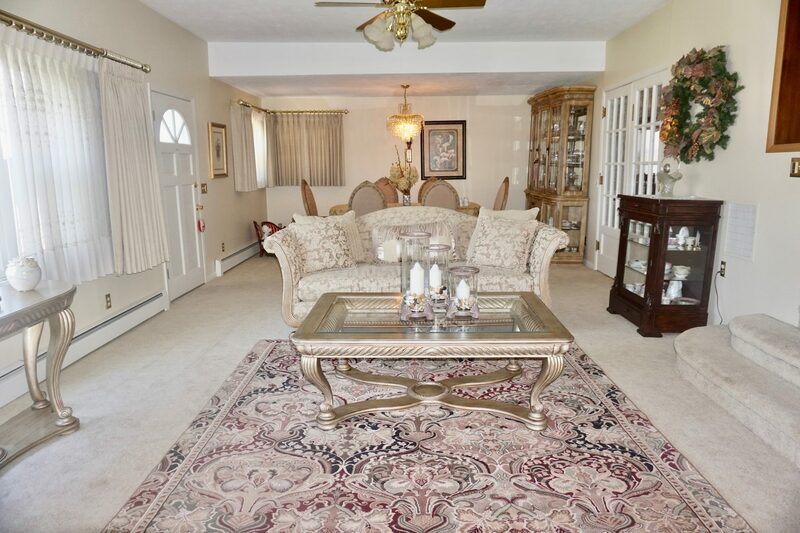 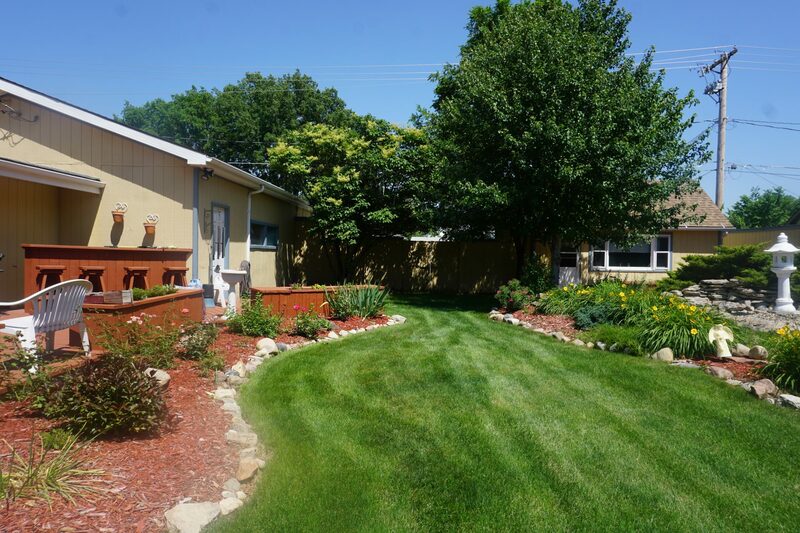 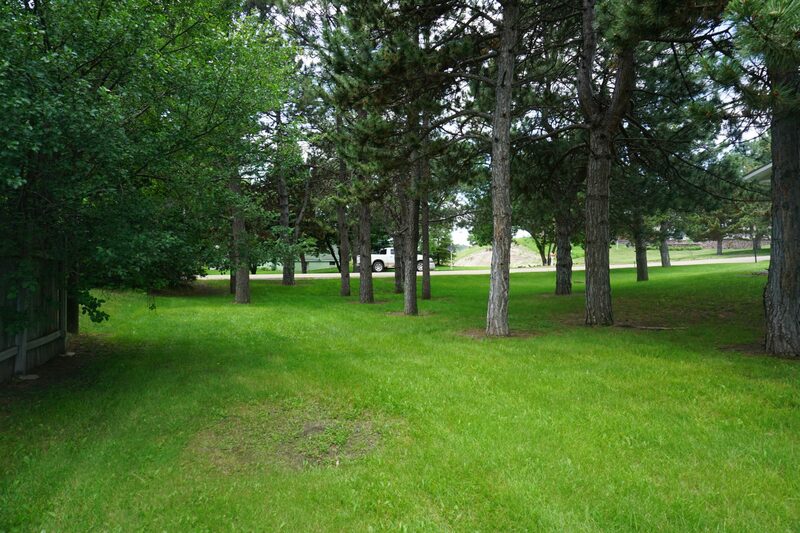 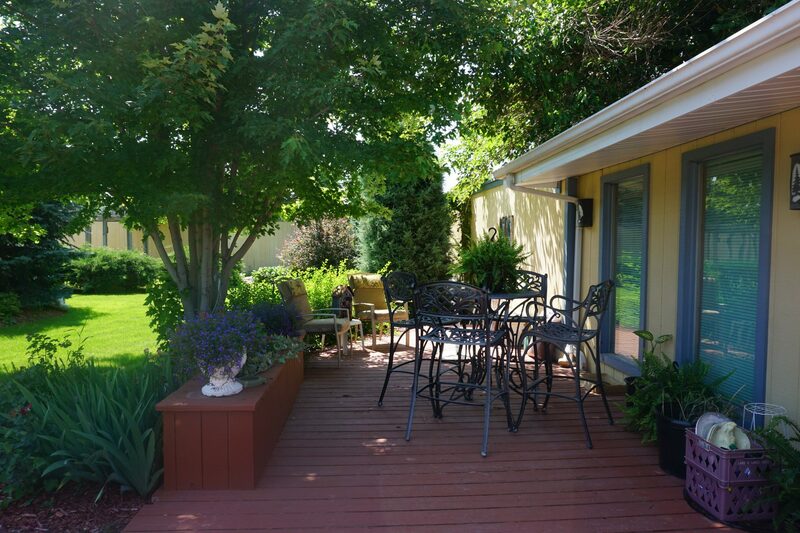 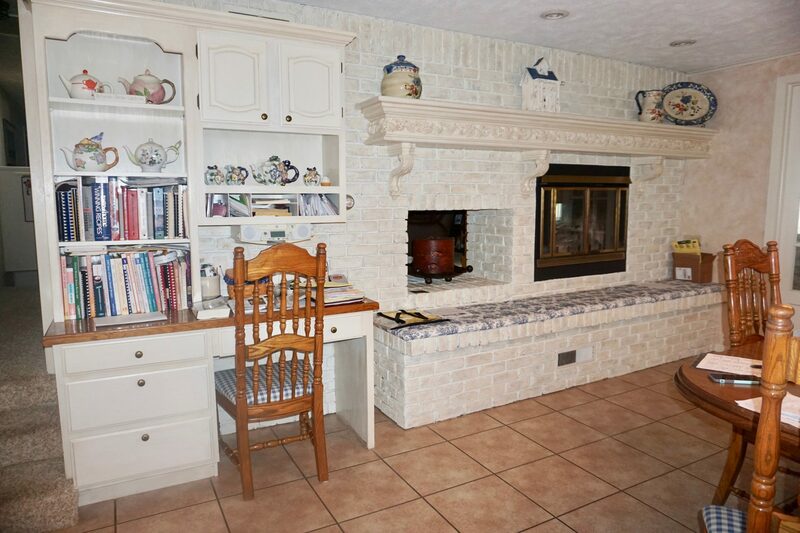 This well maintained property is one-of-a kind nestled in the Heart City! 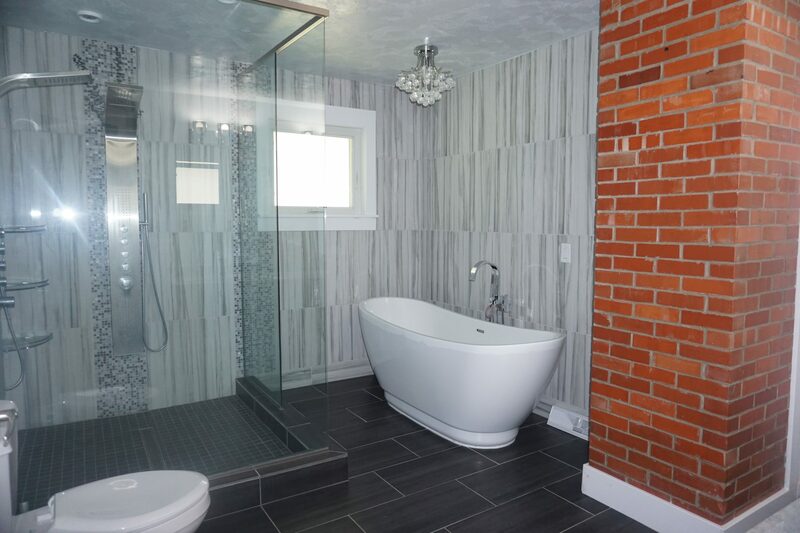 There is over 4,000 sq ft featuring a lovely open kitchen/dining area, for- mal living/dining area, informal living room with replace and bar, master bedroom with ensuite bath, 3 other bedrooms, and another full bath. 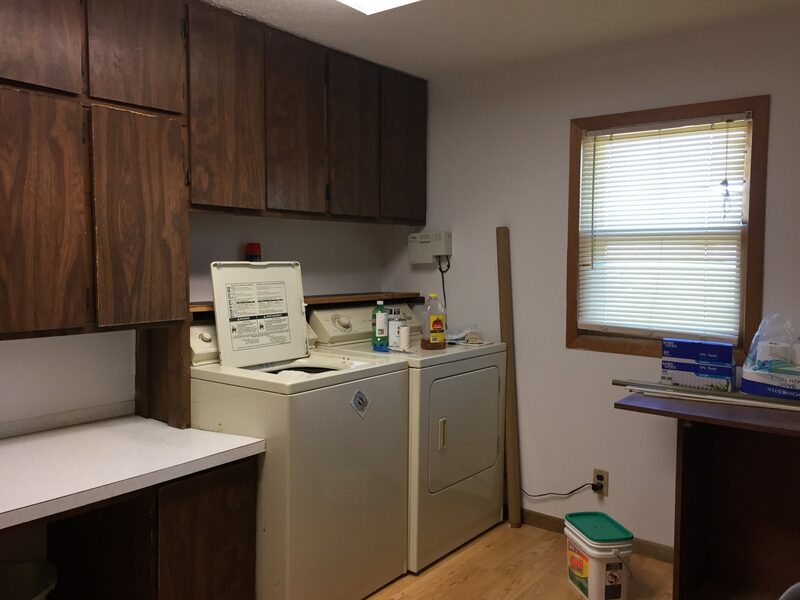 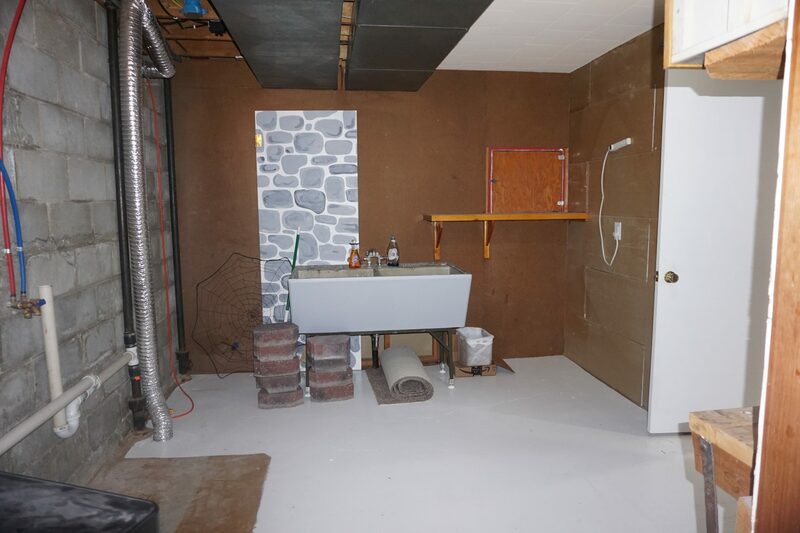 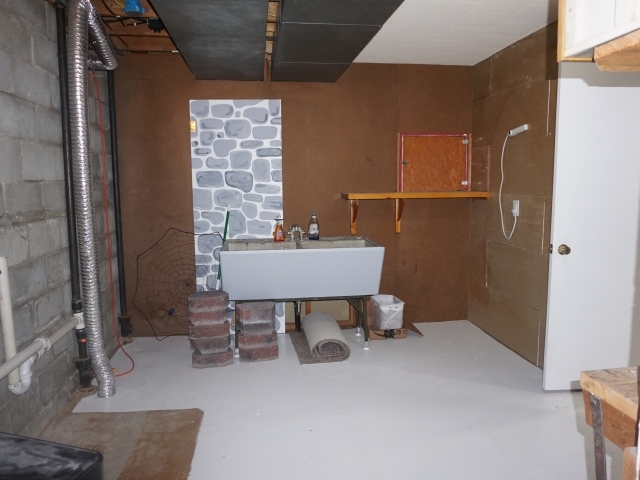 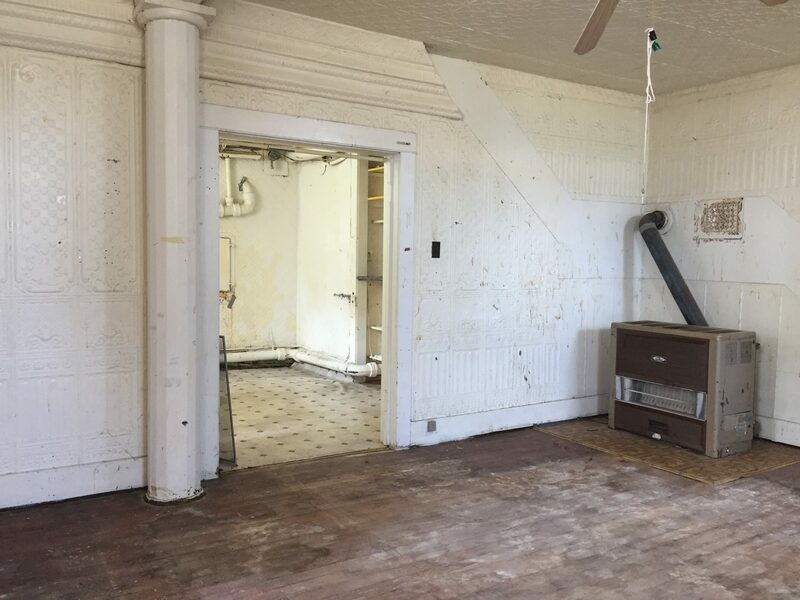 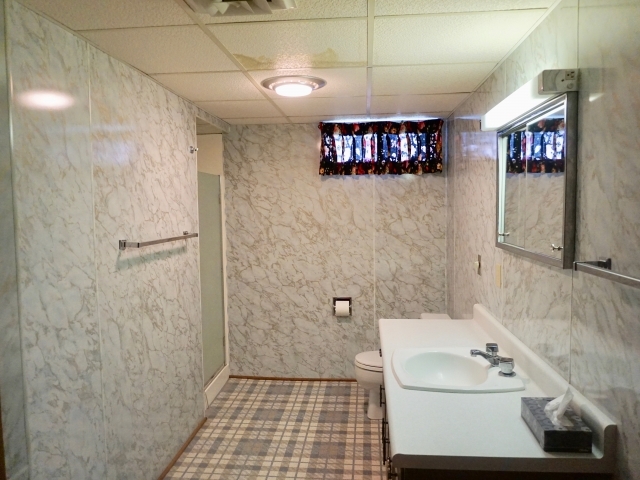 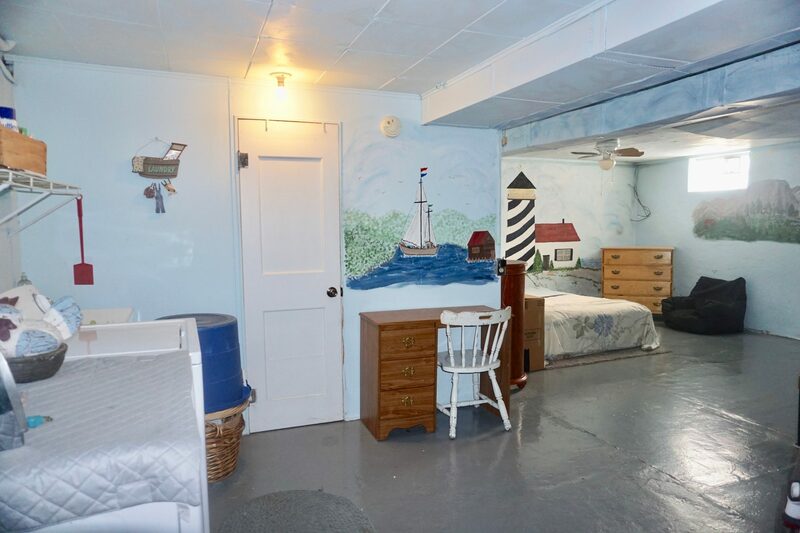 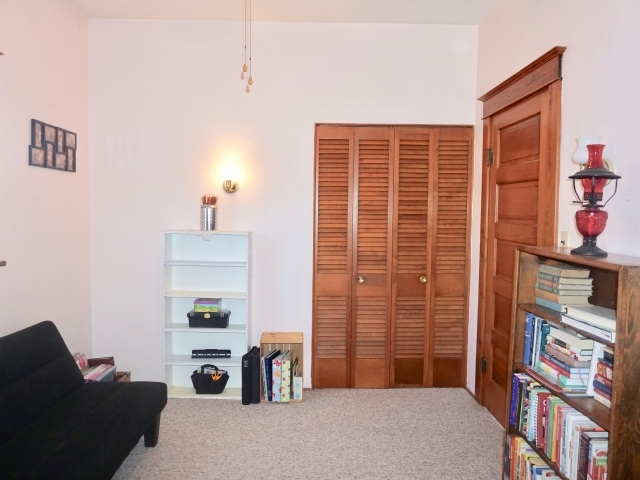 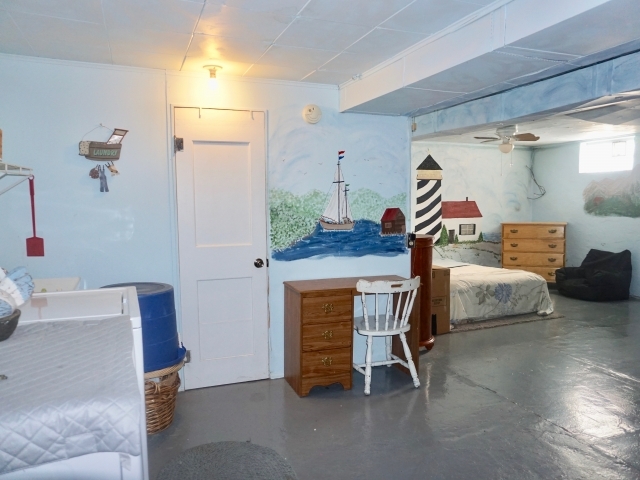 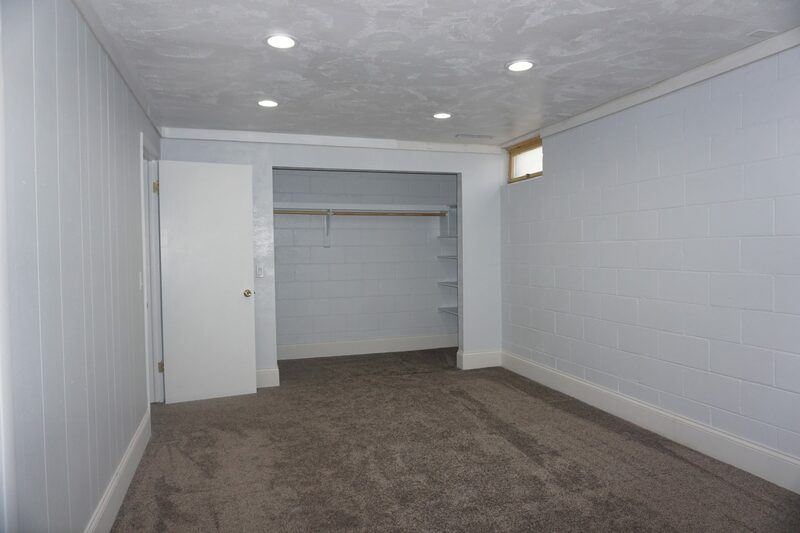 The basement includes a living area with a wet bar and wood burning re- place, small kitchenette, full bathroom, laundry area, and great storage. 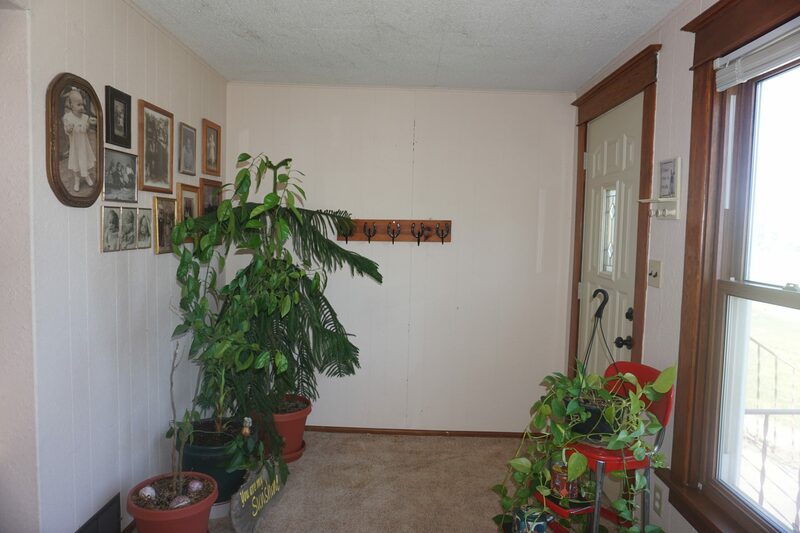 It is perfect for guests or a tenant with an optional side entrance. 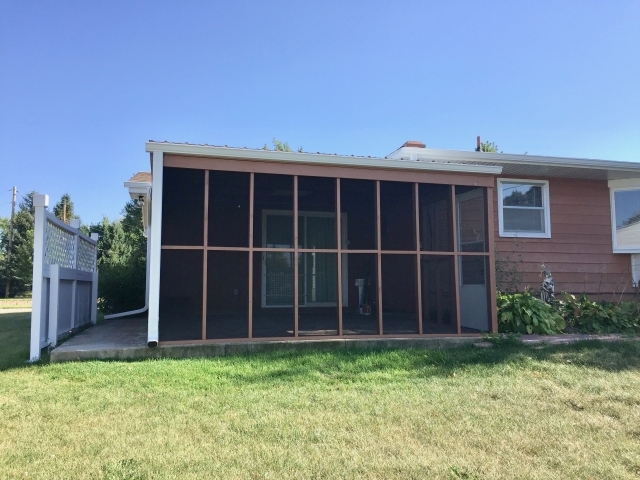 The sunroom features a sauna, prior hot tub area, and a sitting area with an in- credible view of the privacy fenced backyard. 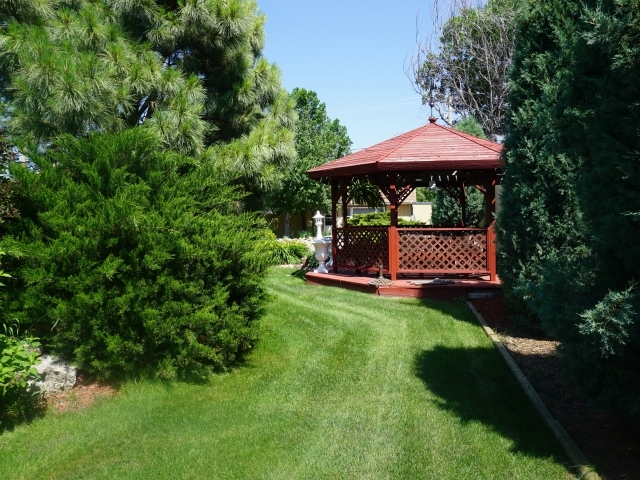 There is beautiful landscap- ing, underground sprinklers, gazebo and pergola, large deck with outdoor bar, and great entertaining space. 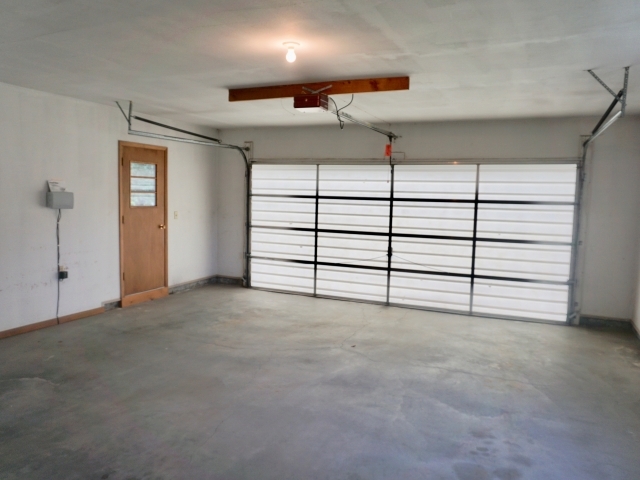 A 3 car attached garage and detached garage complete the property. 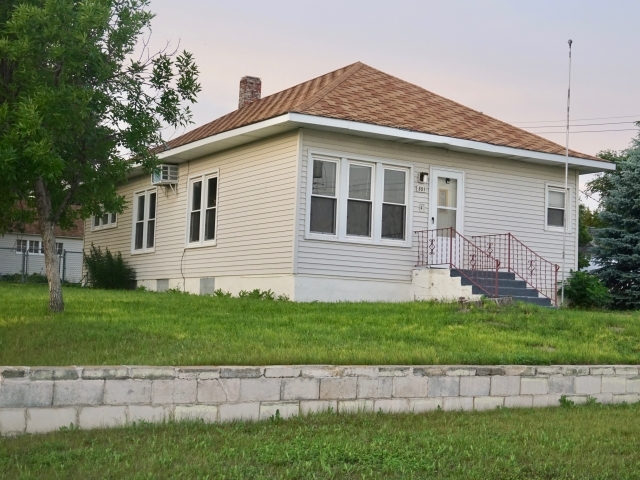 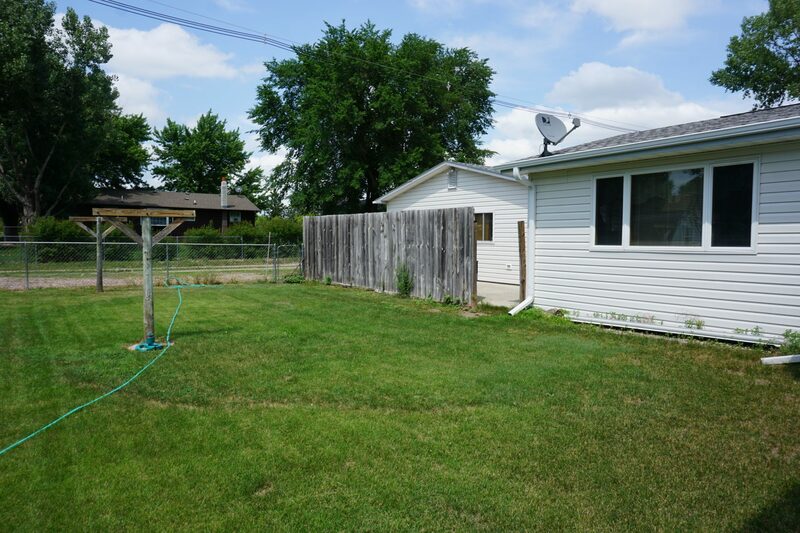 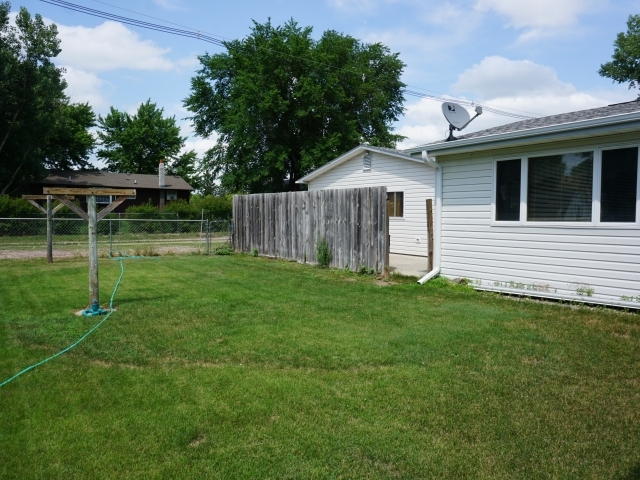 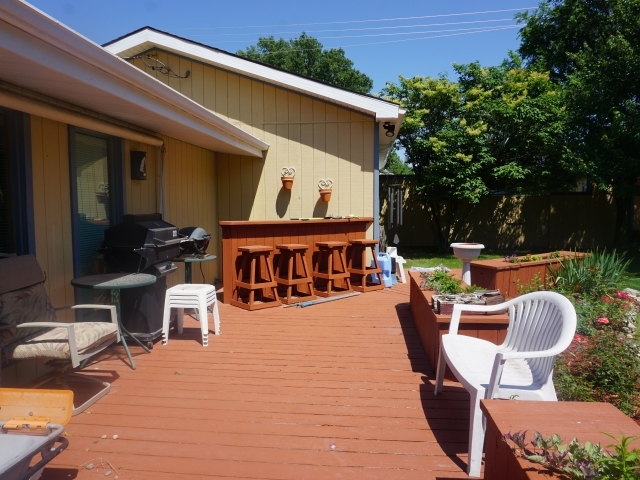 Take a look at this property situated on a double corner lot close to downtown! 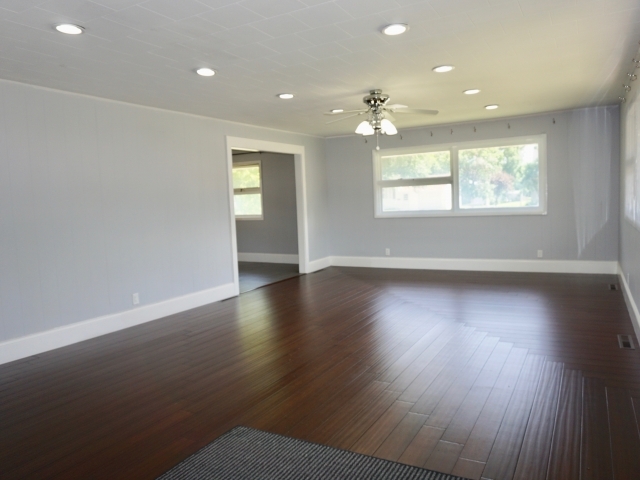 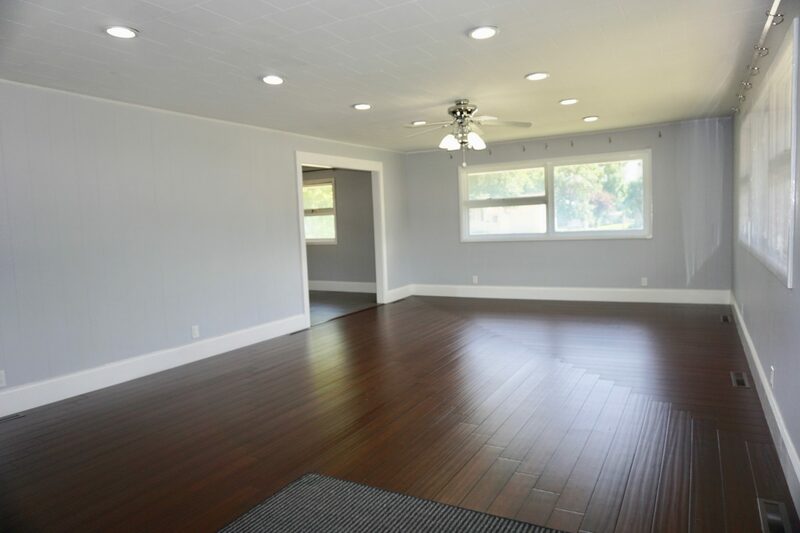 Recently remodeled 3,708 sqft brick one-story home on North Main Street. 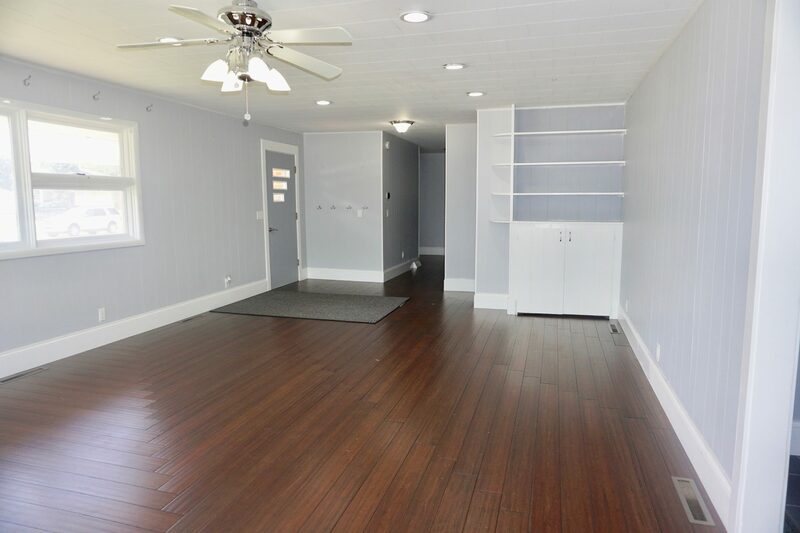 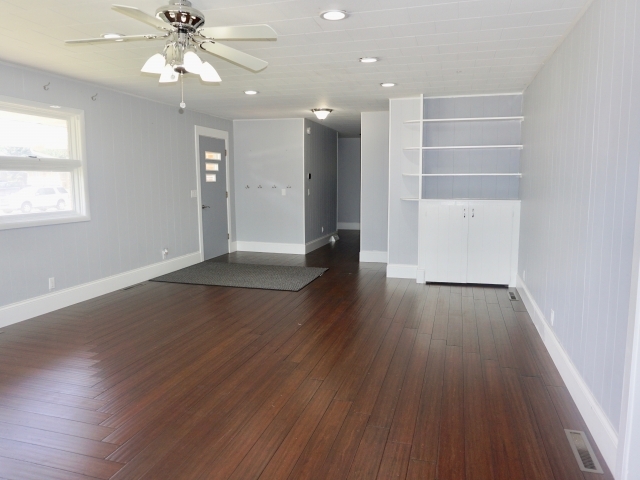 Contemporary with neutral paint, white woodwork, new flooring including hand scraped hardwood and Italian tile, and recessed lighting throughout. 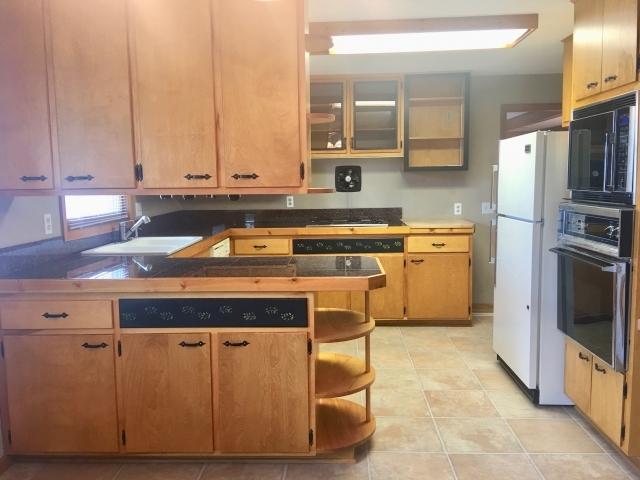 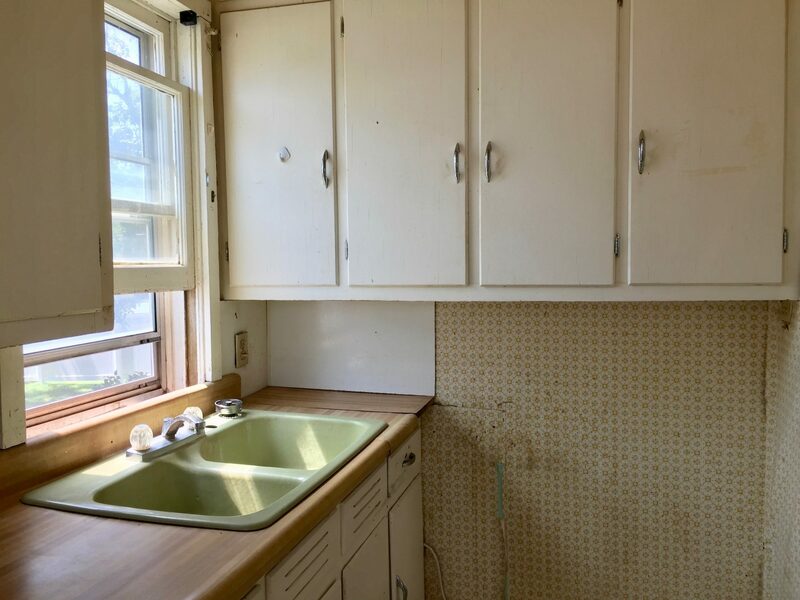 Features large living area, separate dining room, updated kitchen with stainless appliances, 3 bedrooms, and 2 bathrooms. 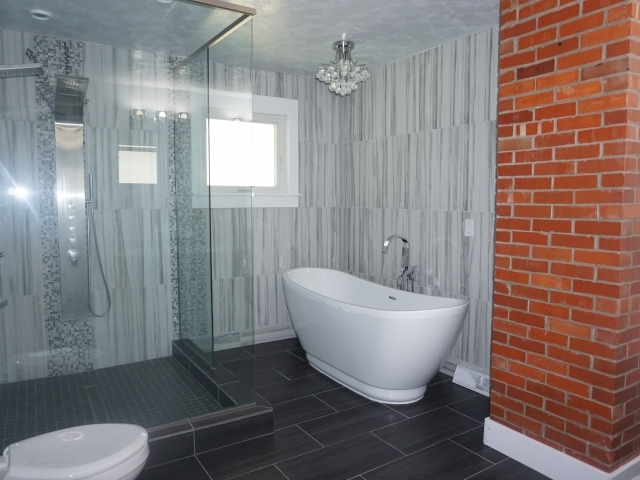 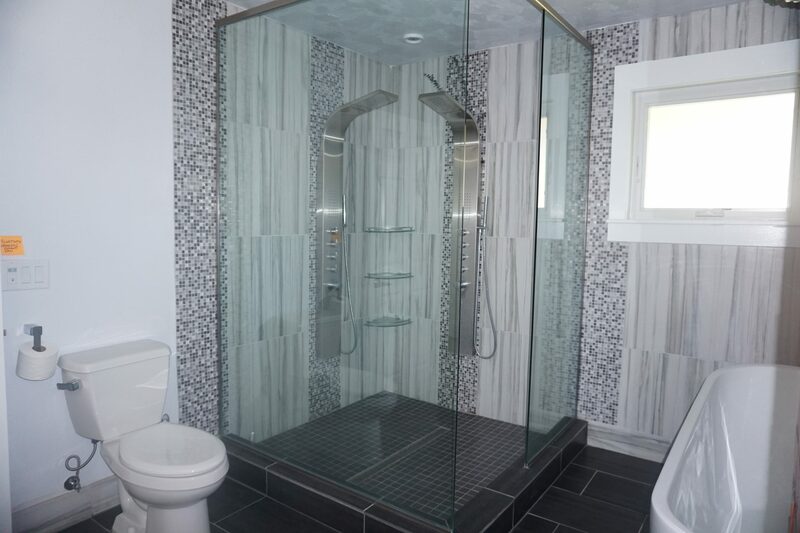 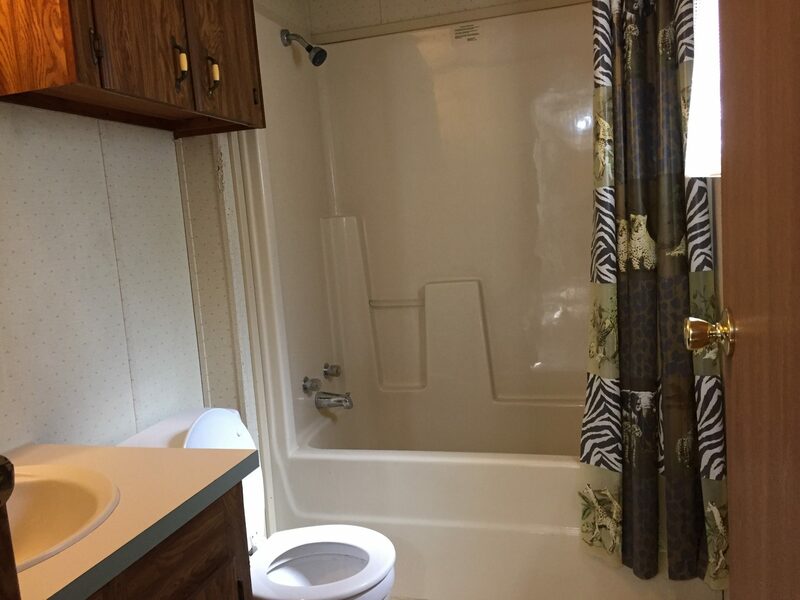 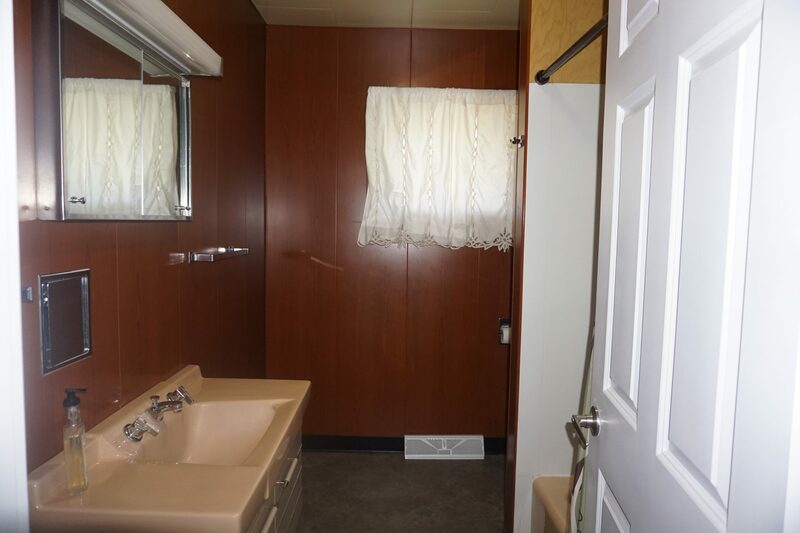 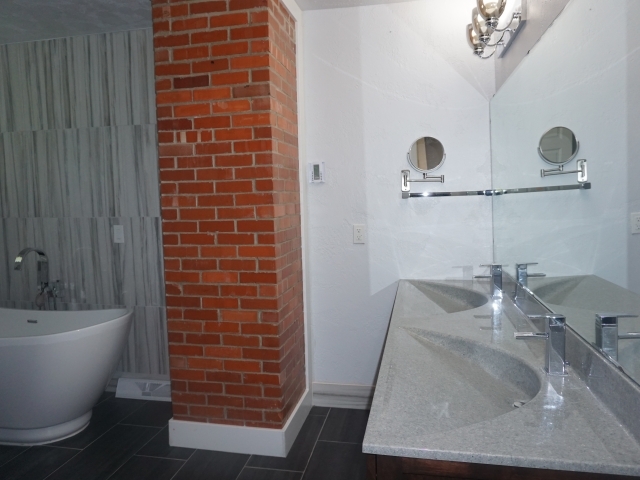 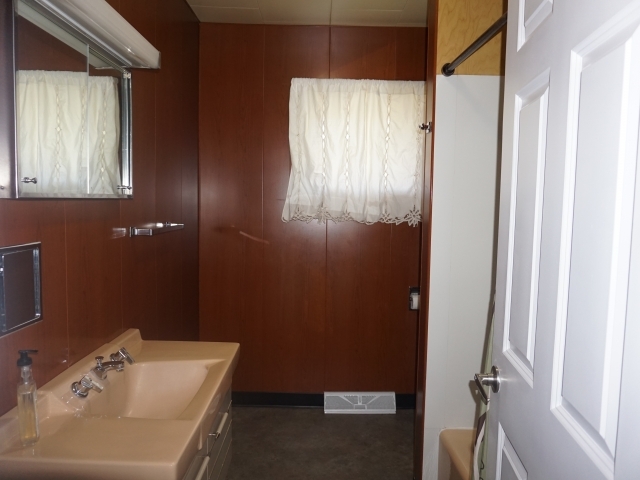 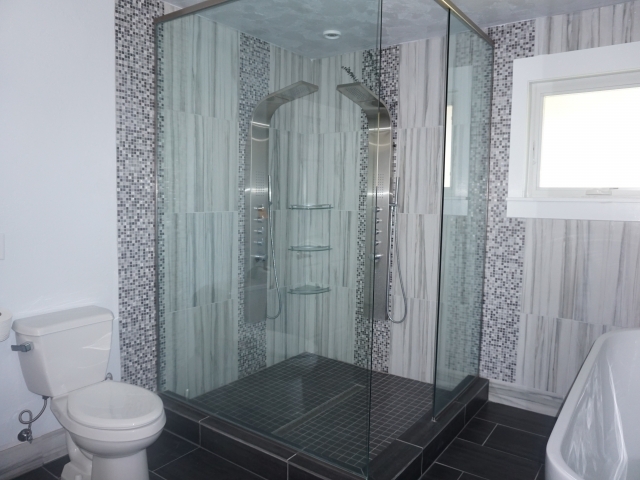 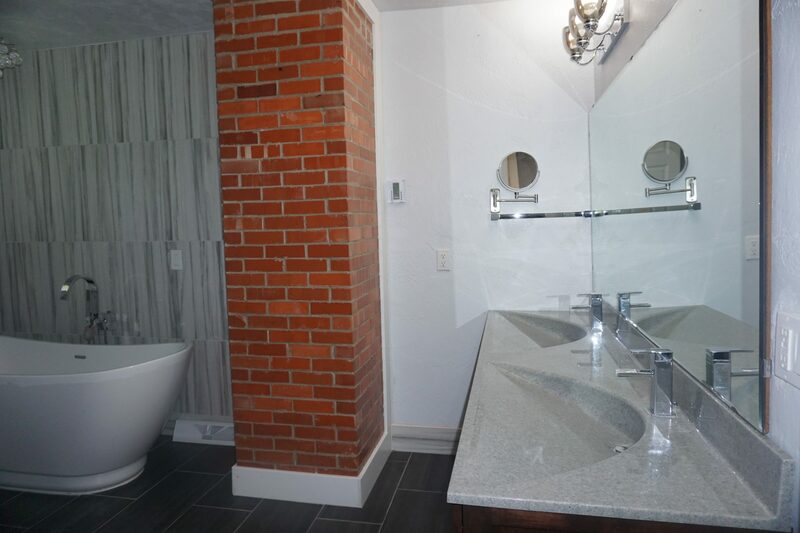 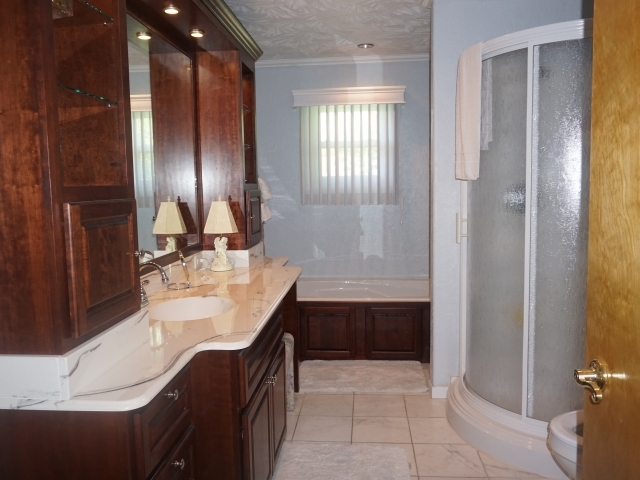 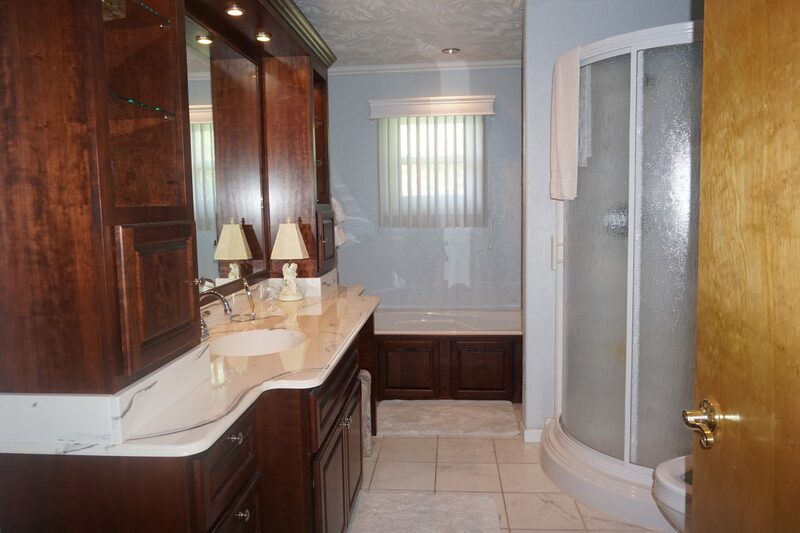 The master suite has an elegant bath with a double vanity, freestanding soaker tub, double body tile shower with frameless enclosure, heated floors, and Bluetooth speaker. 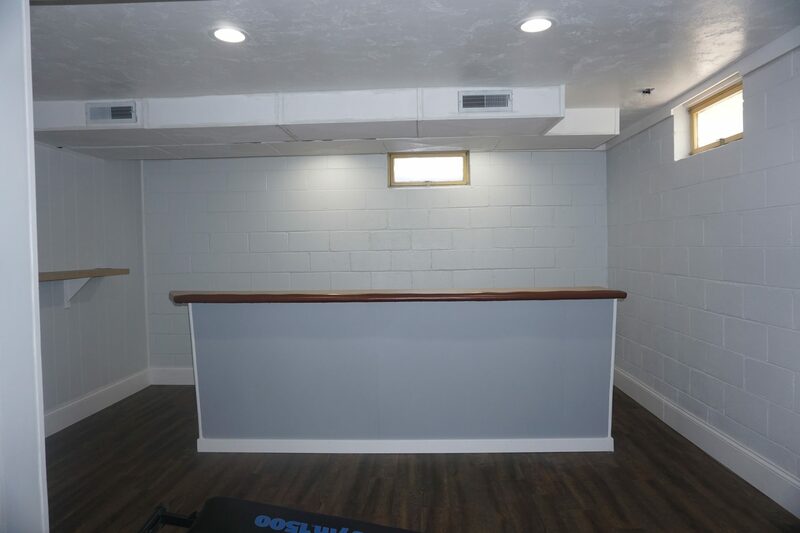 The basement includes a large living area with bar and home theater with ceiling/in-wall speakers and ability to project over 120” screen. 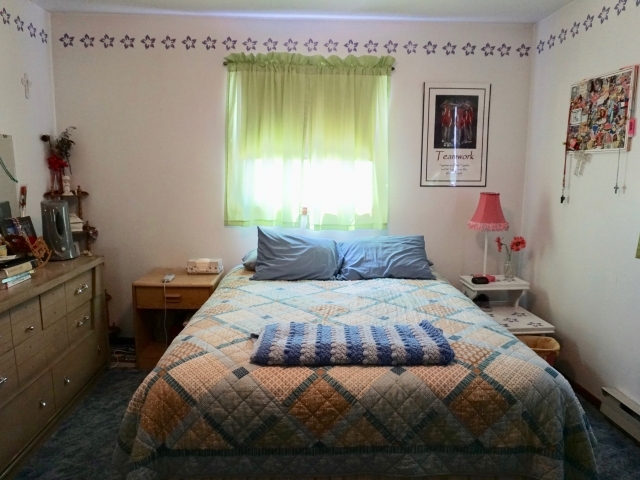 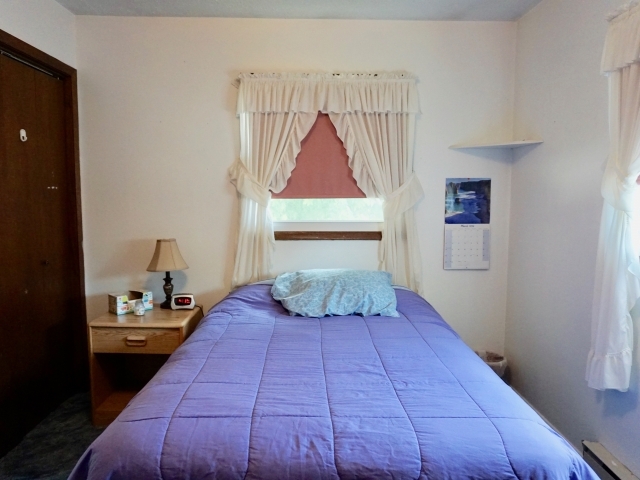 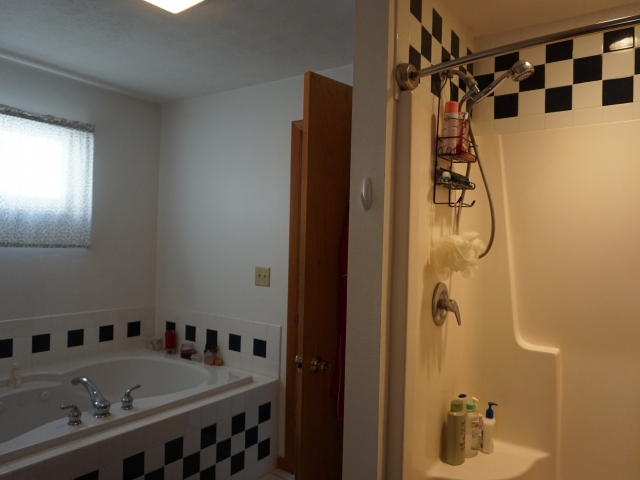 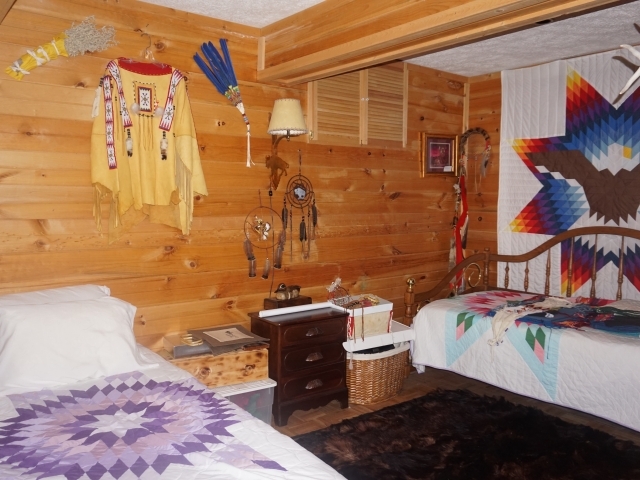 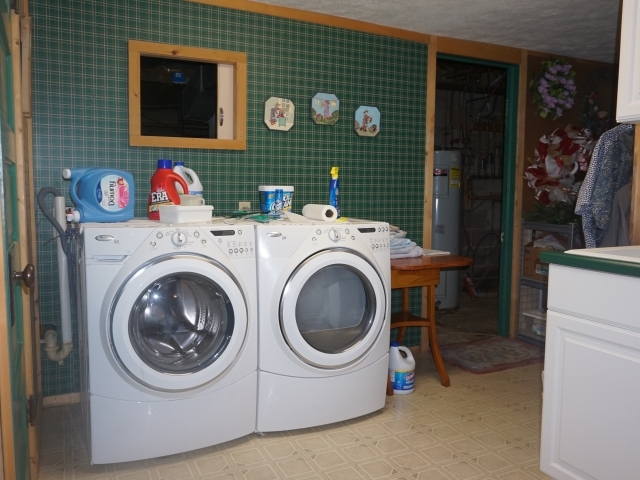 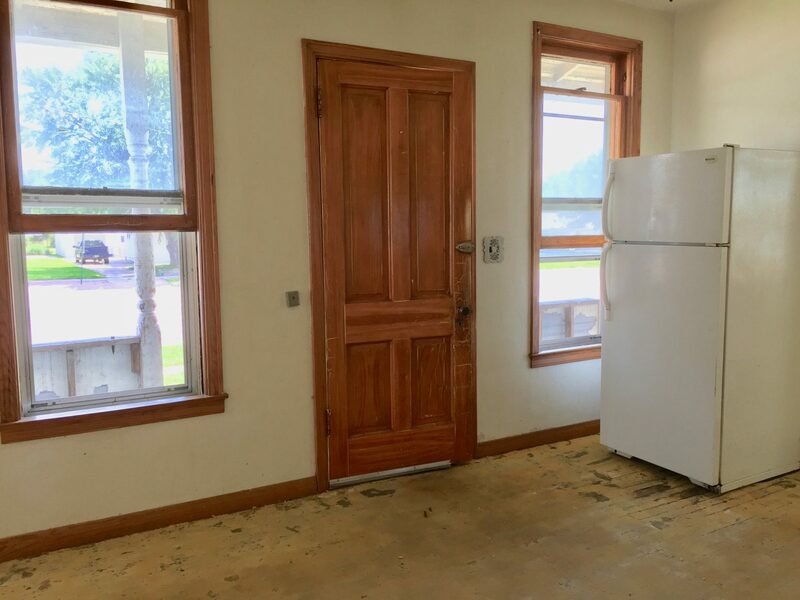 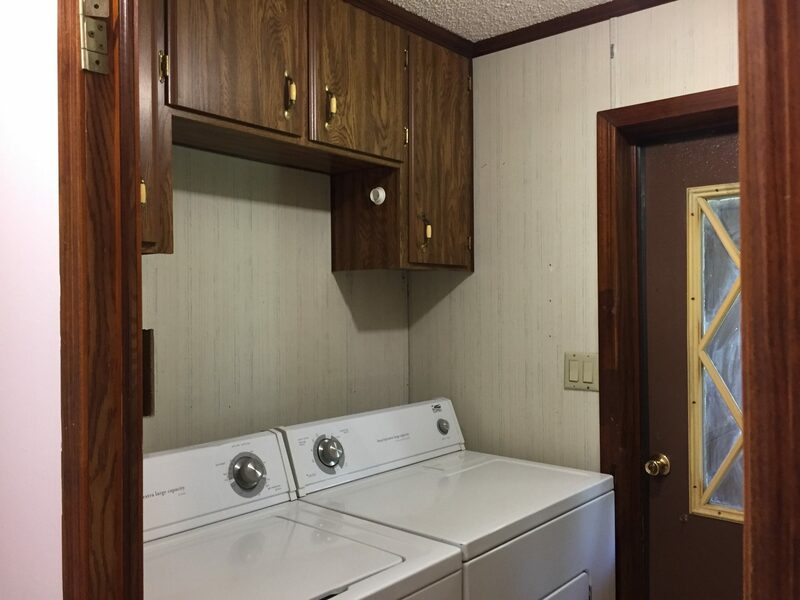 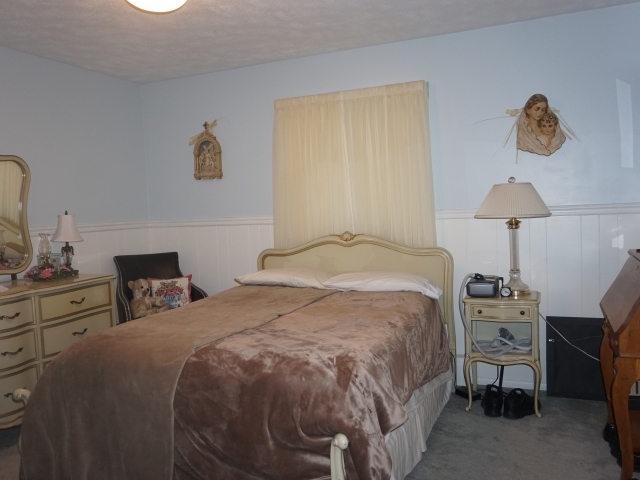 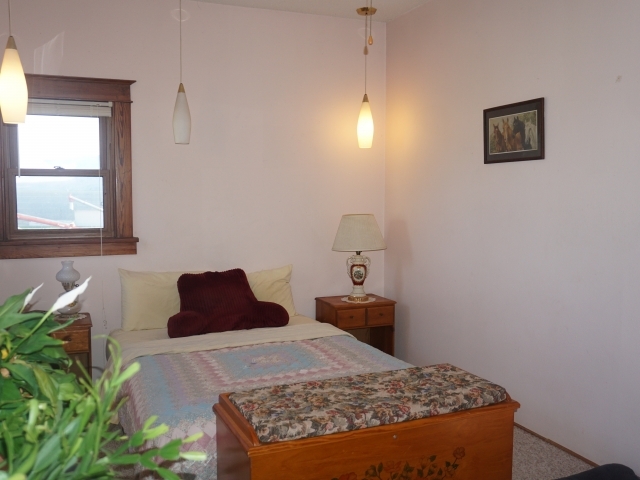 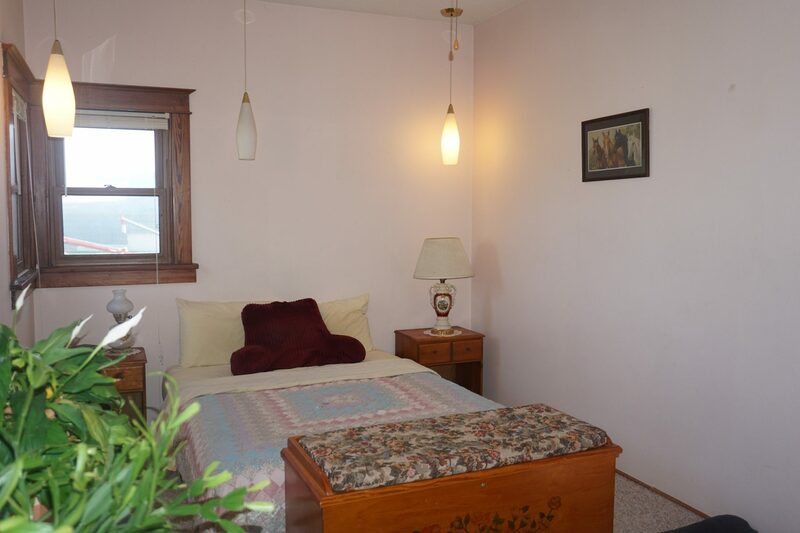 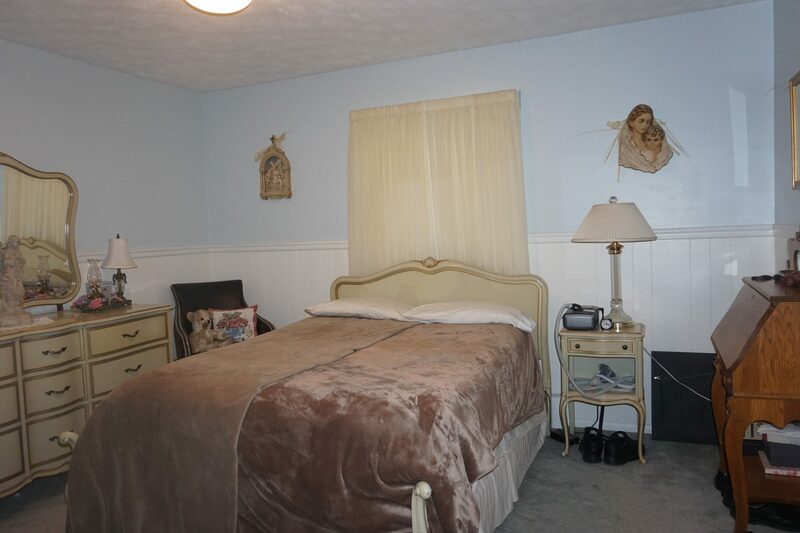 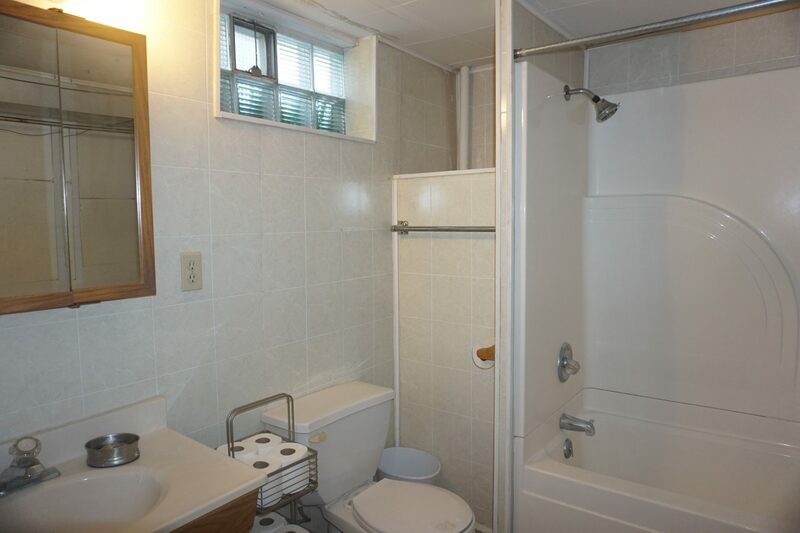 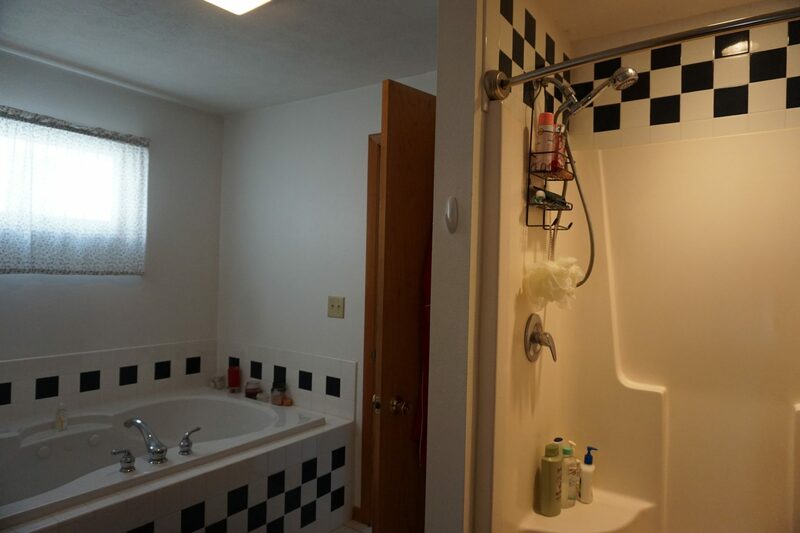 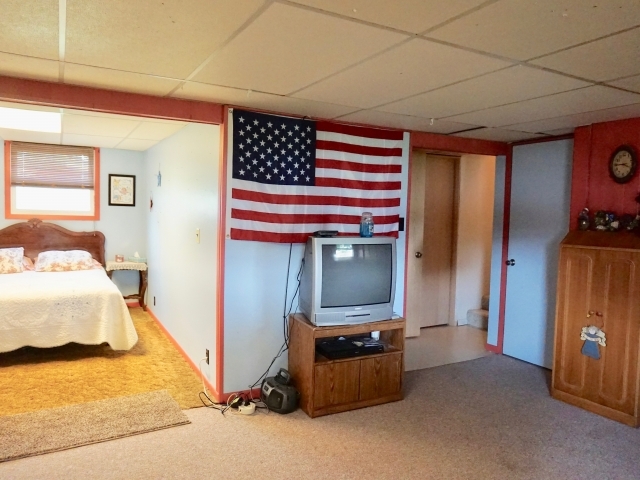 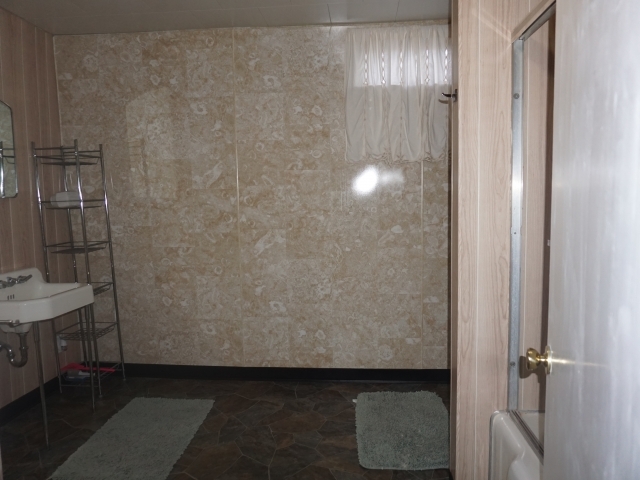 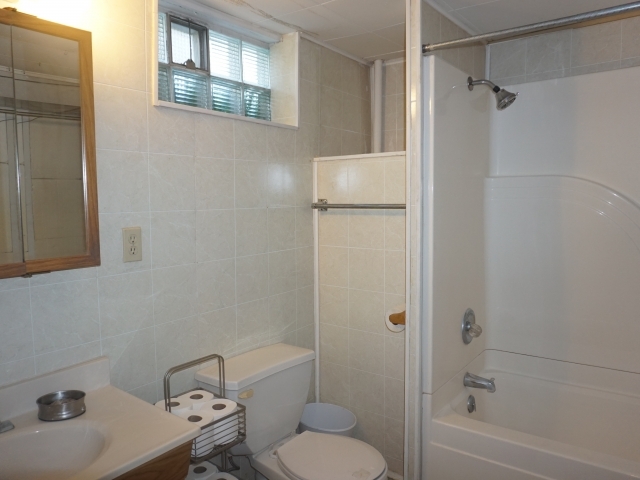 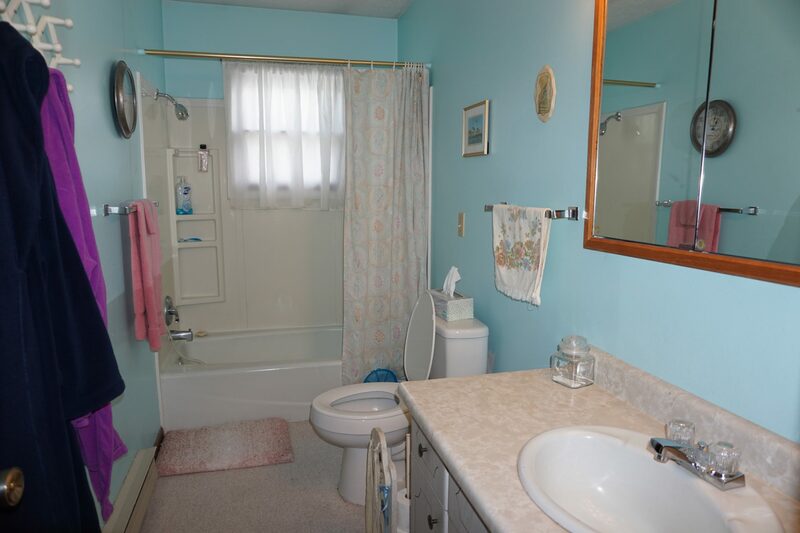 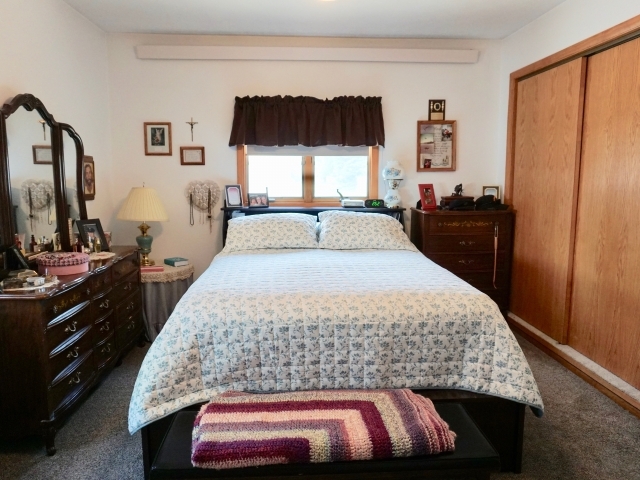 There are 2 non-conforming bedrooms, 1 full bathroom, maintenance with geothermal heating/cooling, tankless hot water heater, water softener, and laundry area. 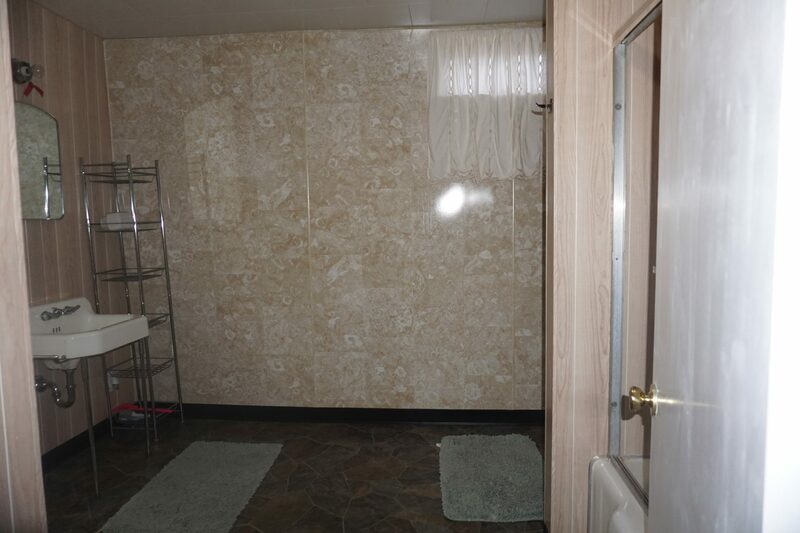 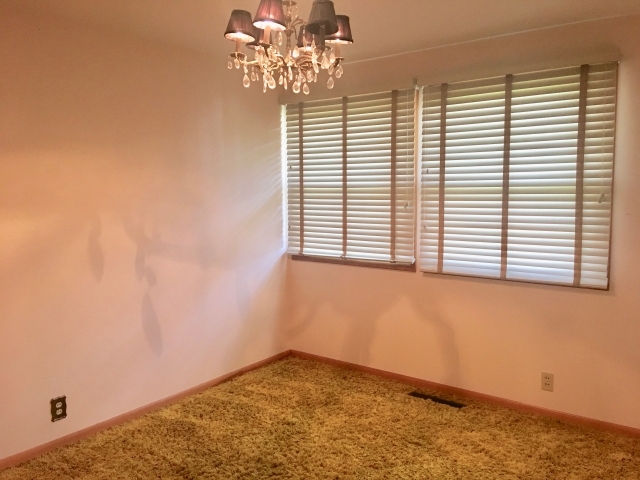 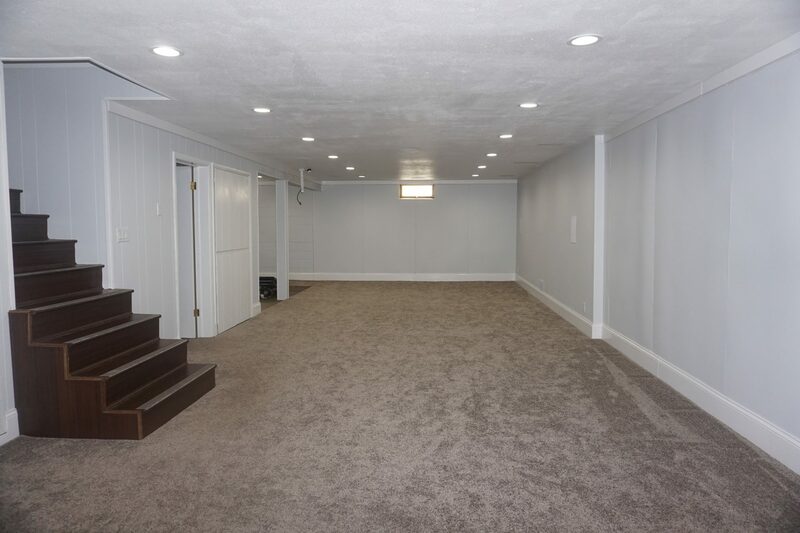 The property sits on a corner lot with an oversized 2 car detached garage and has underground sprinklers. 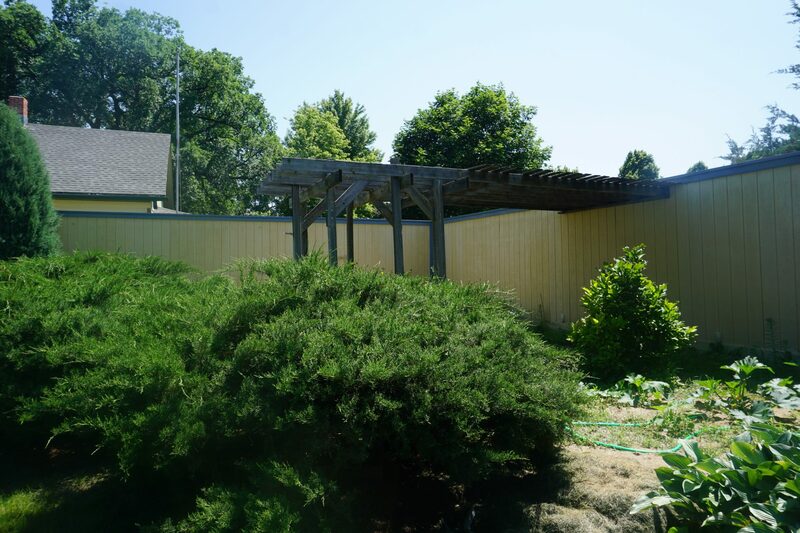 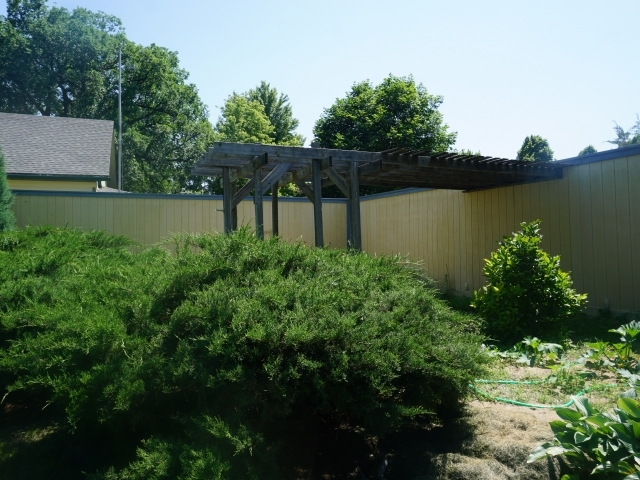 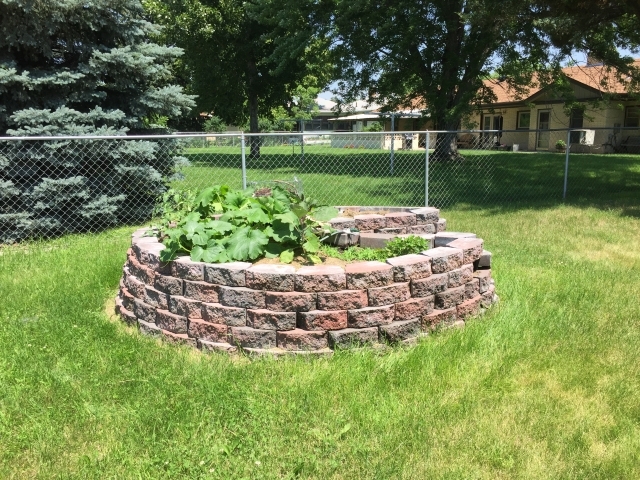 The backyard is fenced and there are raised flower beds. You’ll appreciate the updates already done here! 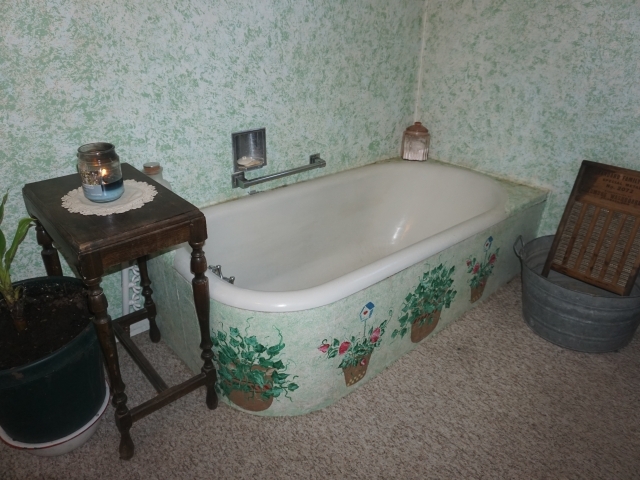 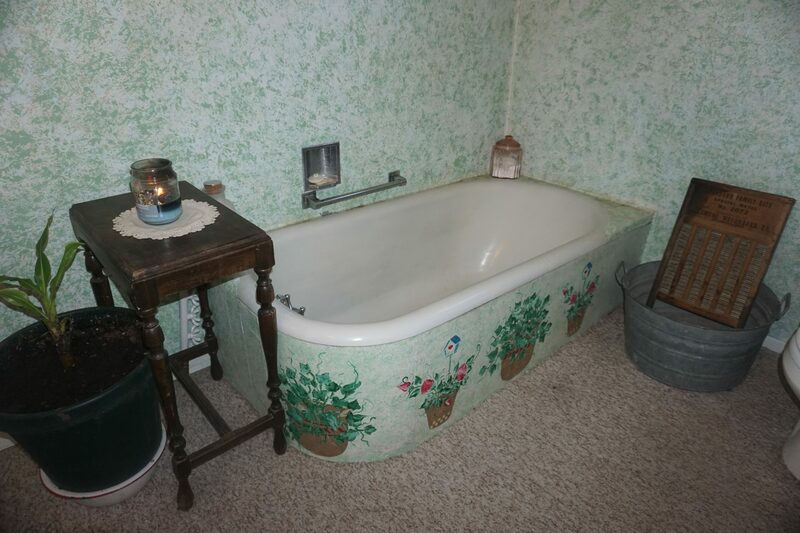 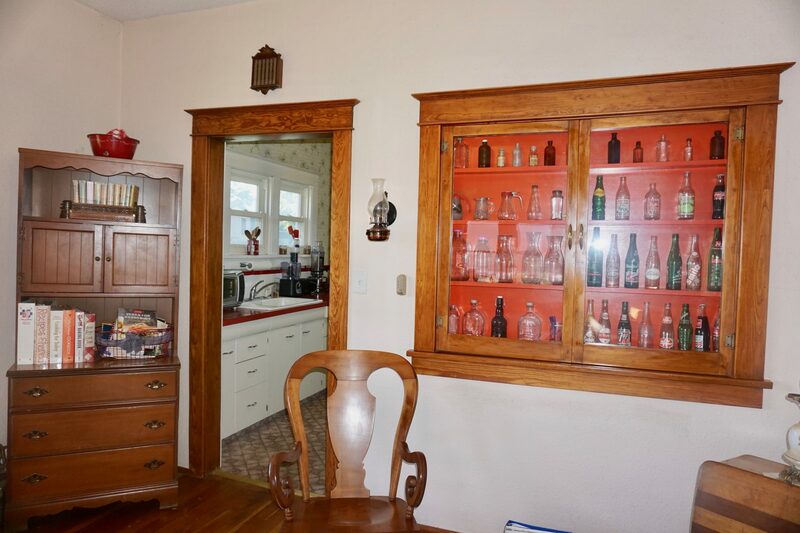 Step back into the turn of the 19th century with this historic home. 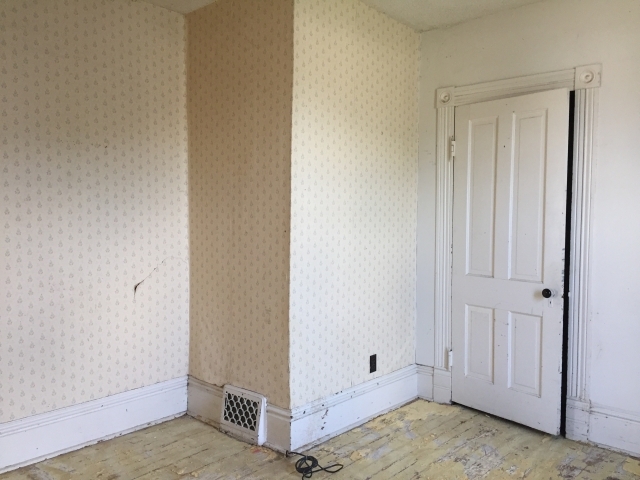 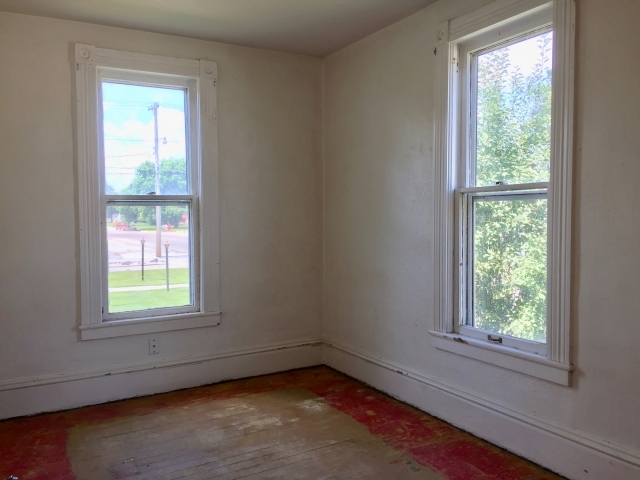 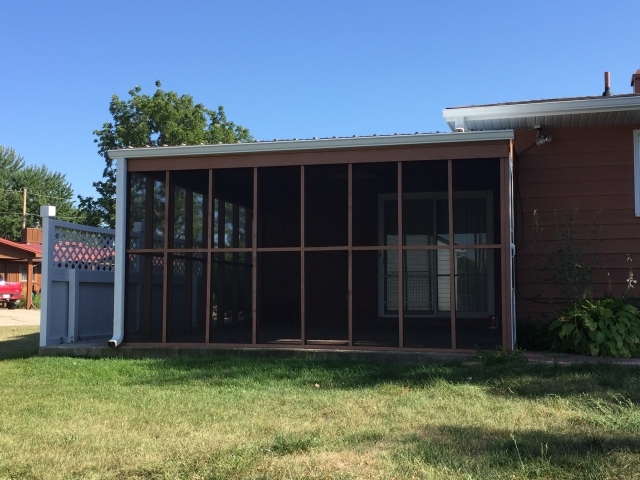 There is investment potential with two separate units or the possibility to return to a single family residence. 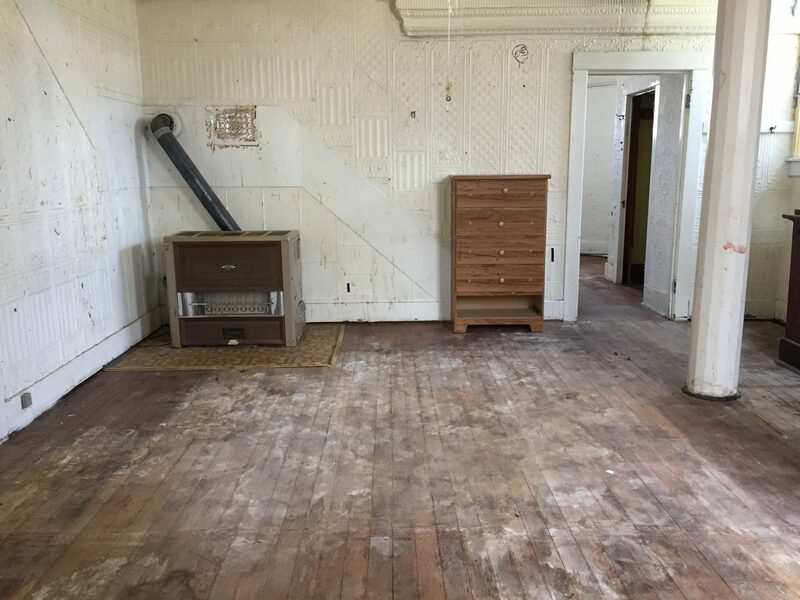 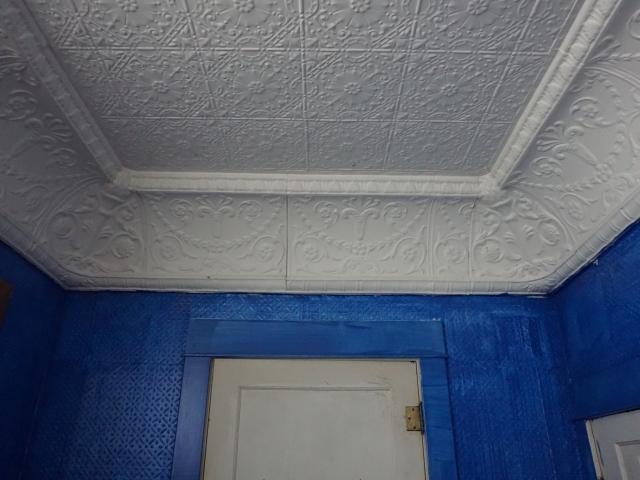 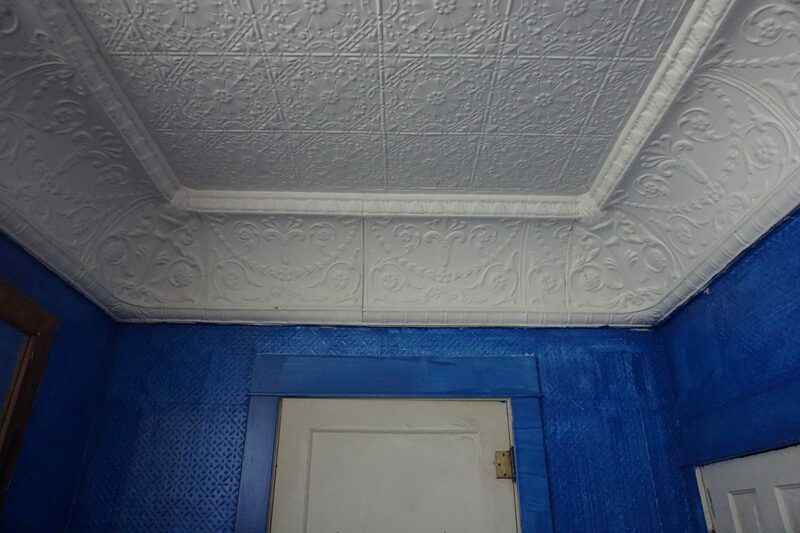 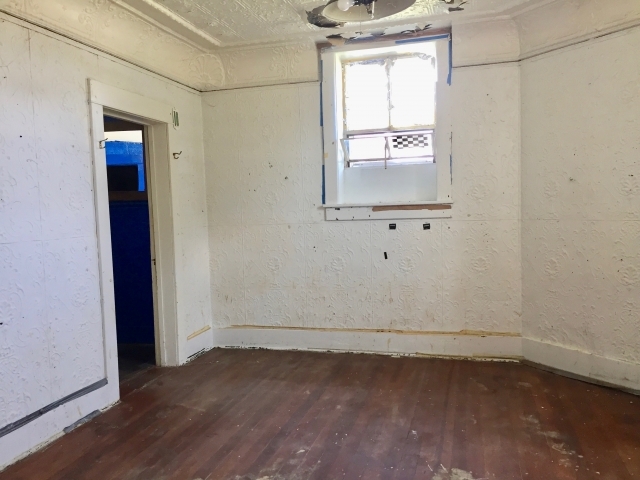 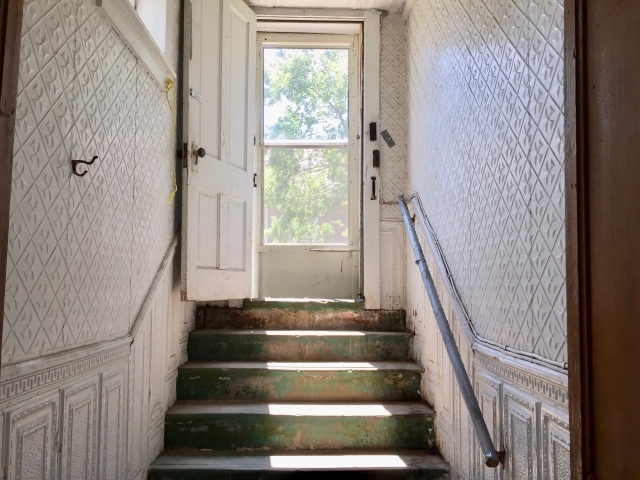 The main level features a modest kitchen, central dining area, living room with ornate corner built-in and fireplace, full bathroom with decorative pressed tin ceiling, 2 larger bedrooms, and 1 smaller bedroom. 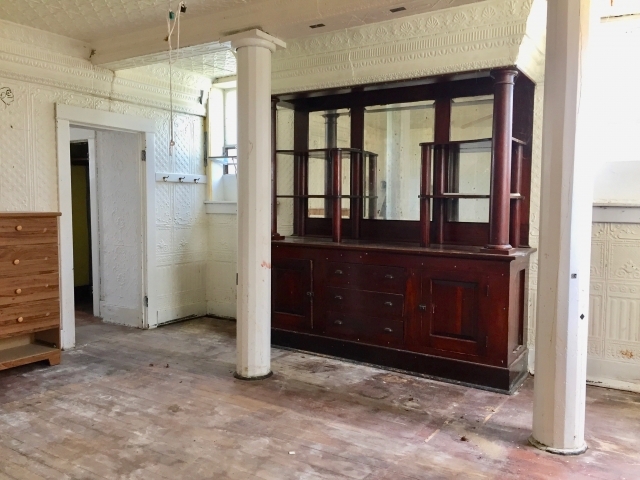 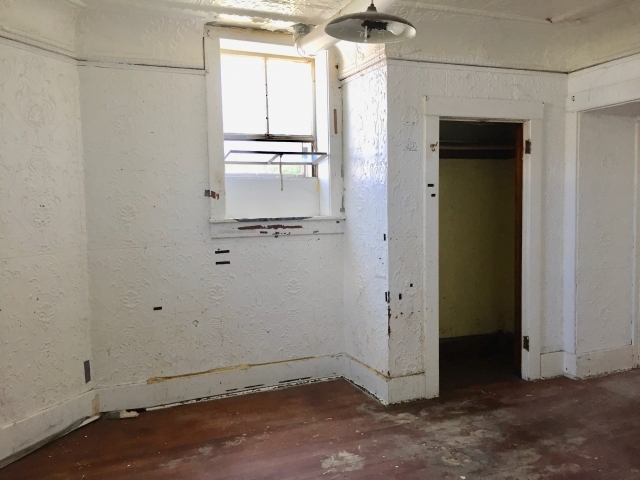 The basement is characterized by decorative pressed tin throughout and includes an exterior entrance, living area with architectural pillars and beautiful built-in hutch, primitive kitchen/dining area, non-conforming bedroom, 3⁄4 bathroom, store room, mechanical room, and root cellar. 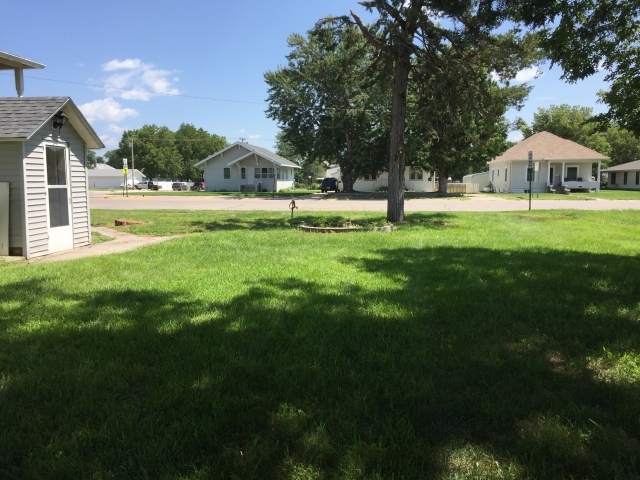 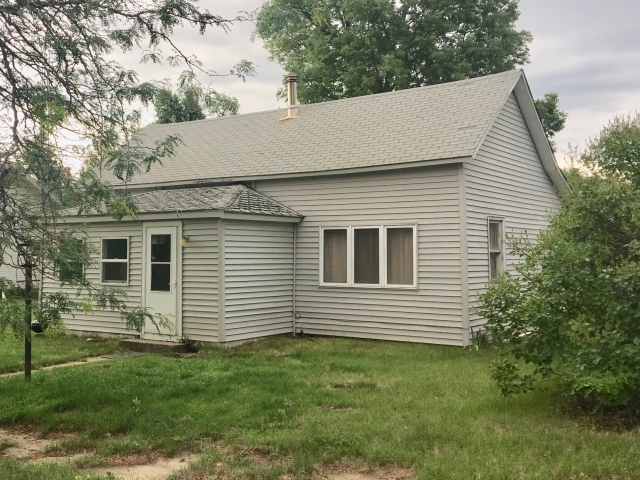 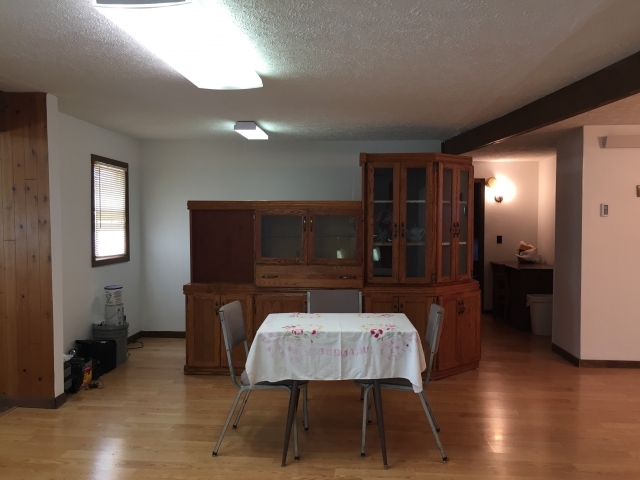 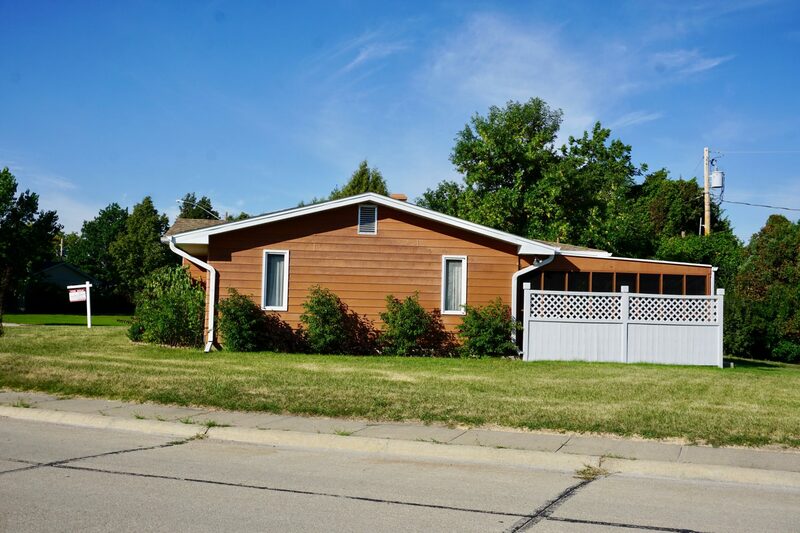 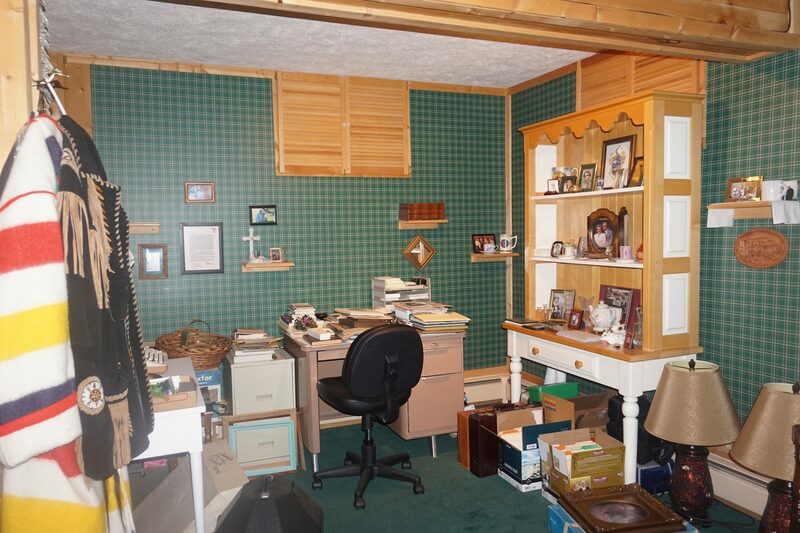 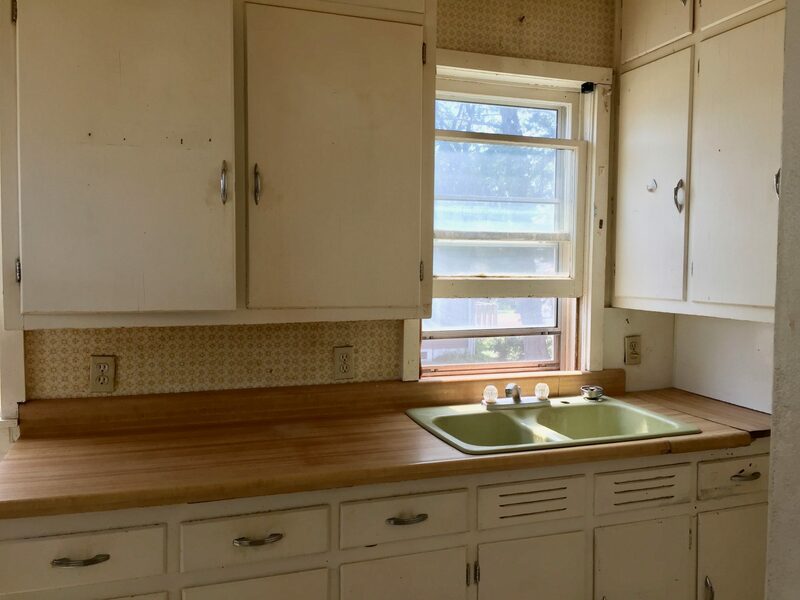 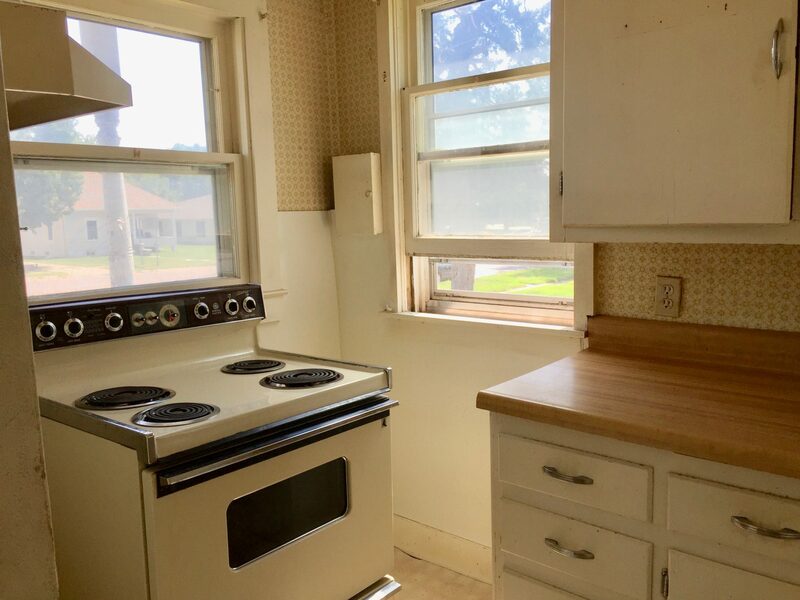 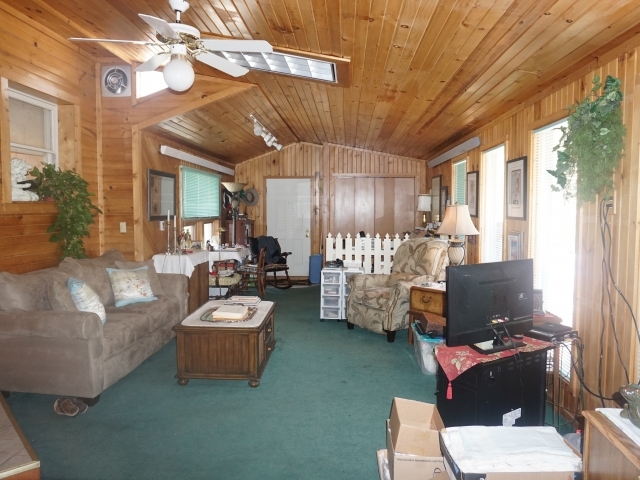 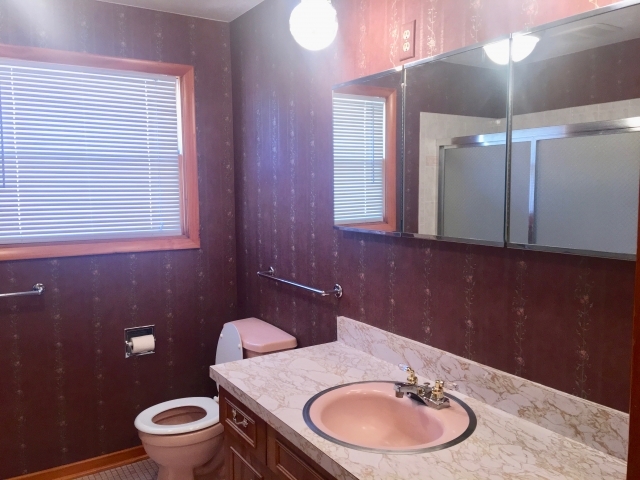 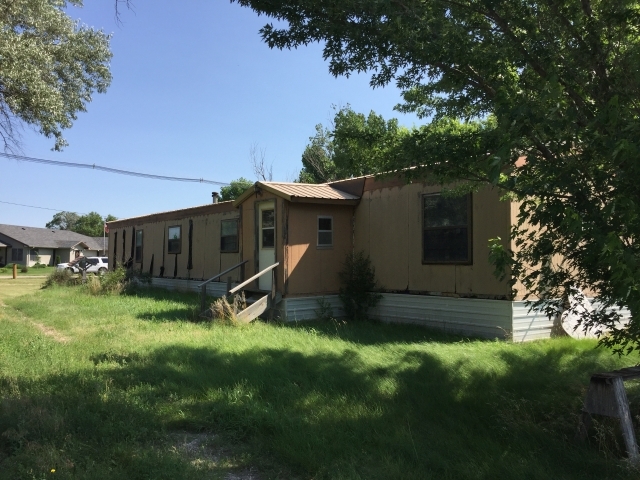 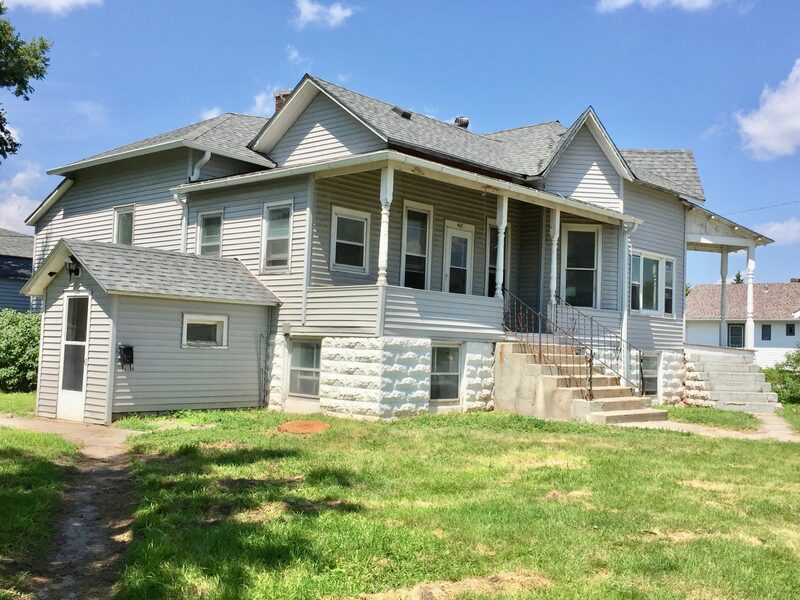 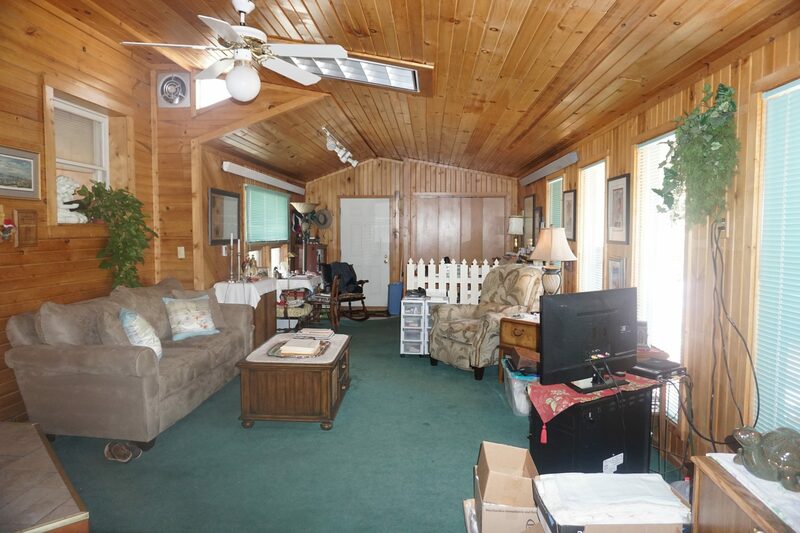 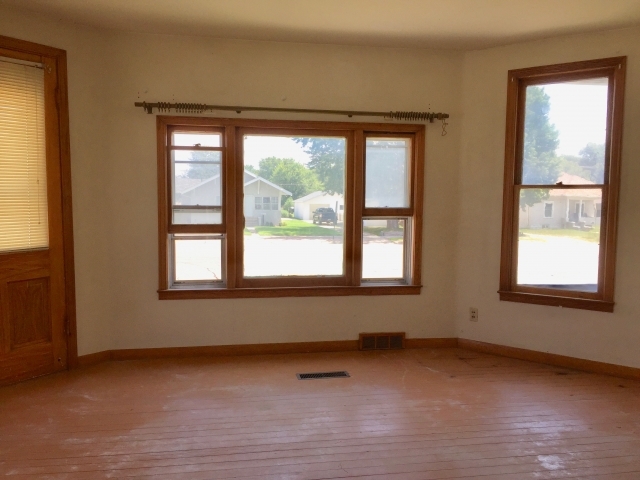 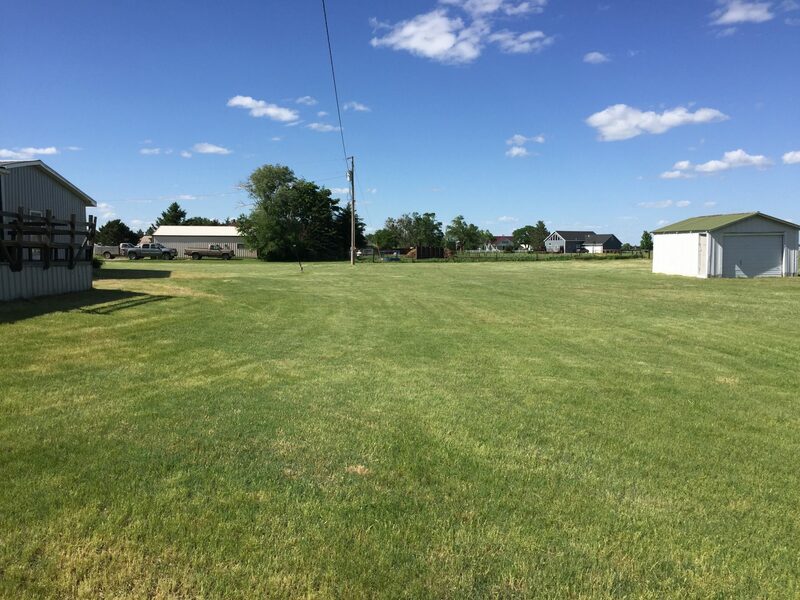 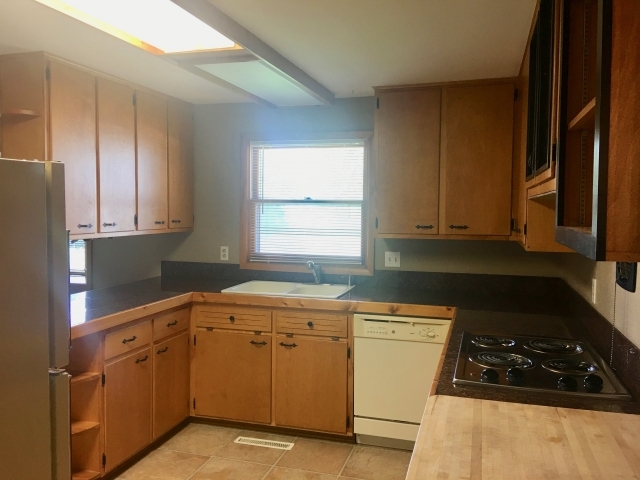 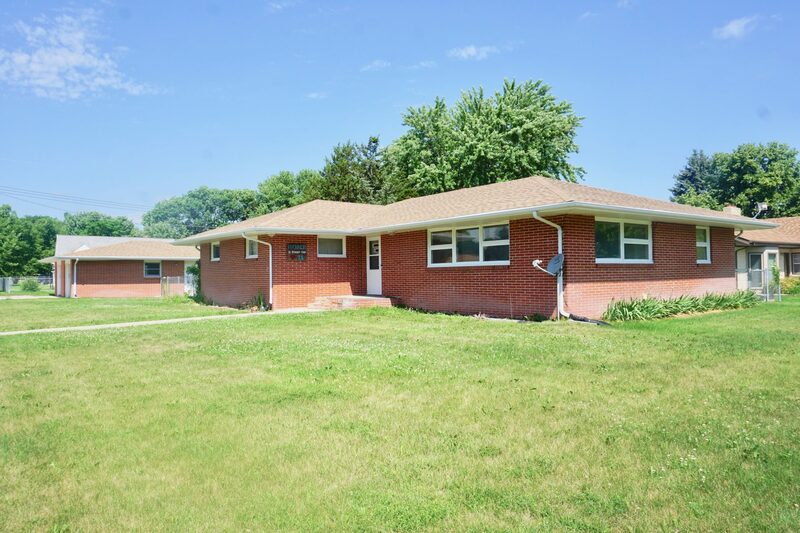 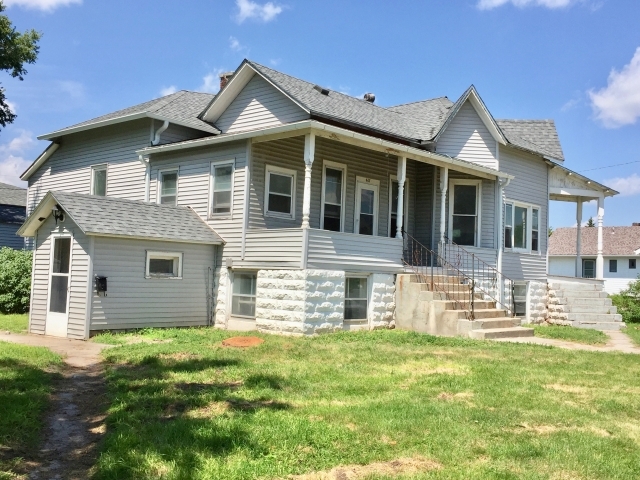 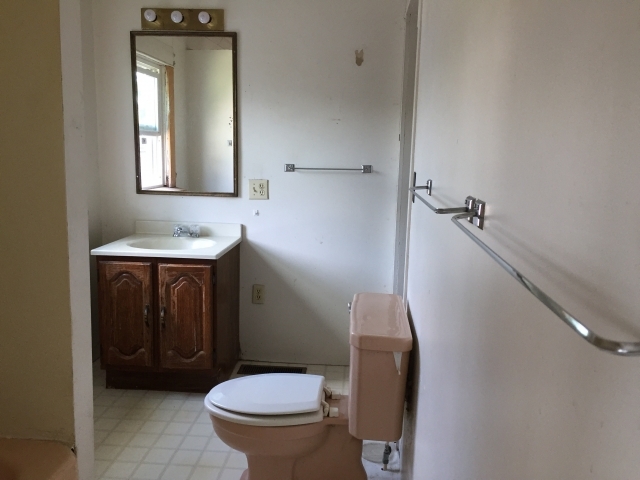 The property is ideally located on Main Street near many amenities and has established shade trees and a 1-car detached garage. 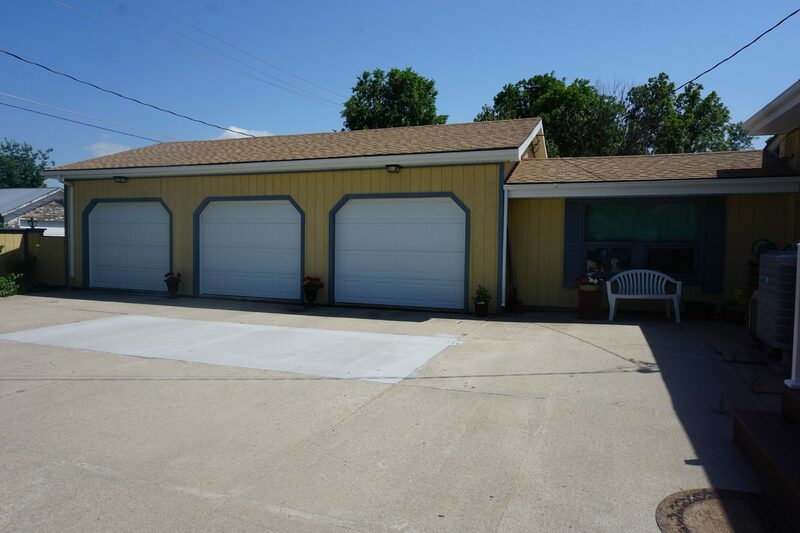 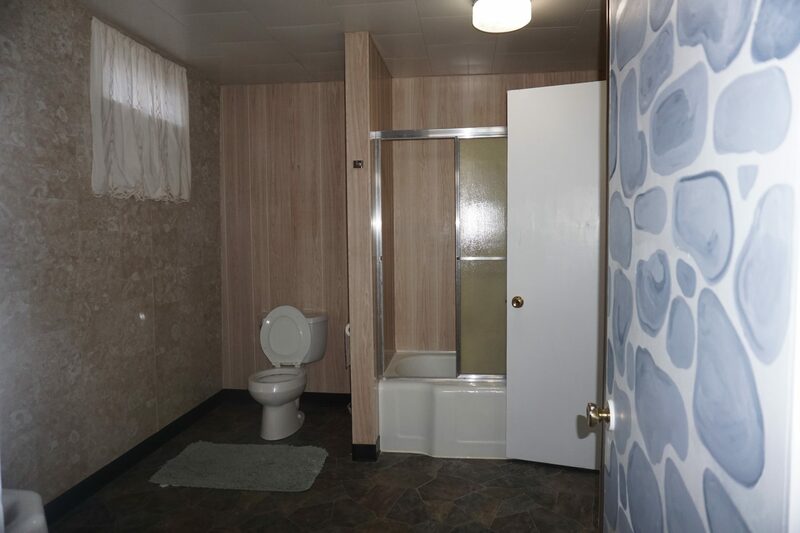 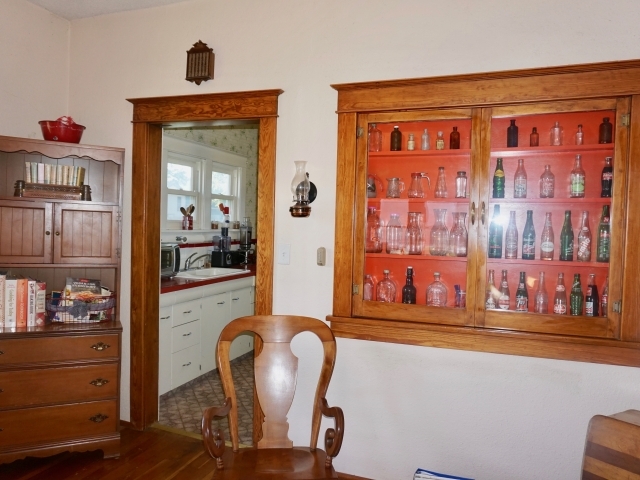 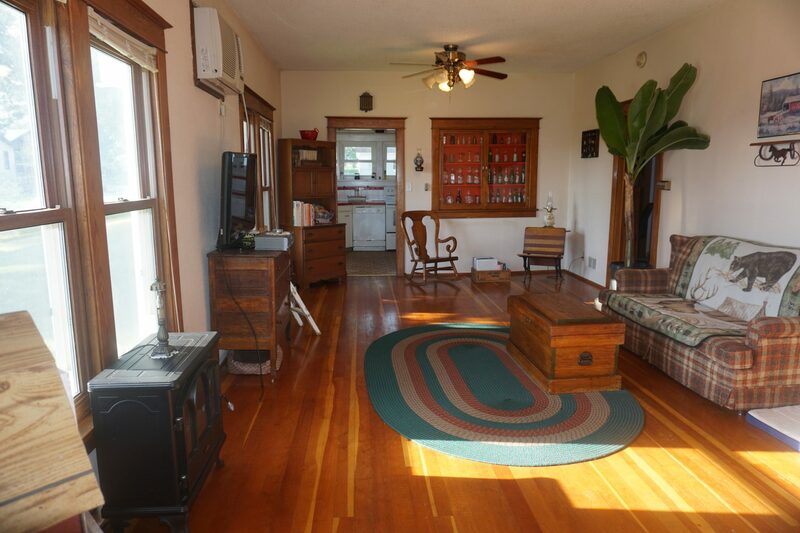 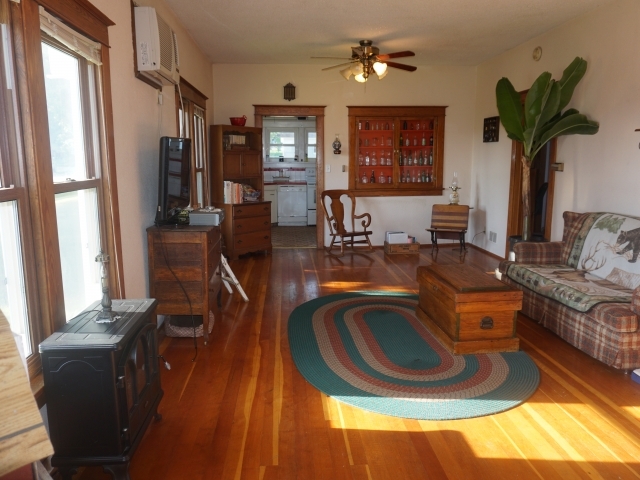 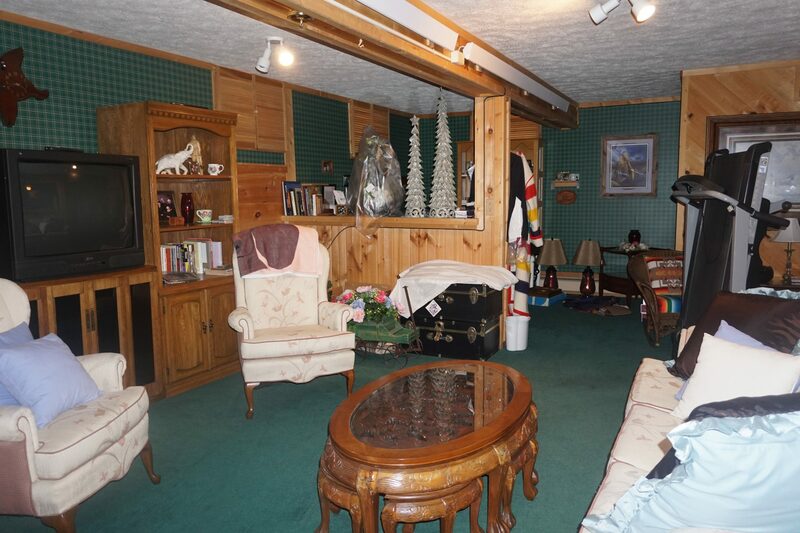 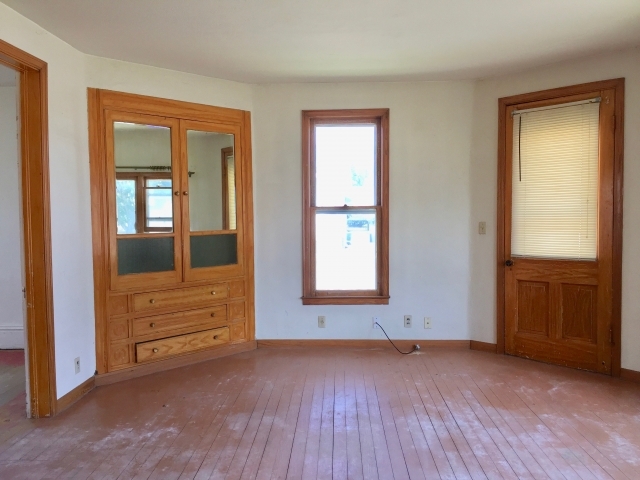 There are unlimited possibilities with vintage characteristics, investment potential, and Main Street location. 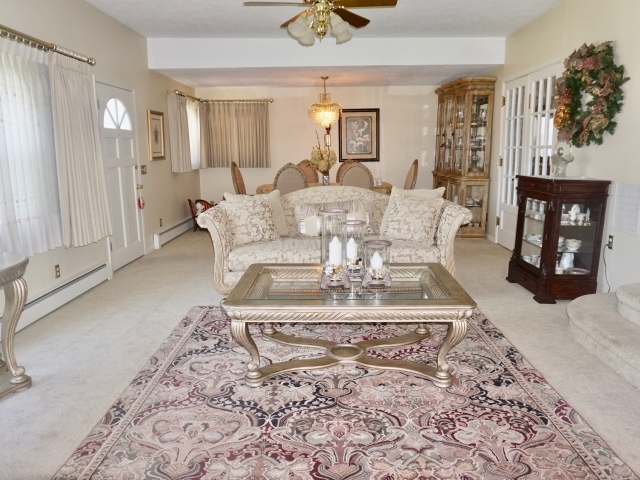 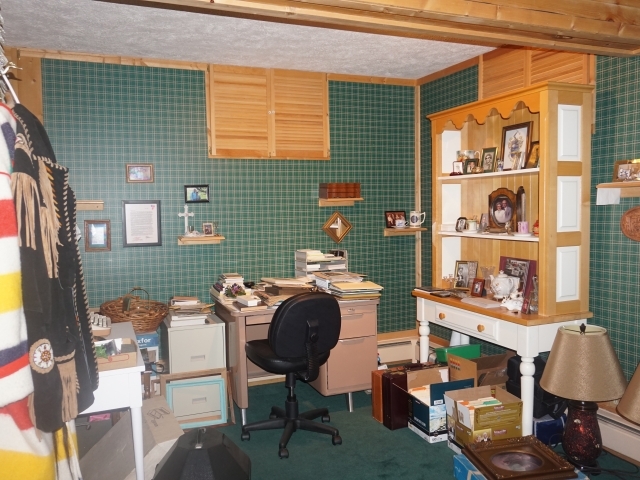 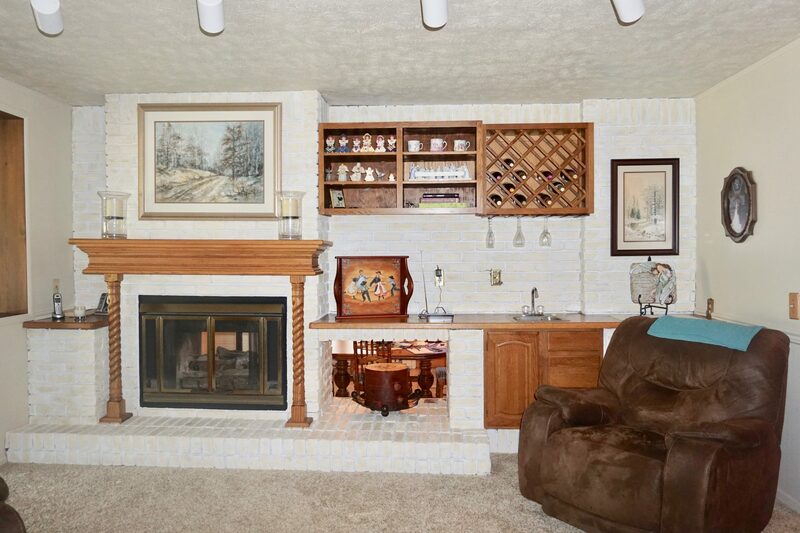 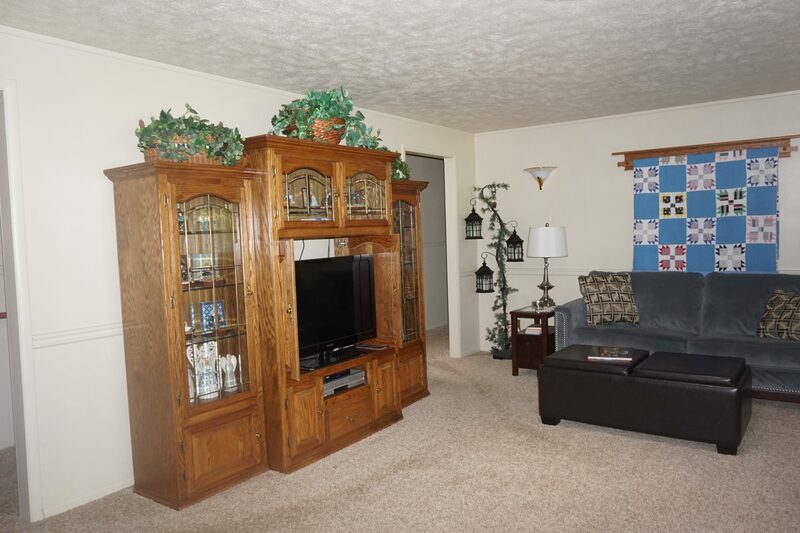 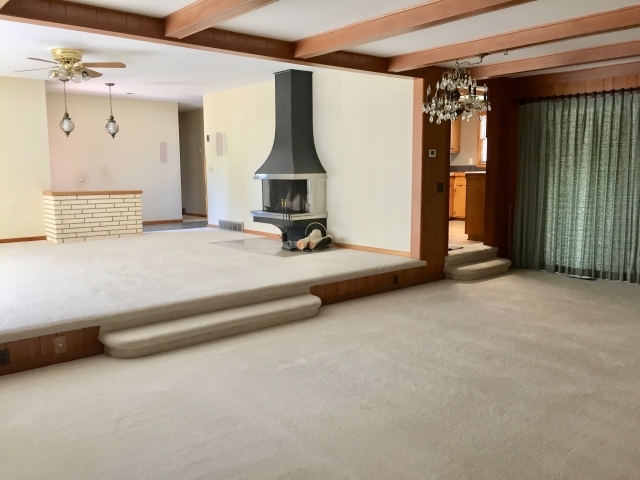 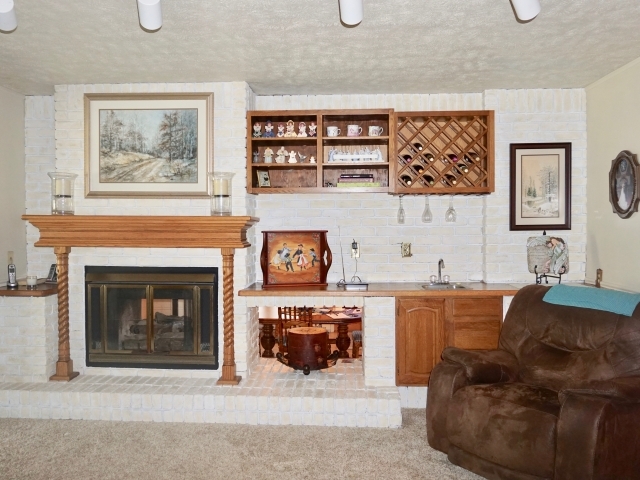 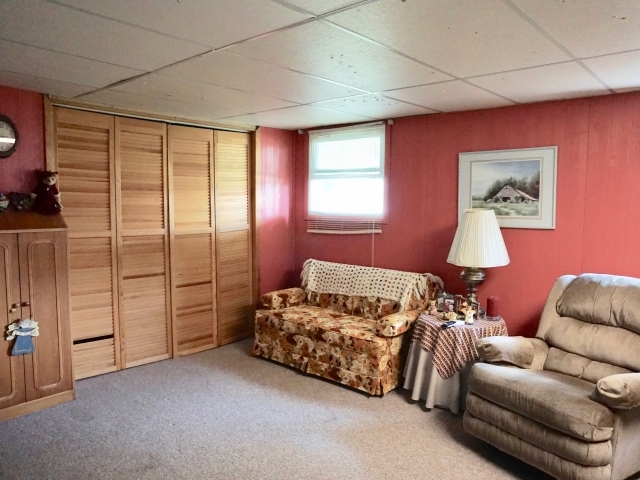 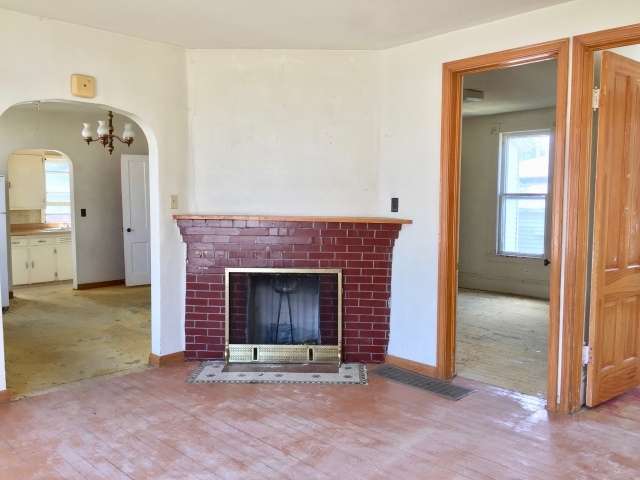 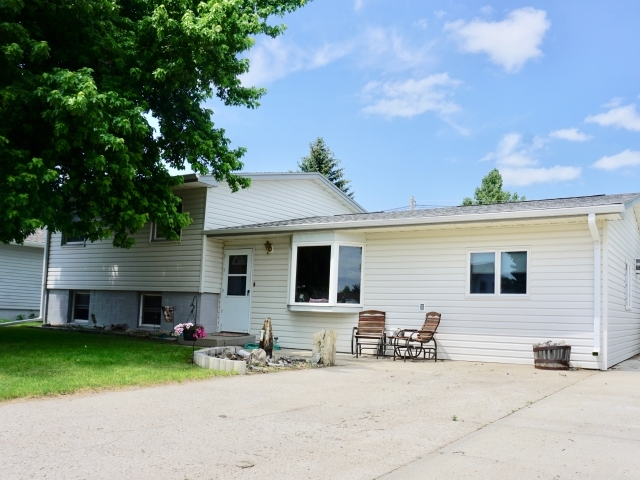 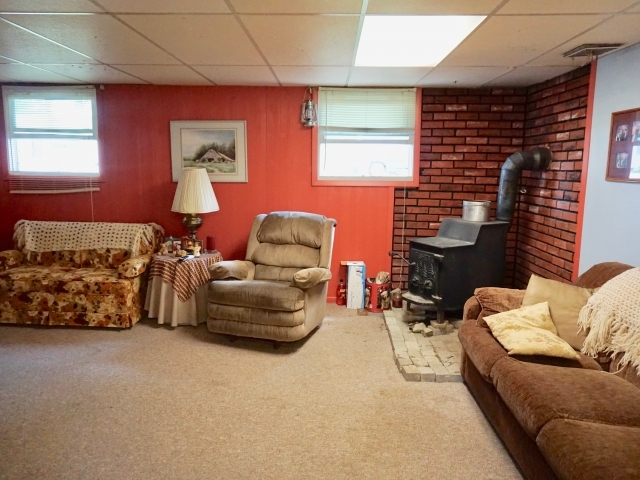 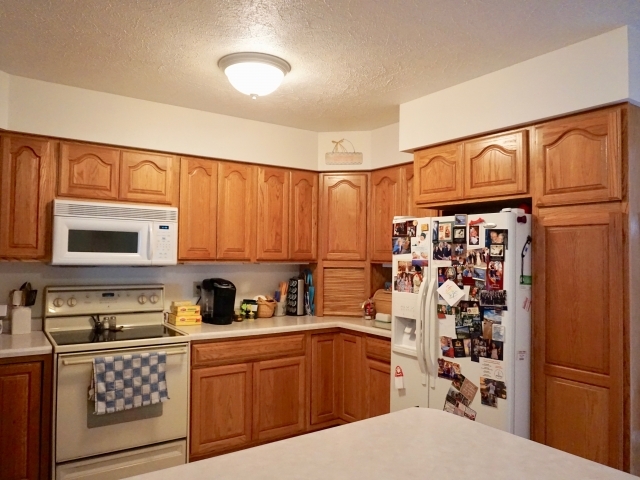 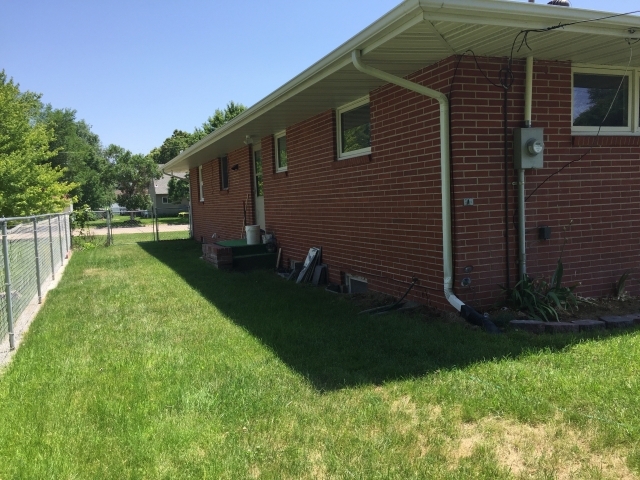 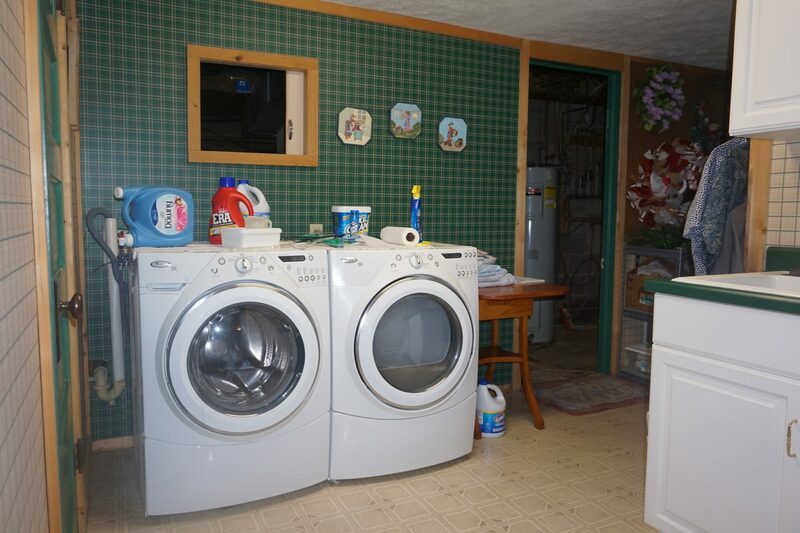 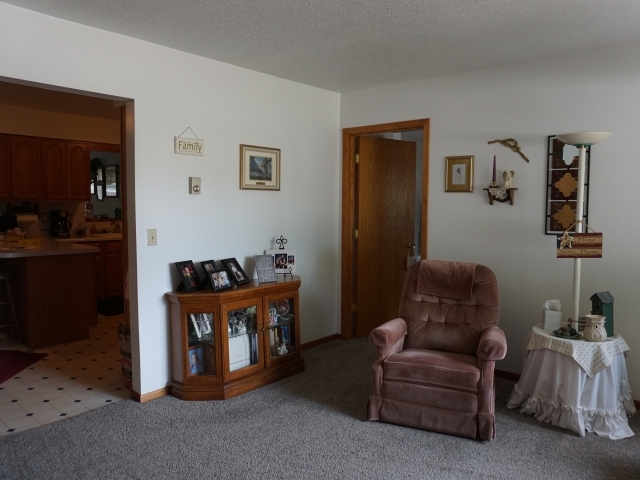 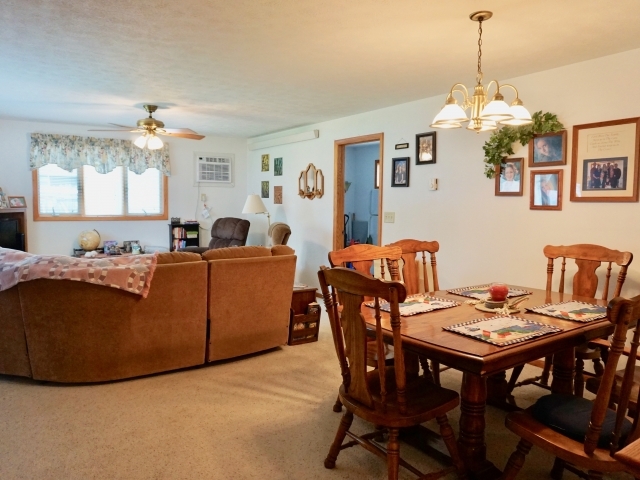 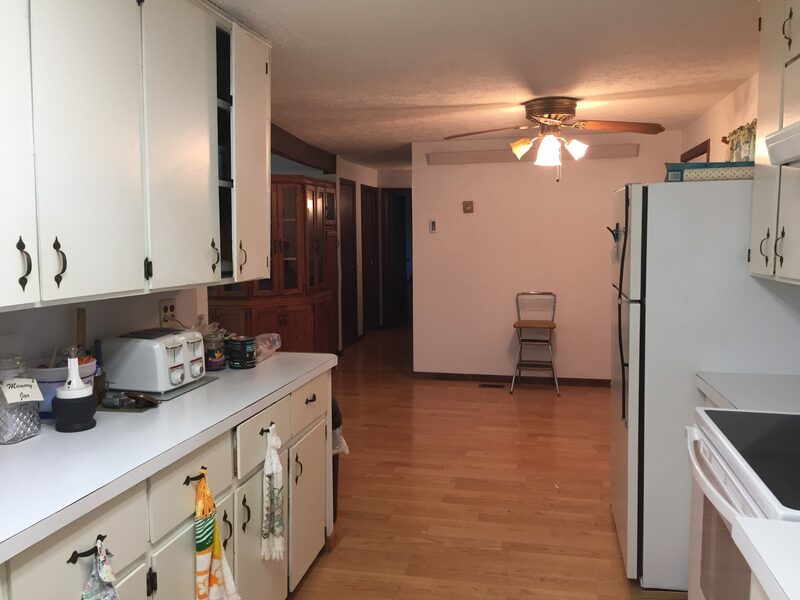 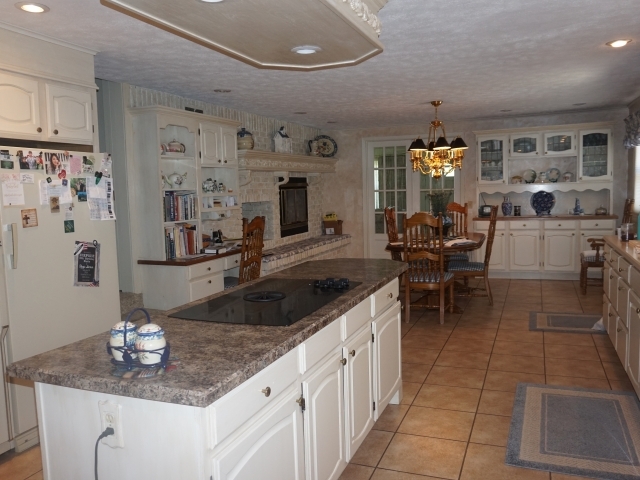 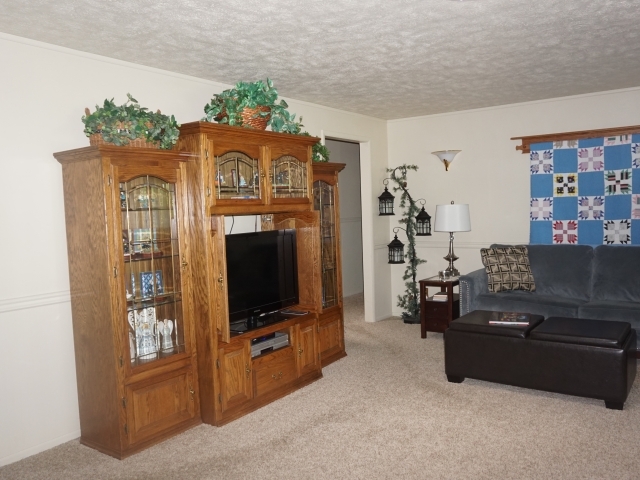 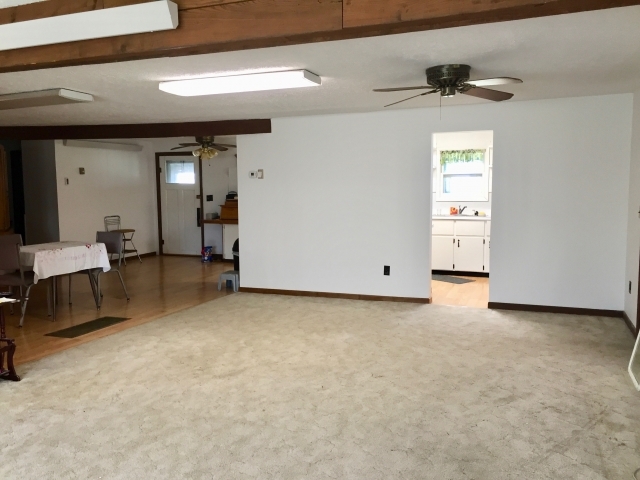 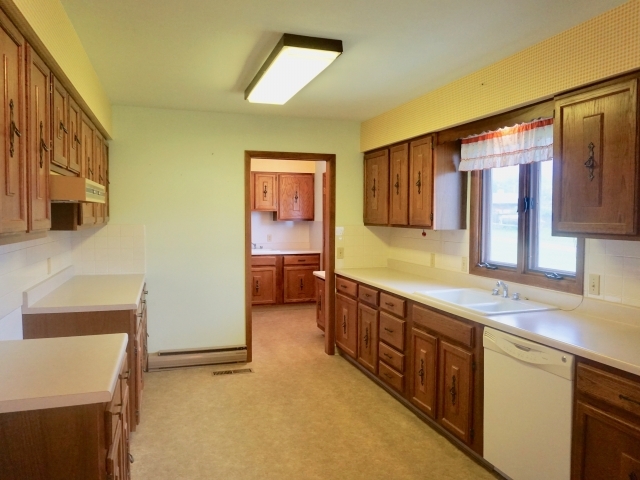 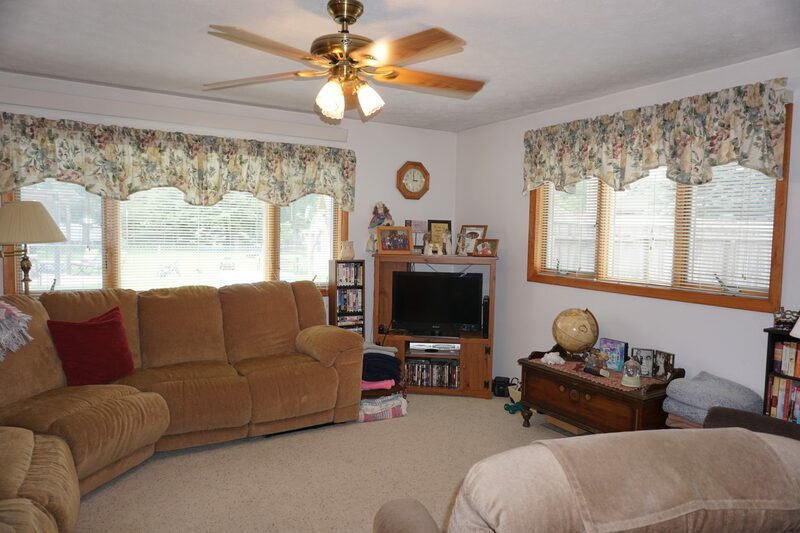 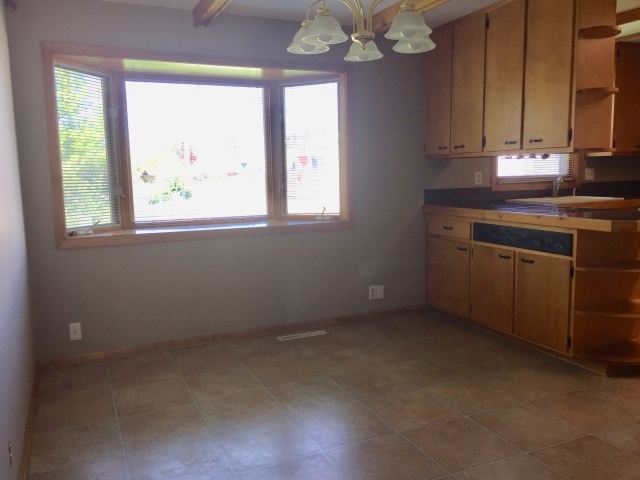 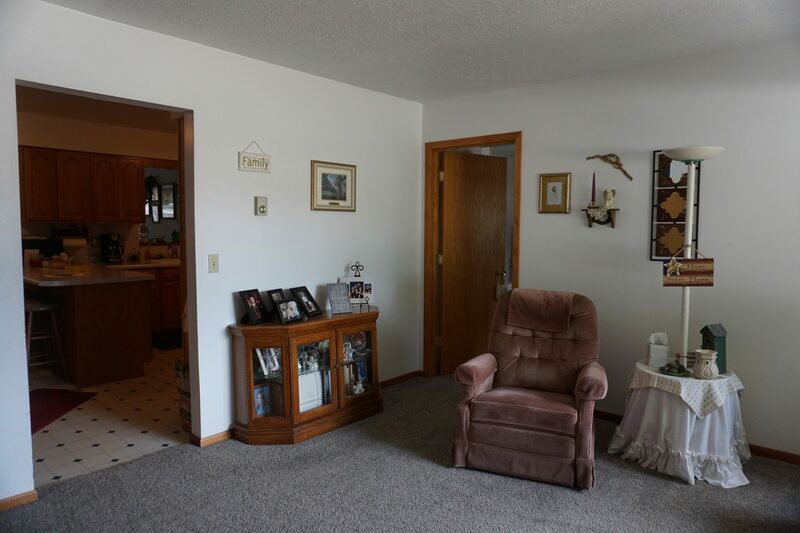 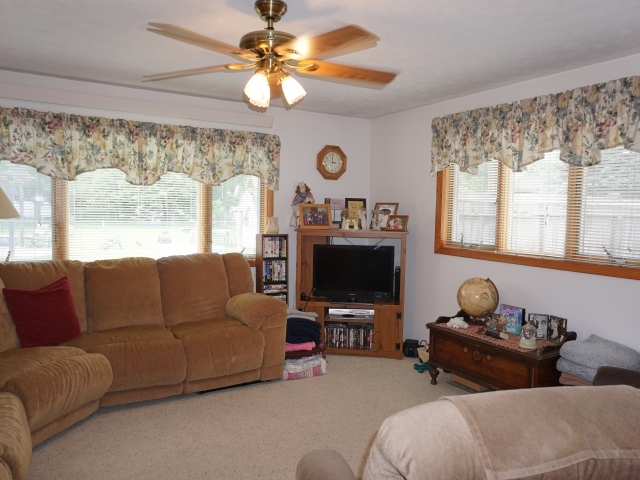 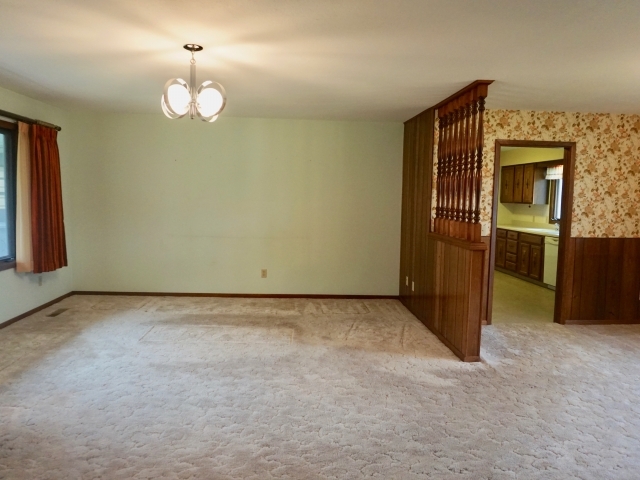 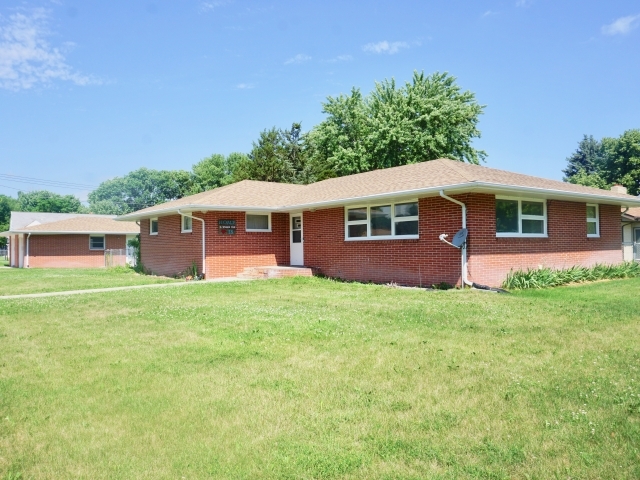 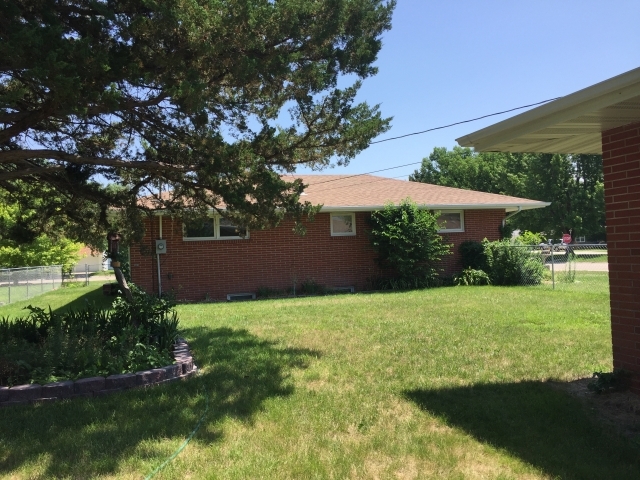 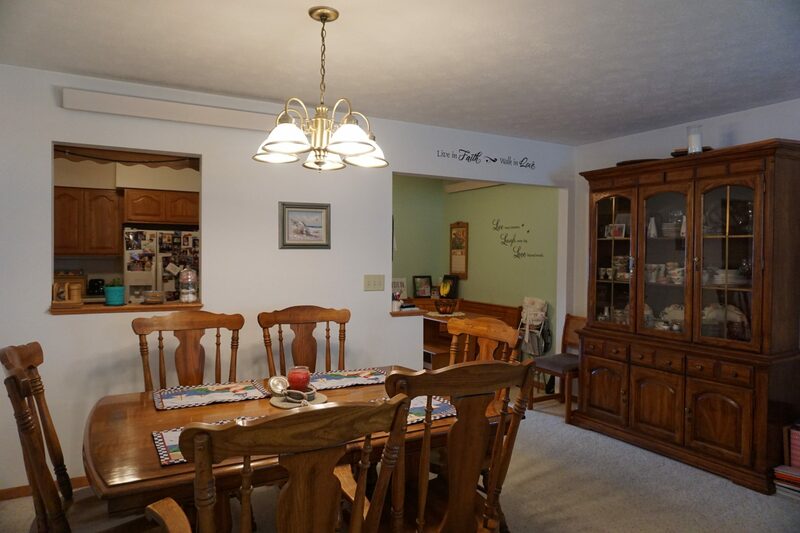 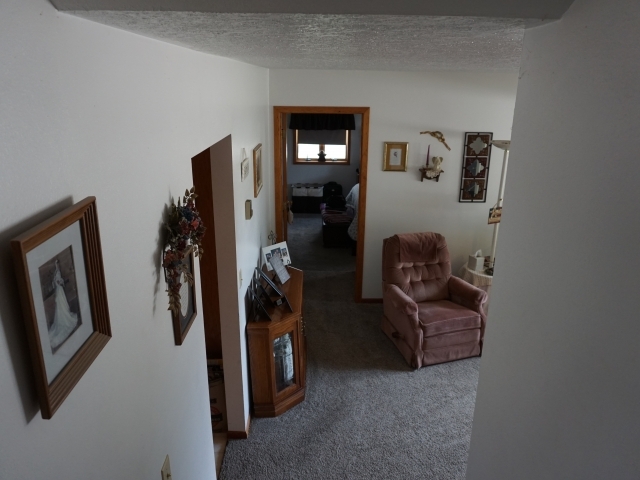 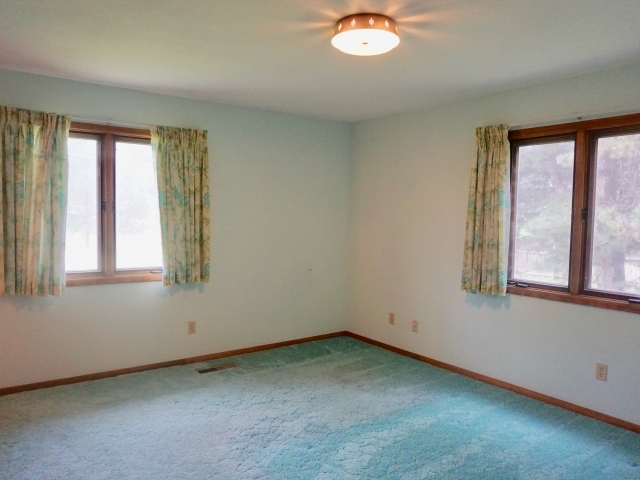 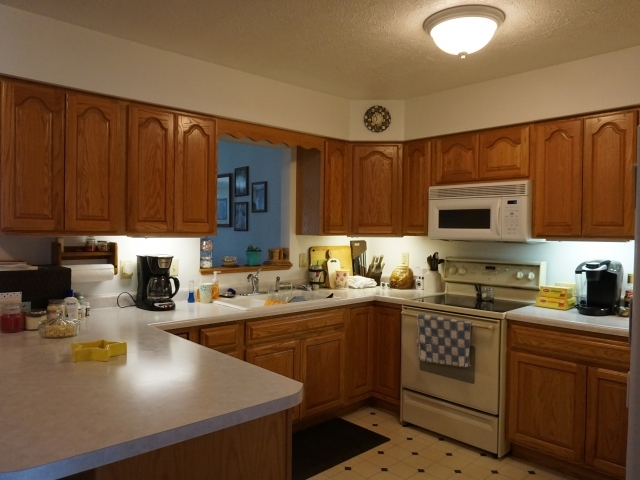 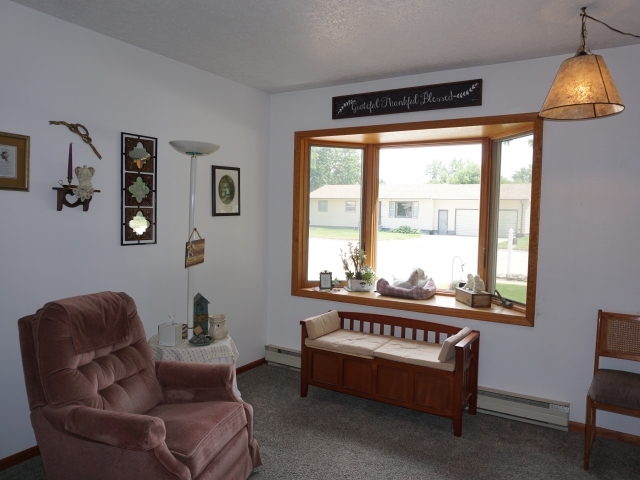 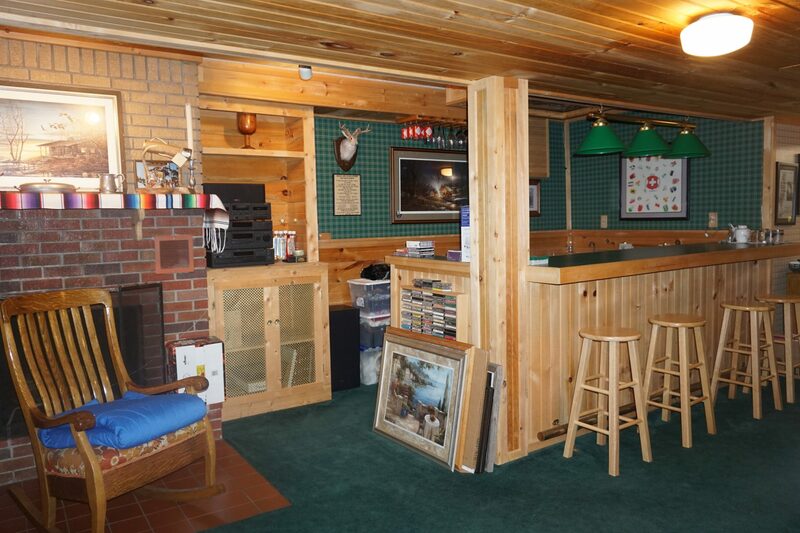 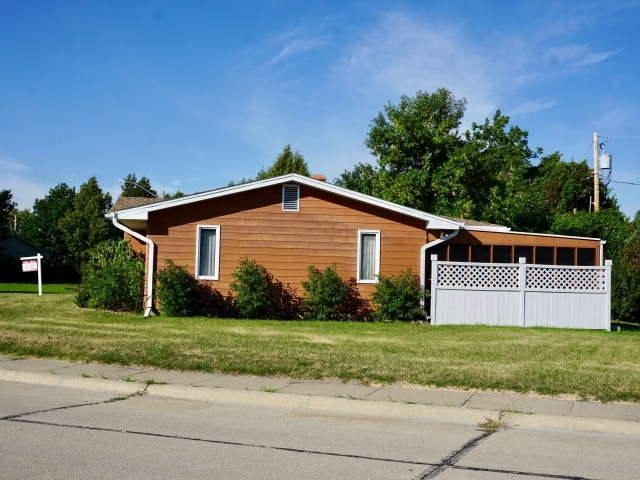 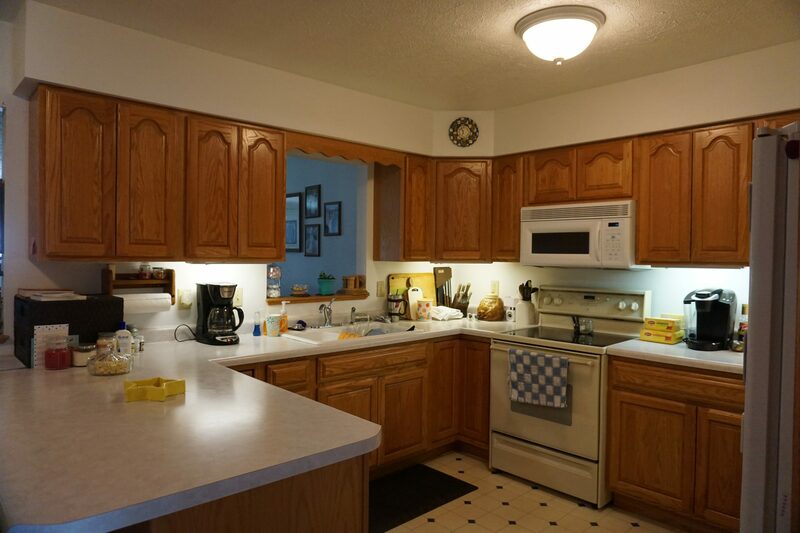 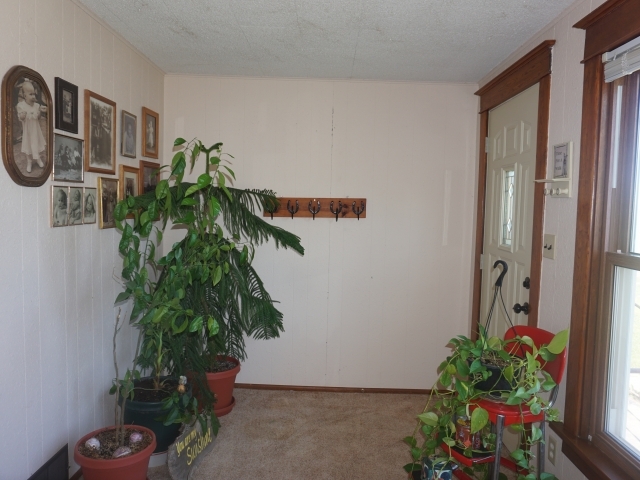 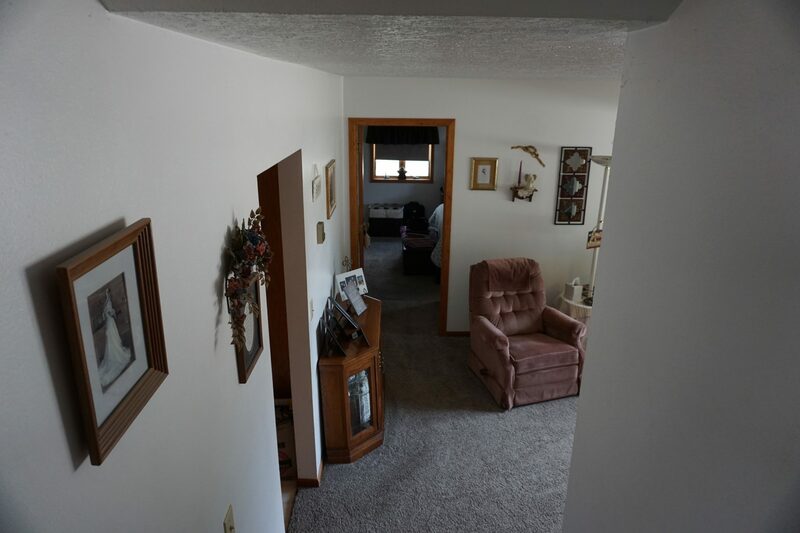 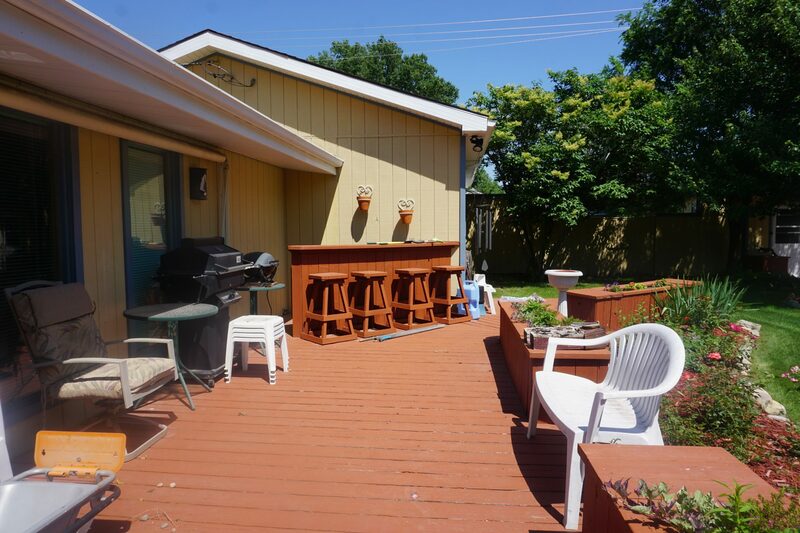 Here is a spacious split-level with many updates in a great neighborhood! 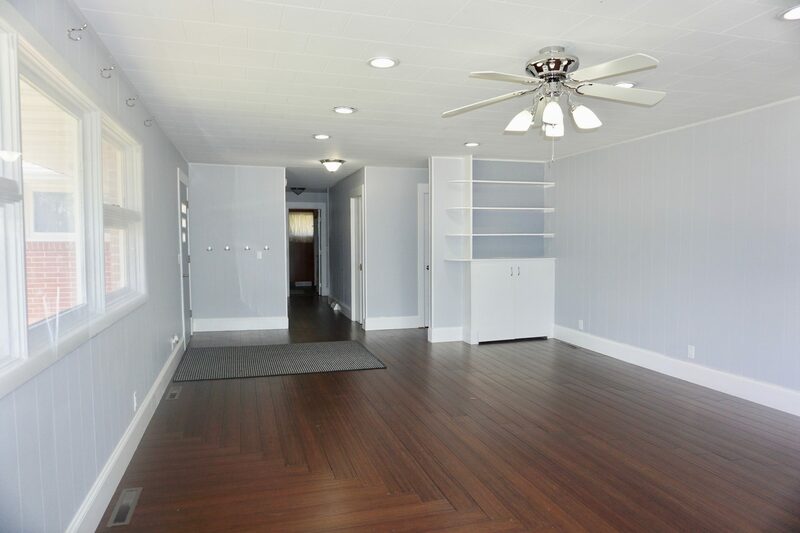 Featuring 2,778sqft and 4 levels there is plenty of room to live comfortably. 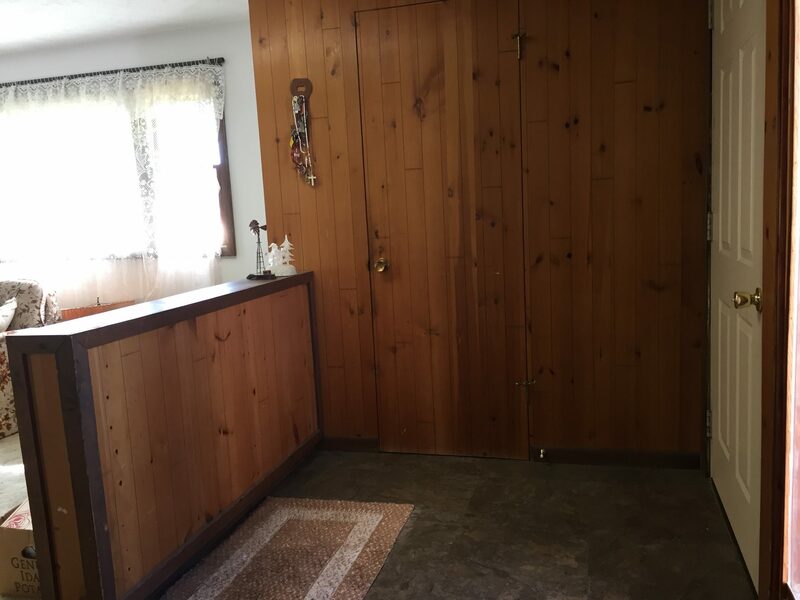 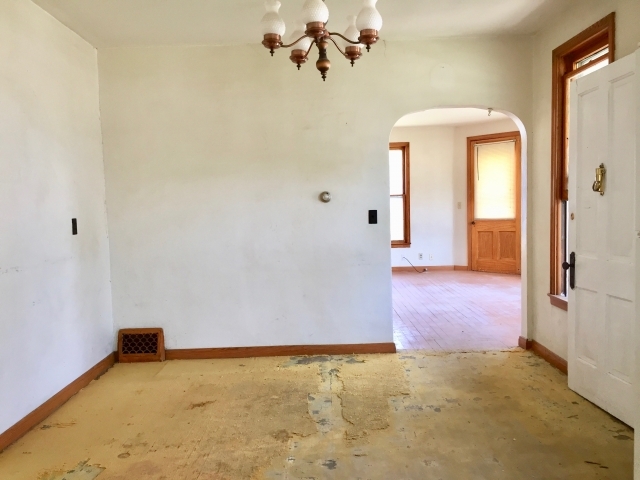 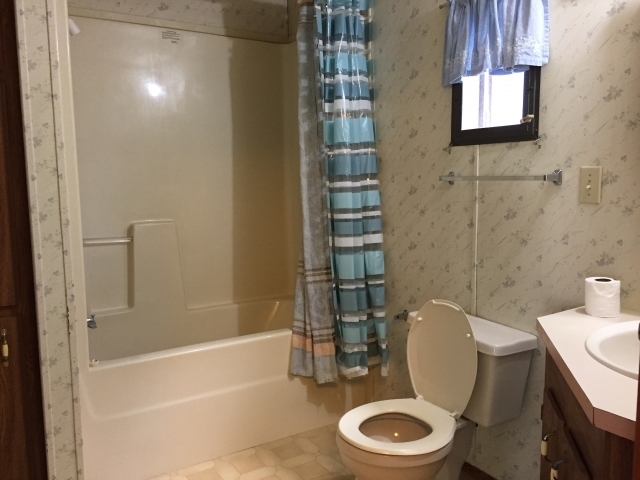 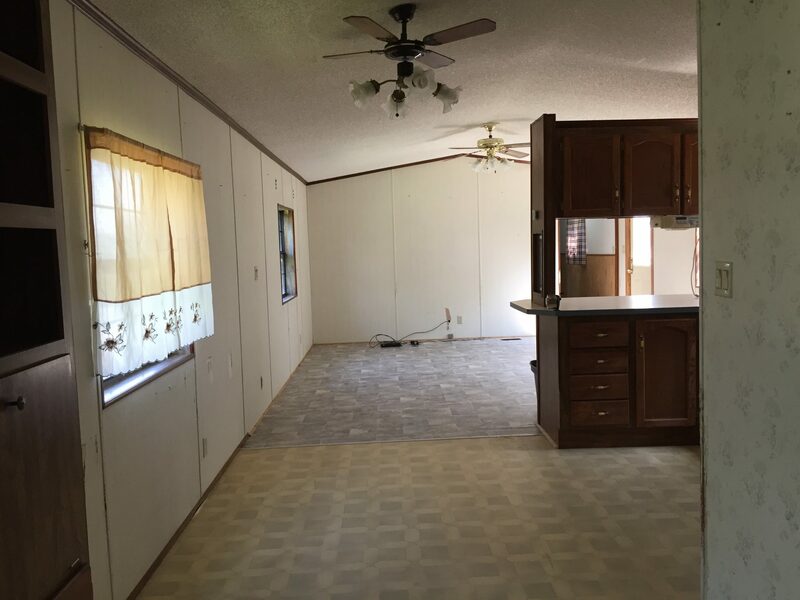 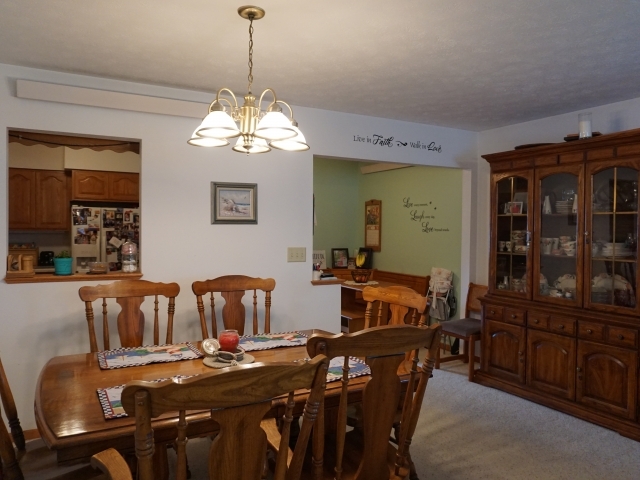 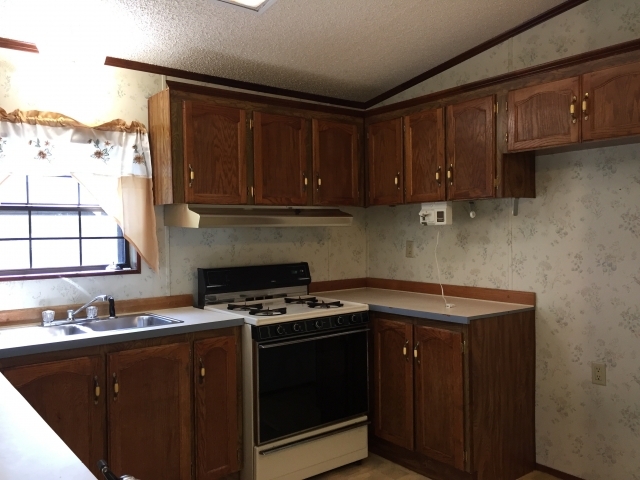 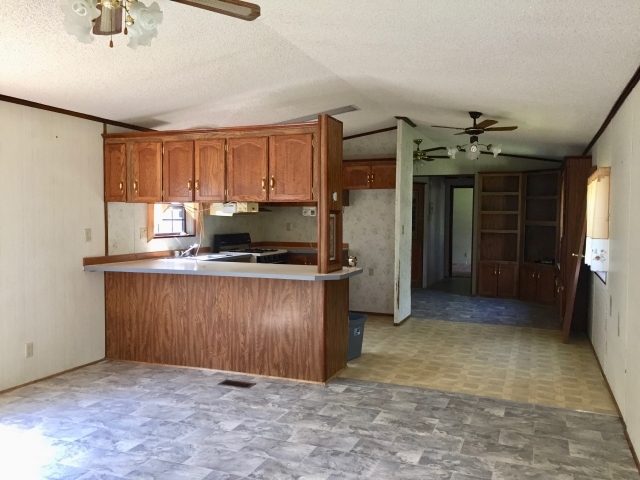 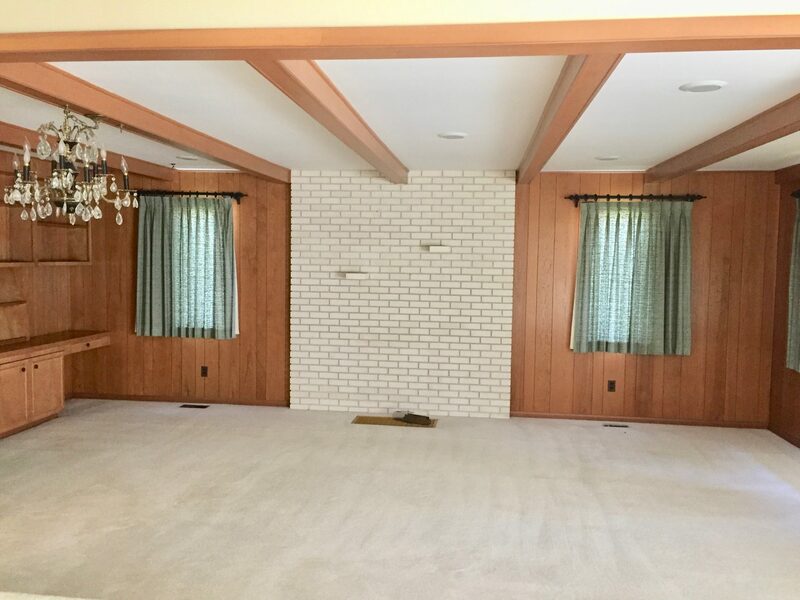 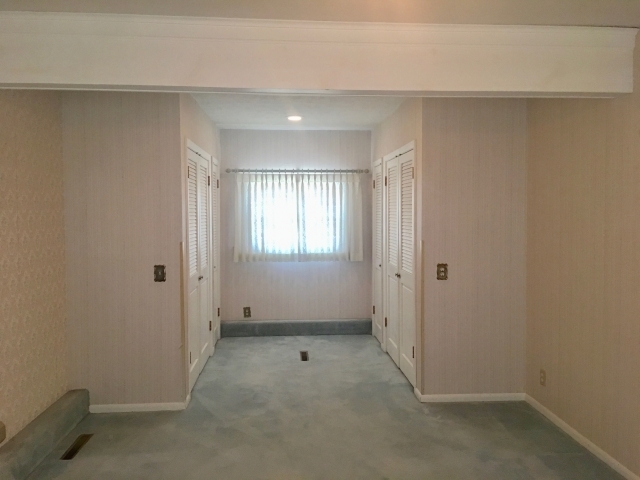 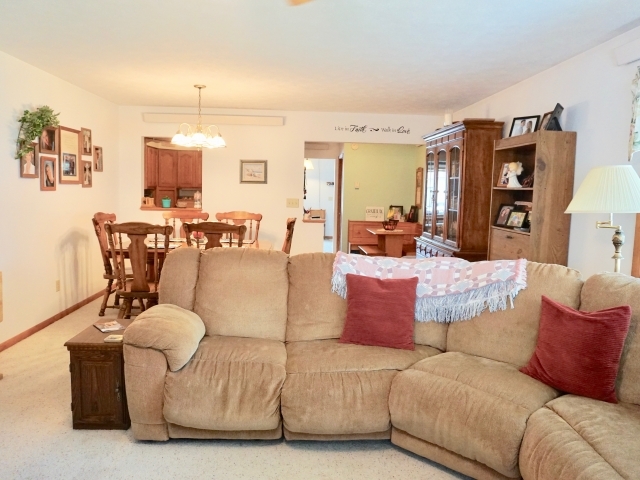 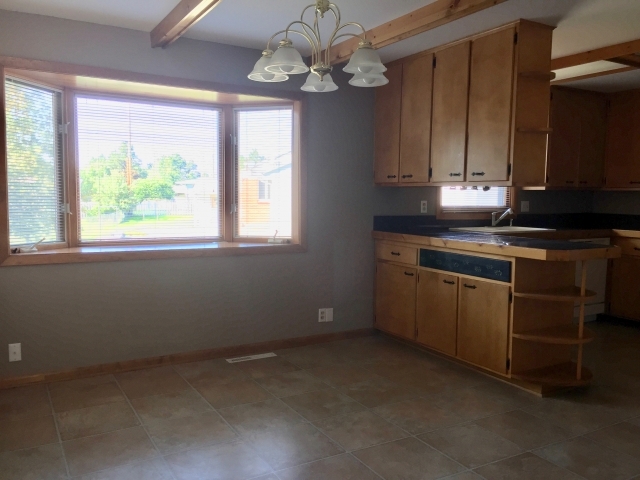 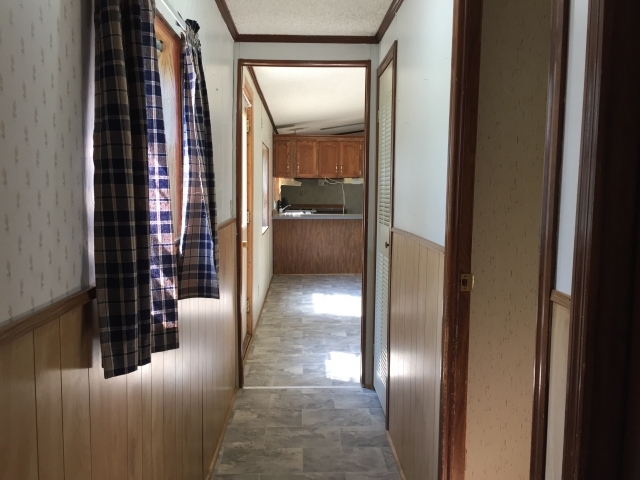 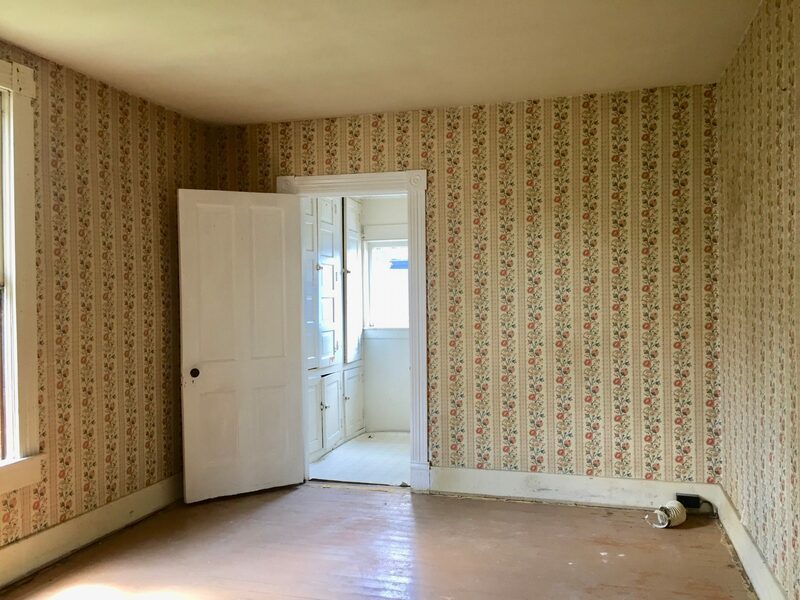 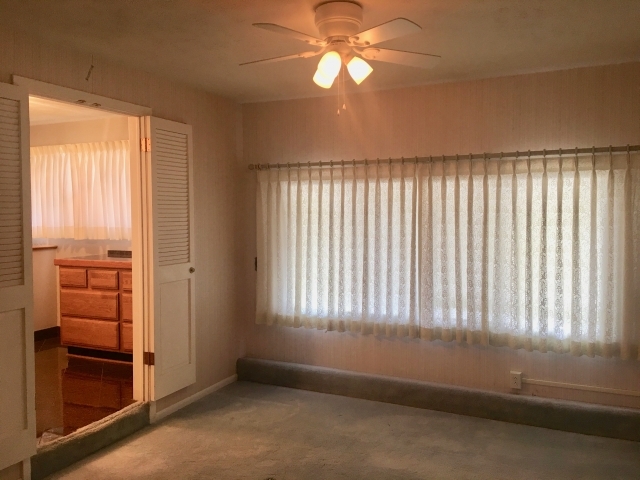 The main level has a sitting room, remodeled kitchen, large living/dining area, master bedroom, bathing room with adjoining 1/2 bath, and laundry/mud room. 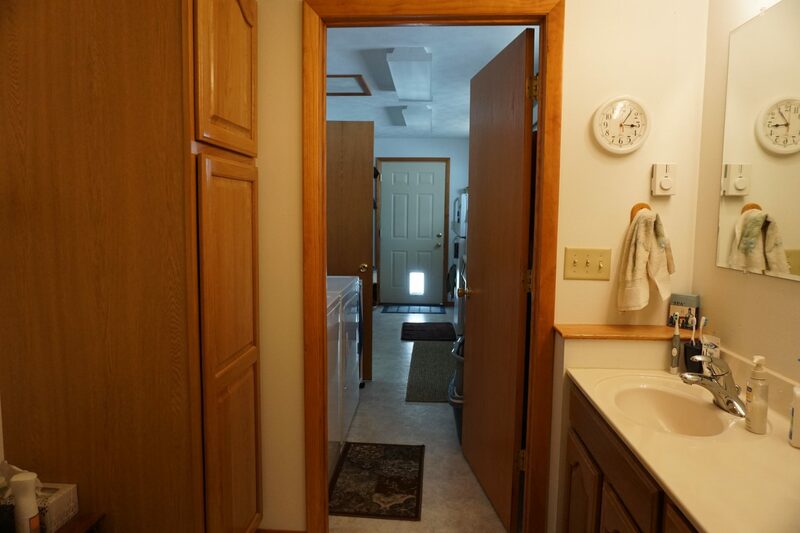 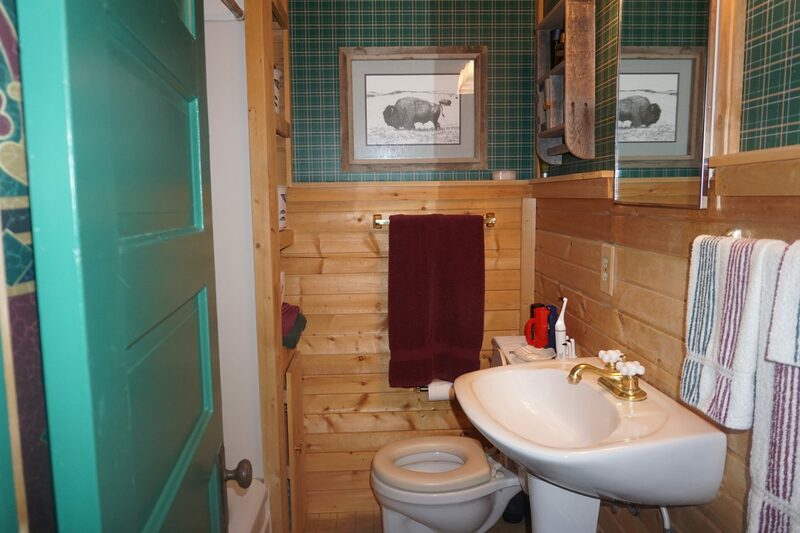 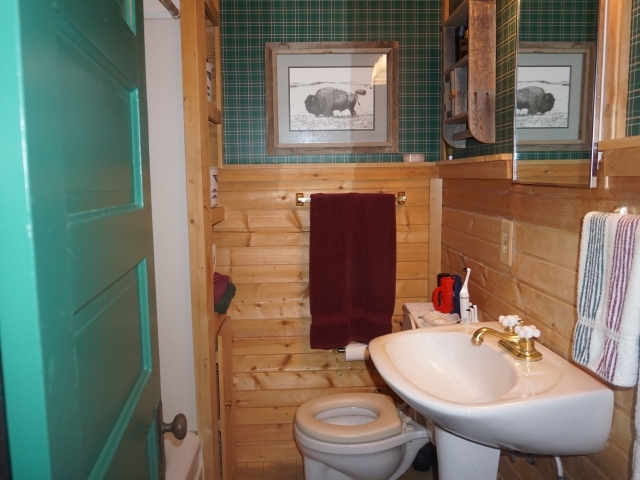 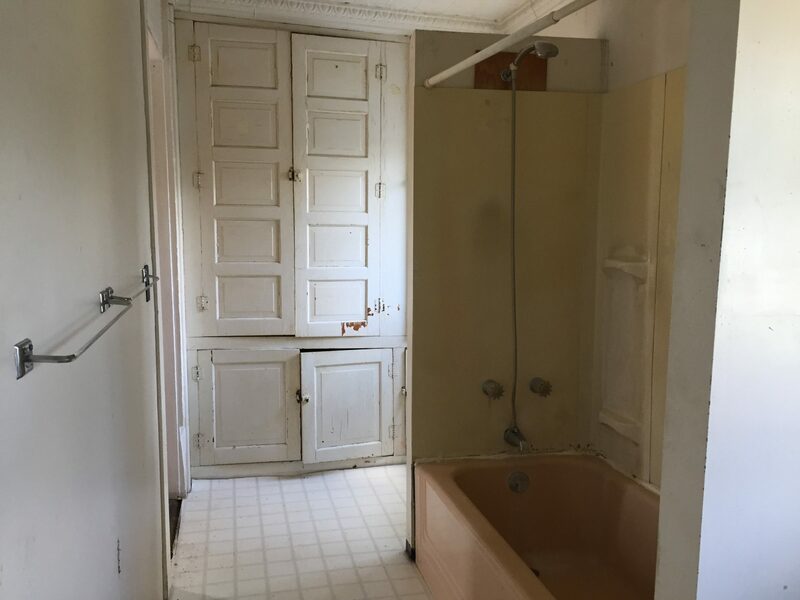 There are 3 bedrooms and a full bathroom on the second level. 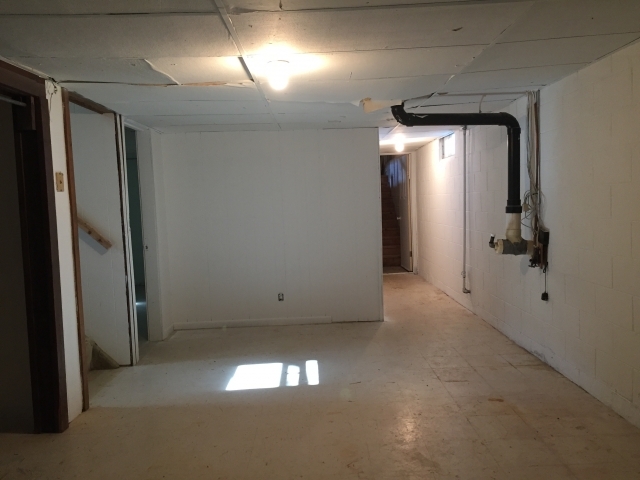 The basement includes a large living area with wood stove, non -conforming bedroom, 3/4 bathroom, and store room with outside entrance. 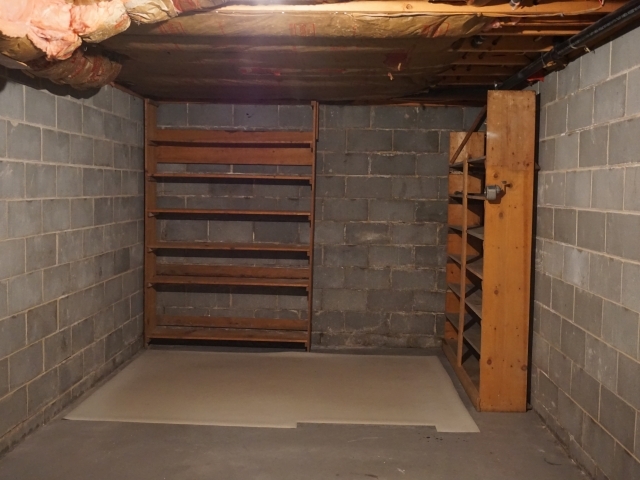 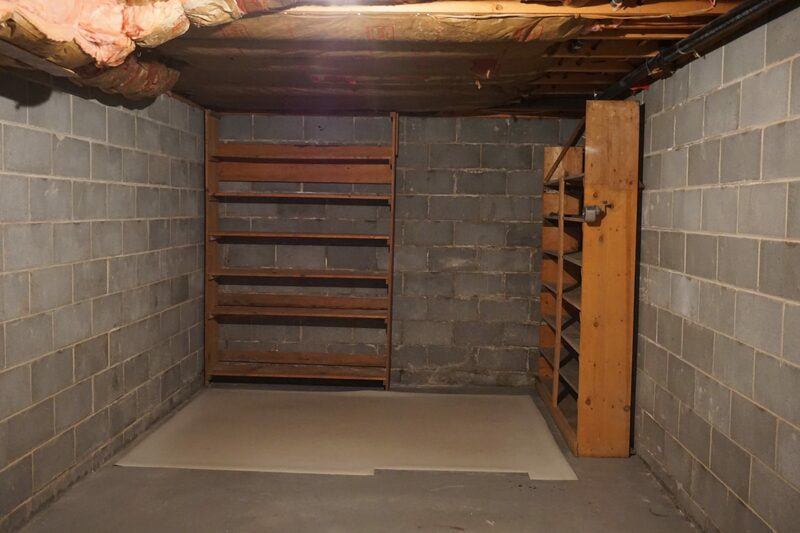 Below the basement there are two large storage areas. 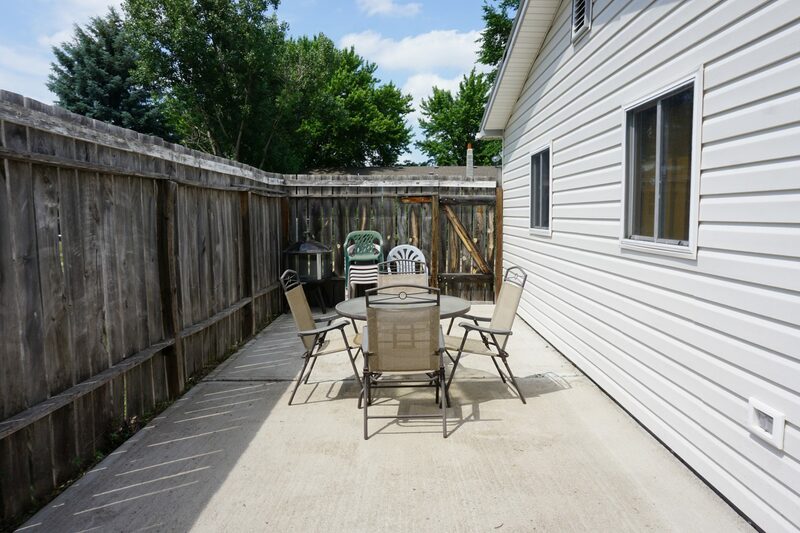 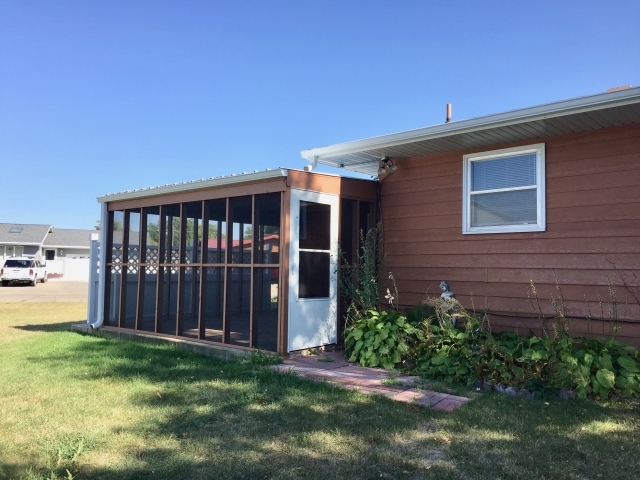 Outdoors enjoy the fenced backyard, private patio area, additional parking for an RV, and 24’x30’ detached garage with front and alley access. 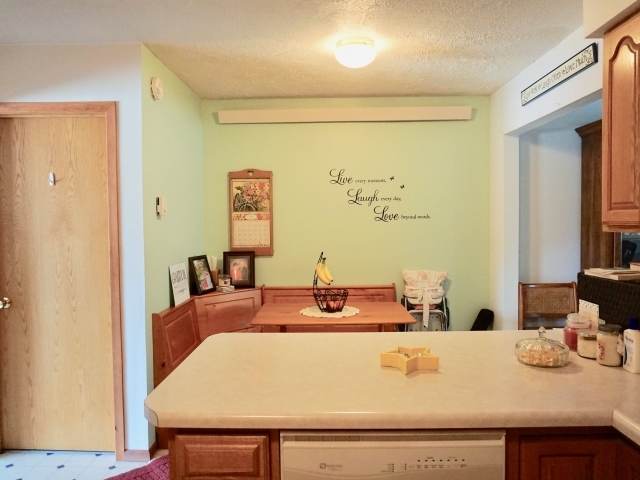 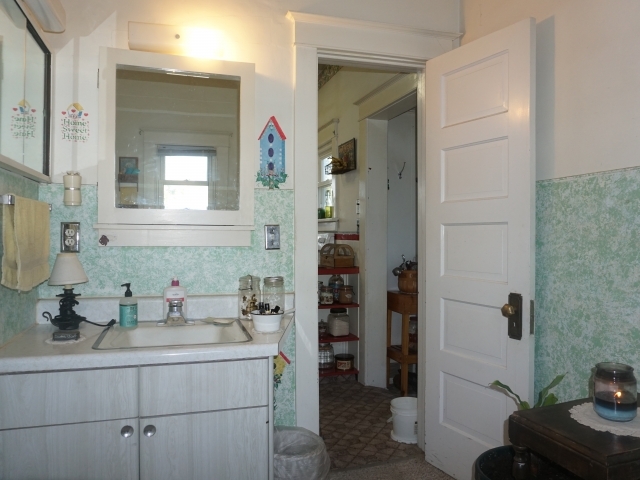 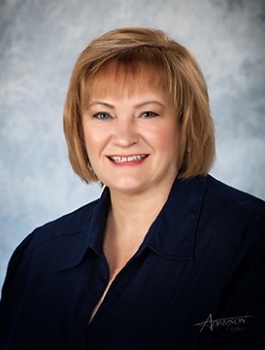 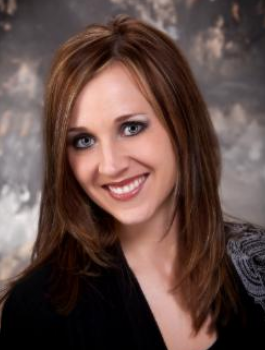 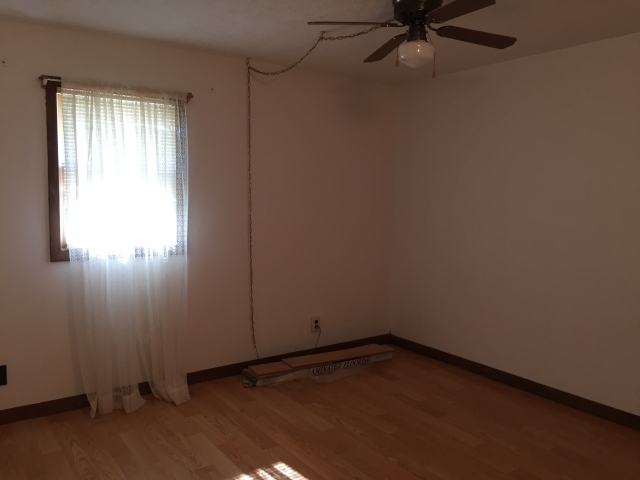 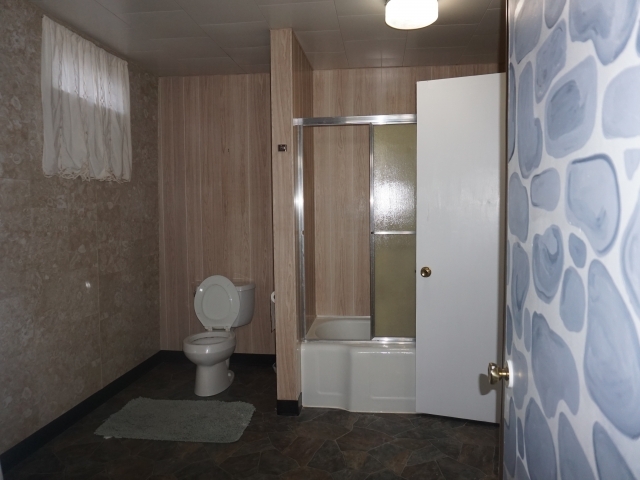 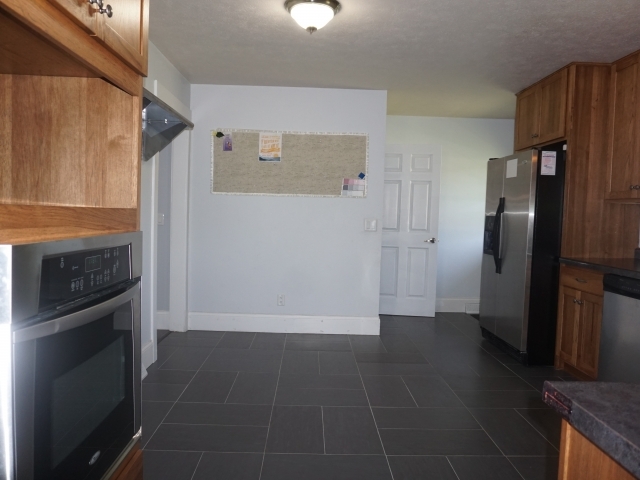 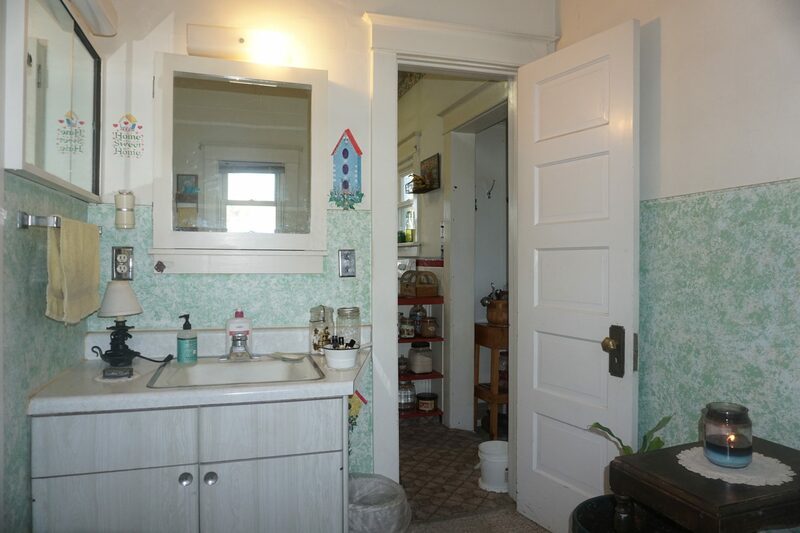 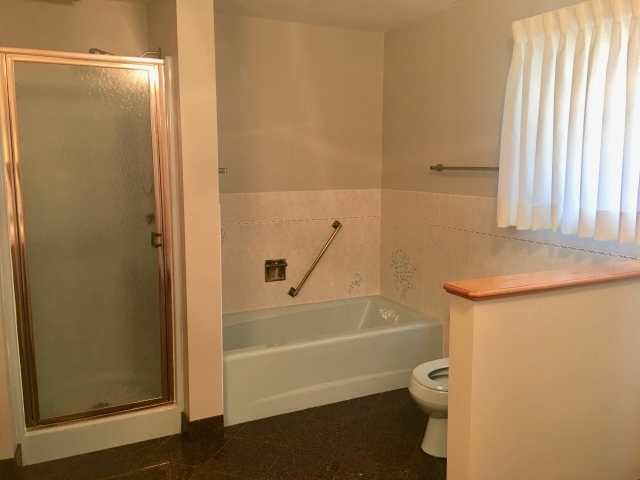 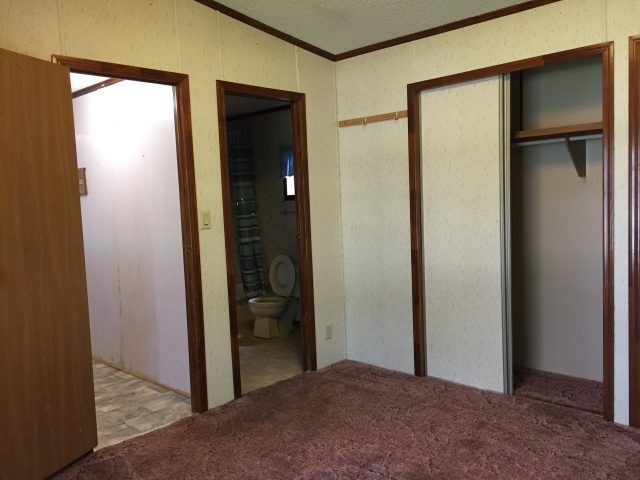 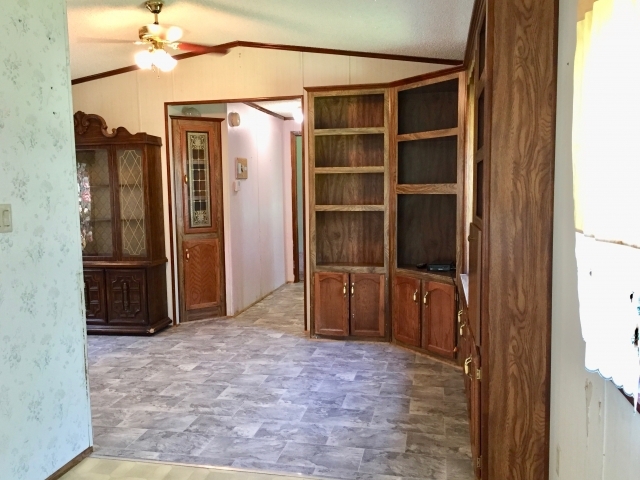 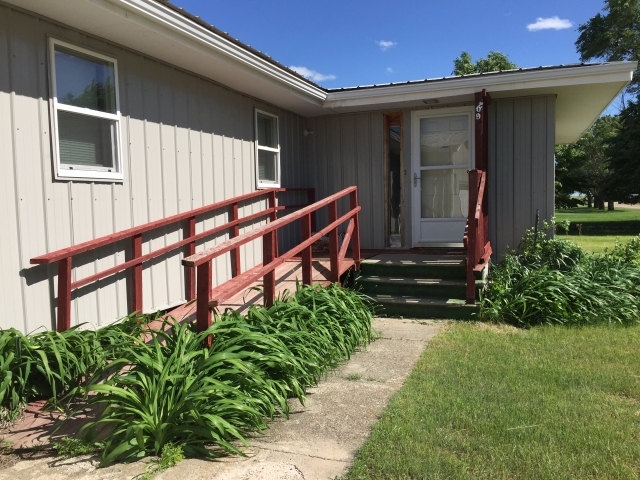 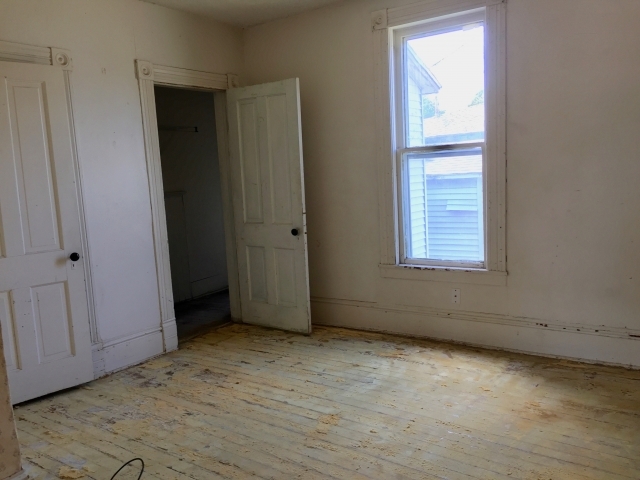 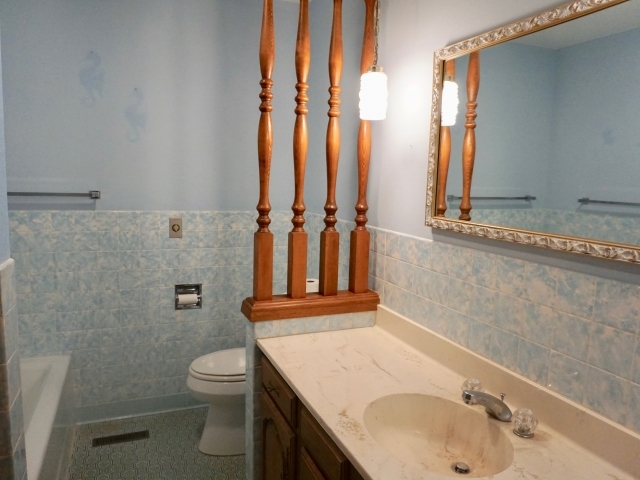 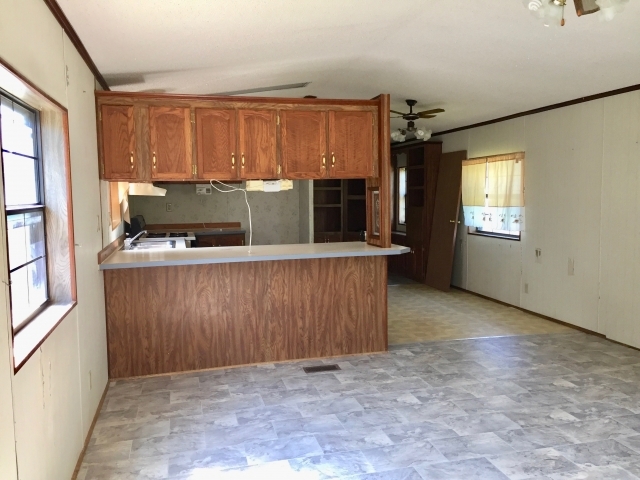 Look no further if you are searching for more room, numerous upgrades, and a nice location! 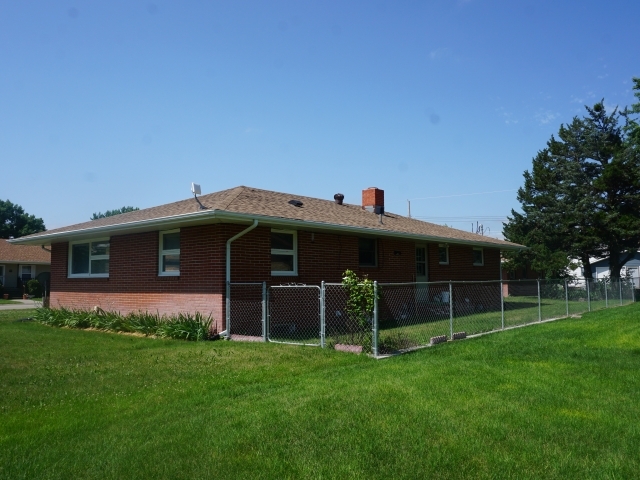 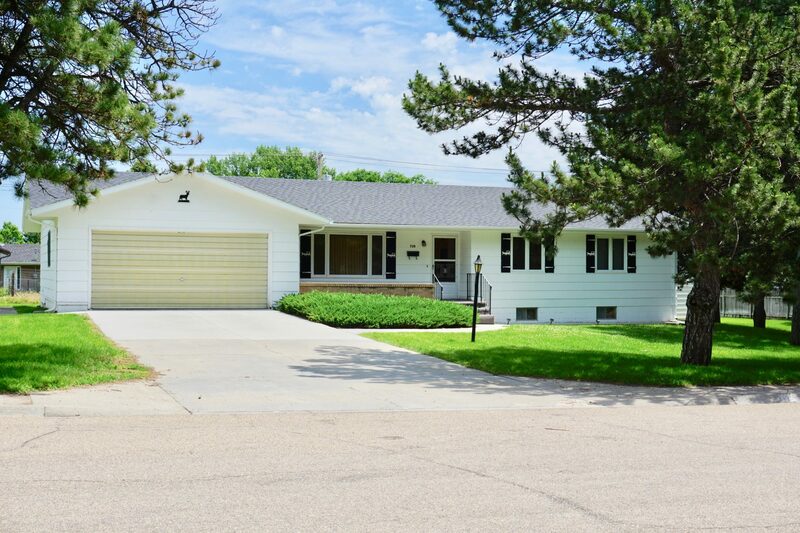 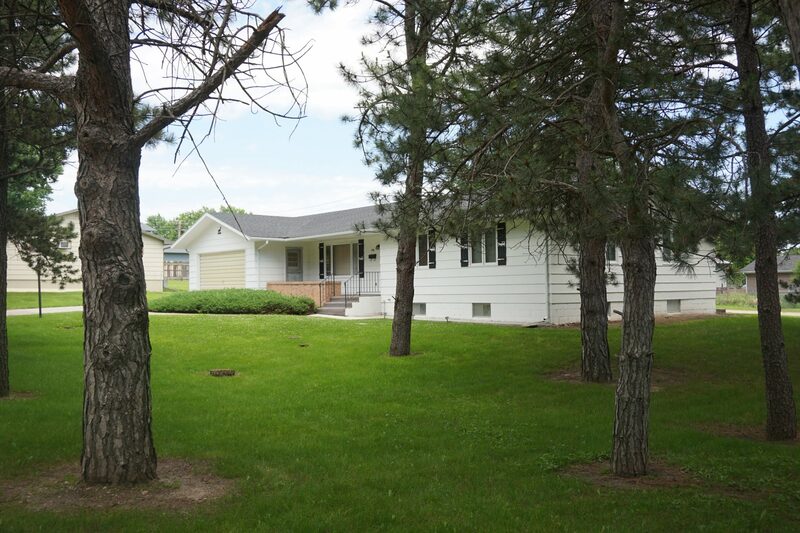 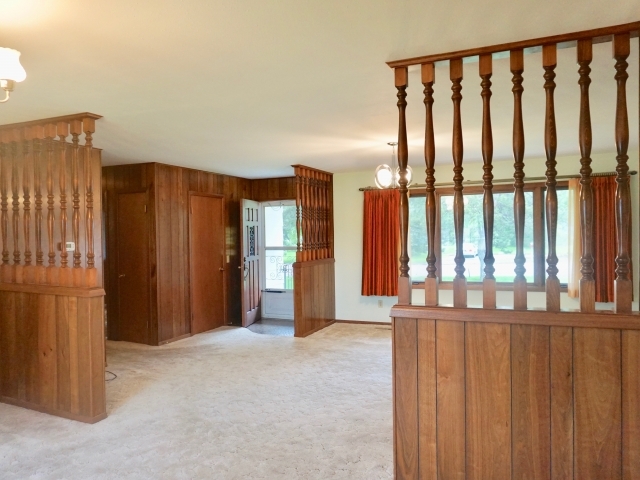 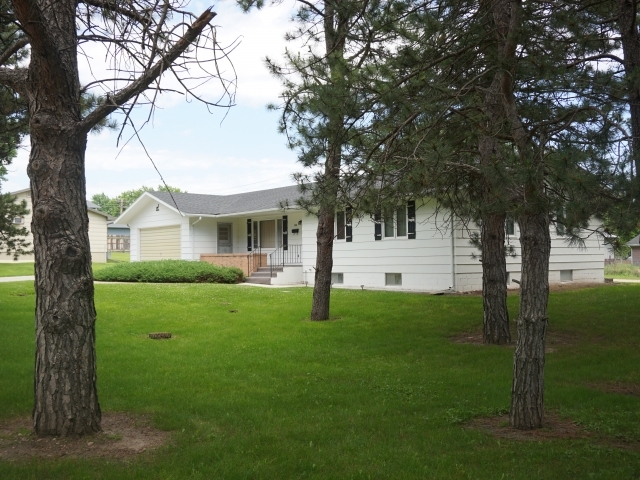 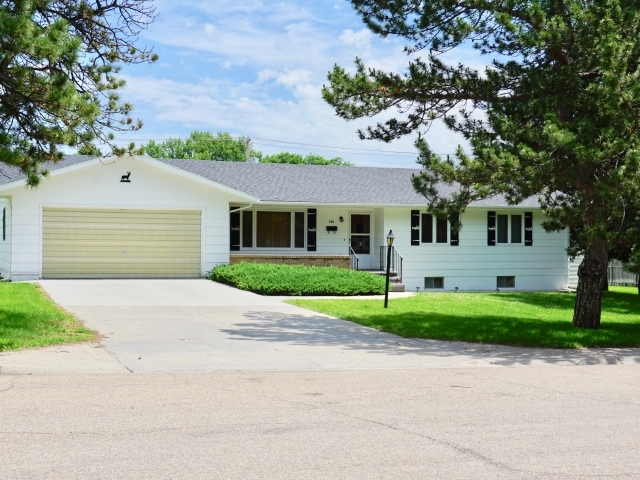 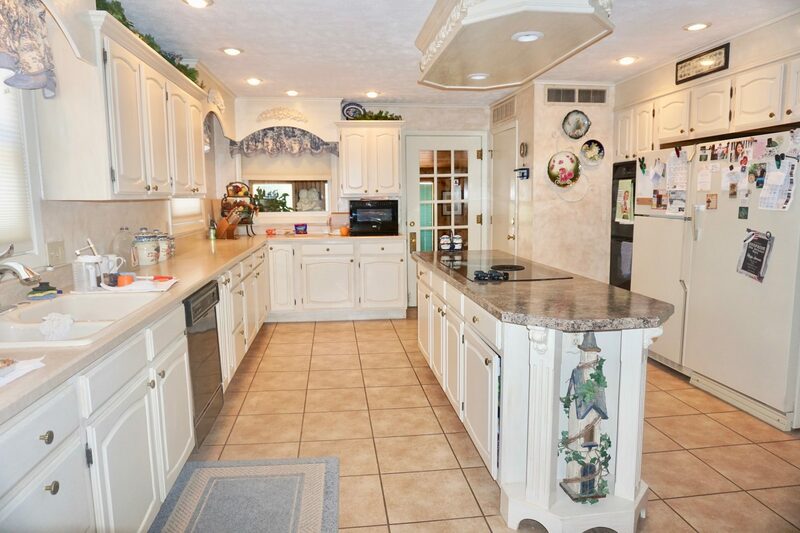 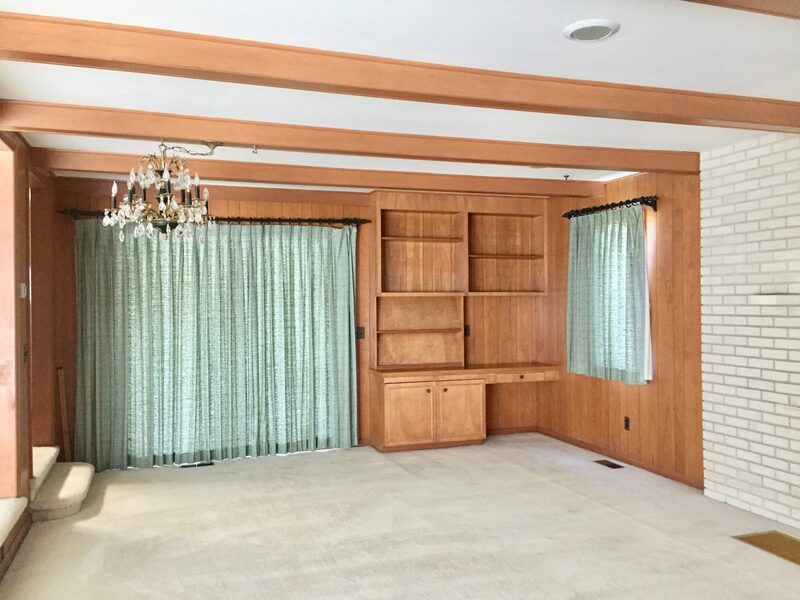 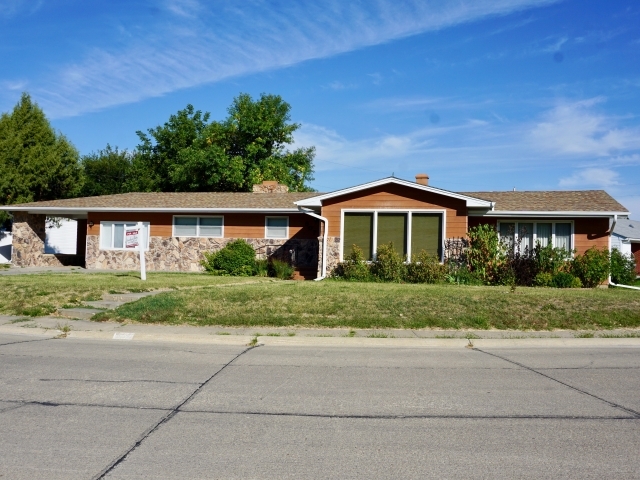 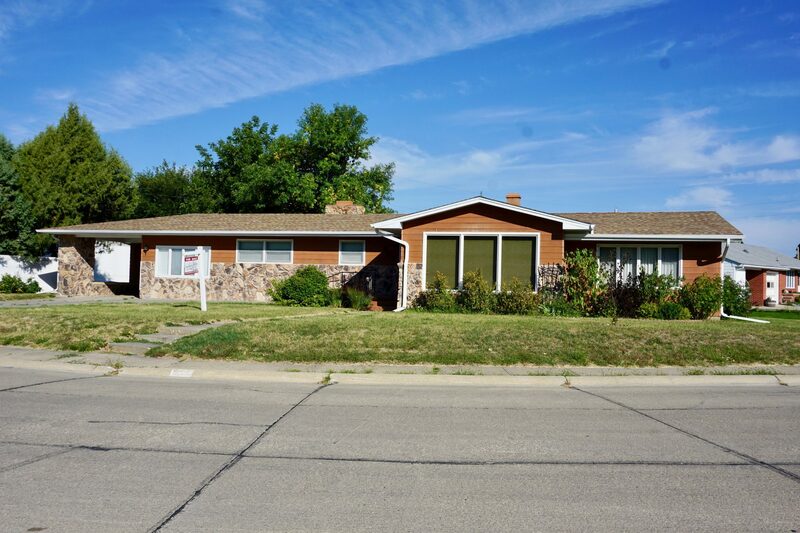 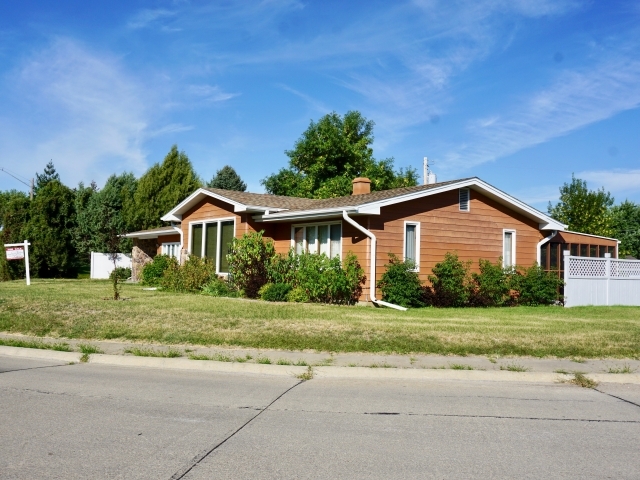 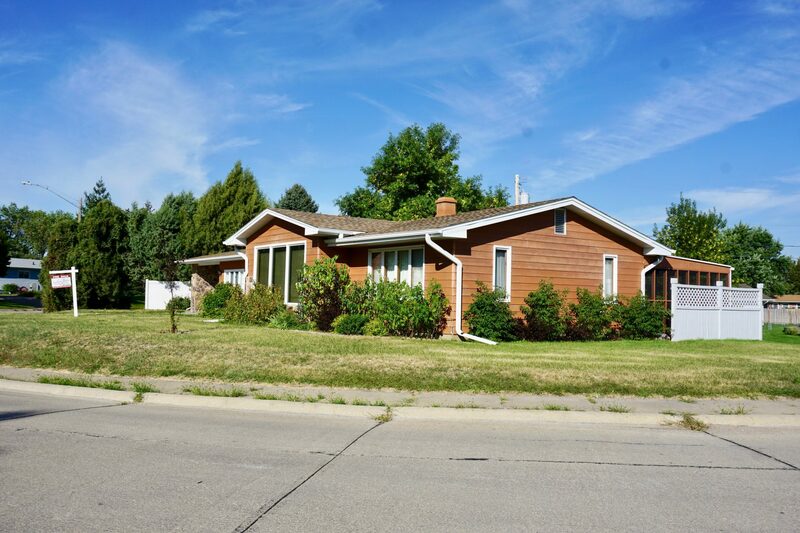 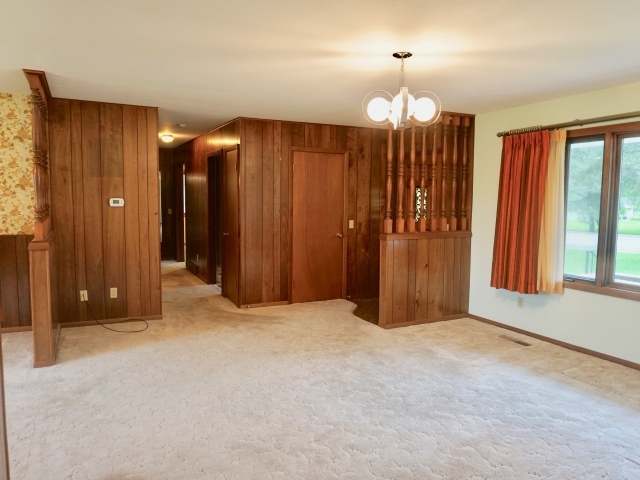 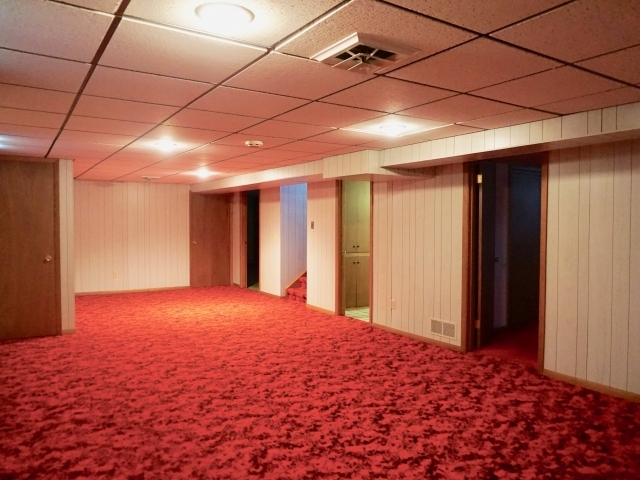 This stately 1950 ranch style home includes over 3,600sqft. There is a large living area with fireplace, sunken living room with screened porch, u-shaped kitchen with dining area, hallway to main bath, 2 side by side bedrooms, and master suite on the main level. 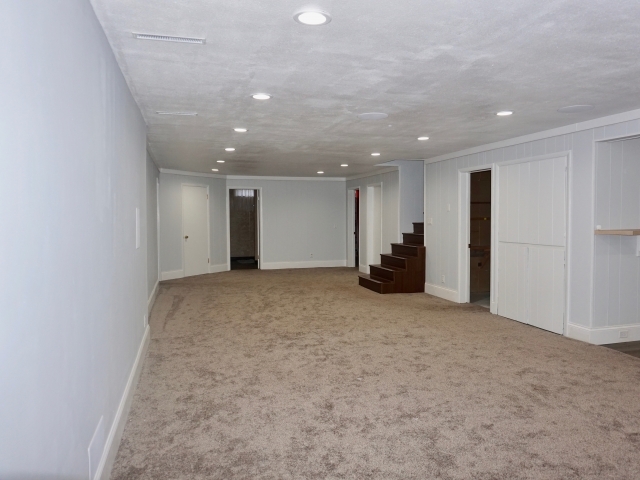 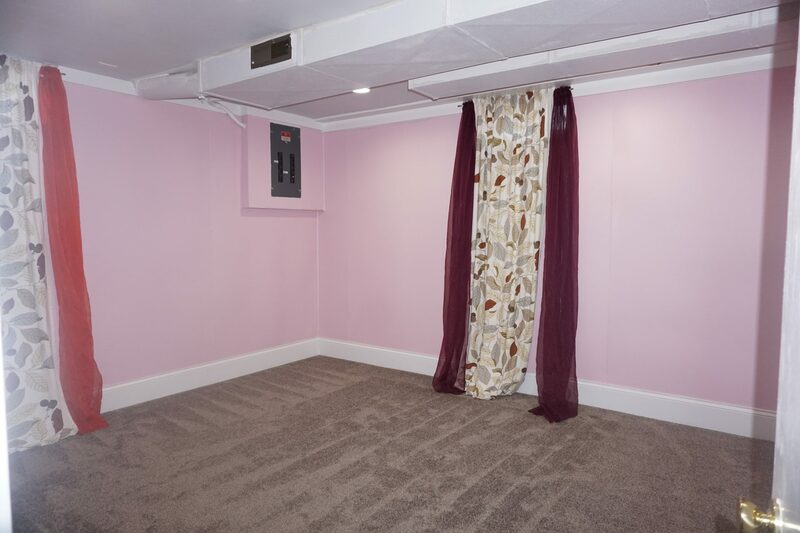 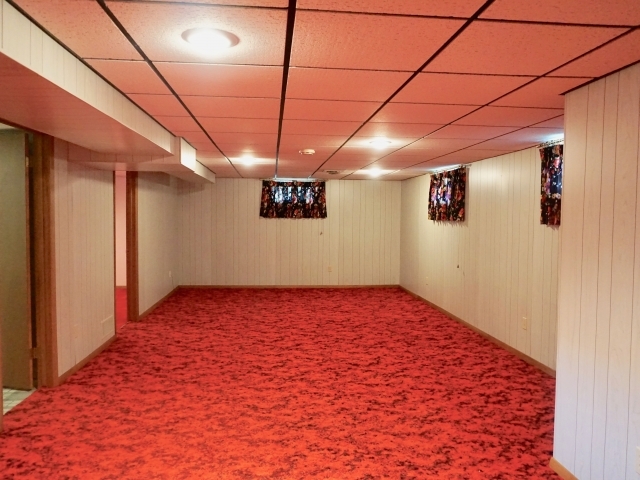 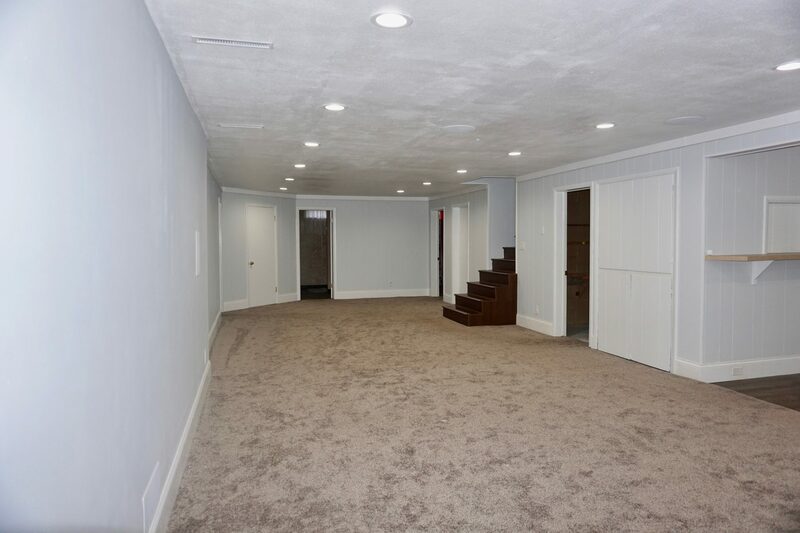 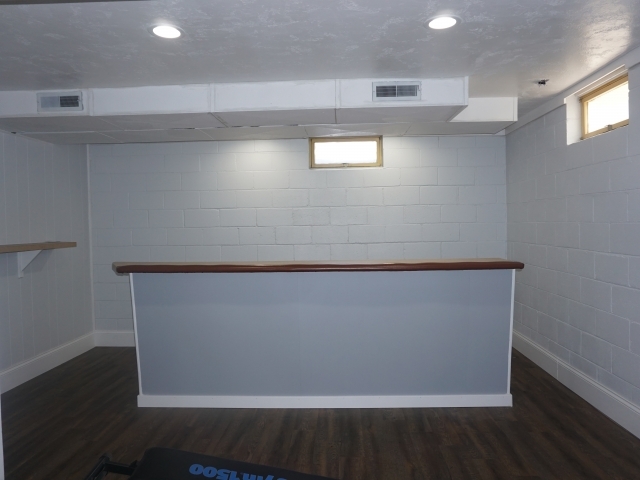 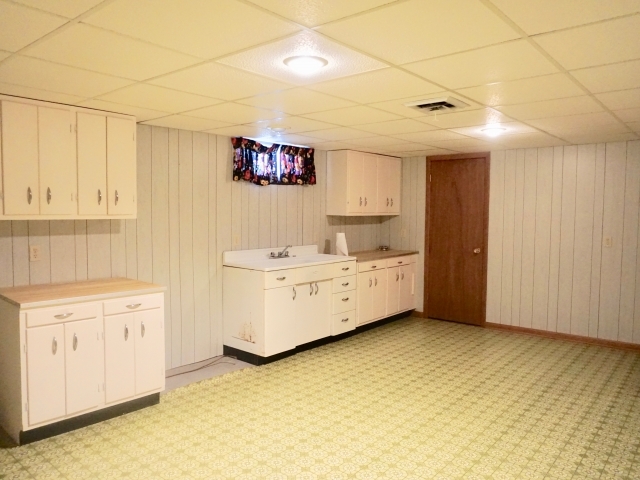 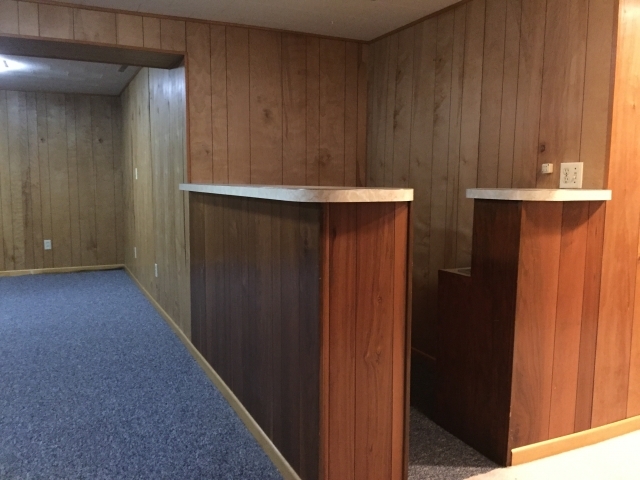 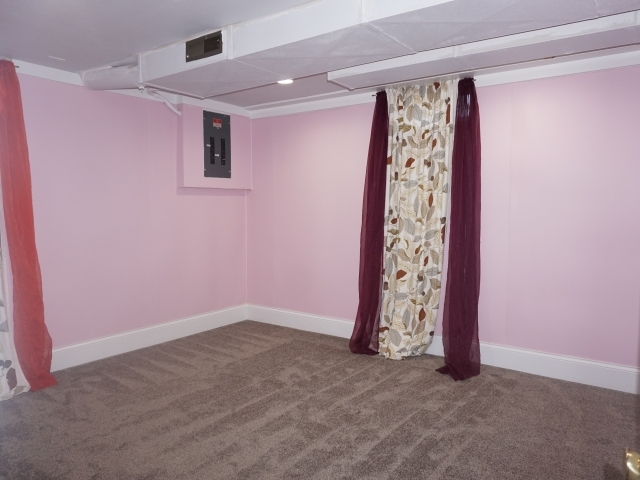 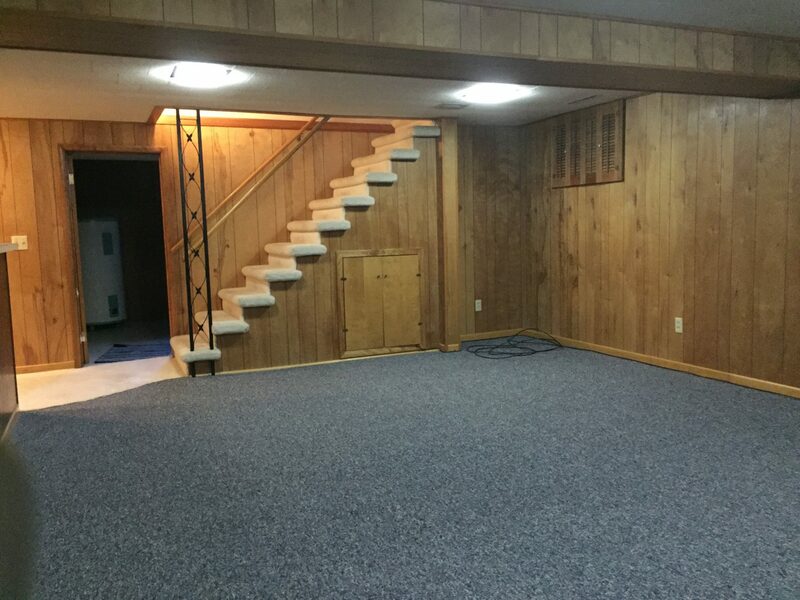 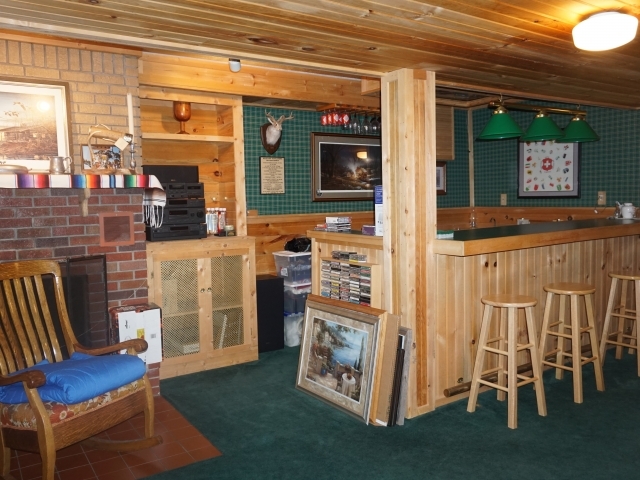 The basement includes a large area for entertaining complete with a bar, bedroom, bathroom, laundry room, and storage room. 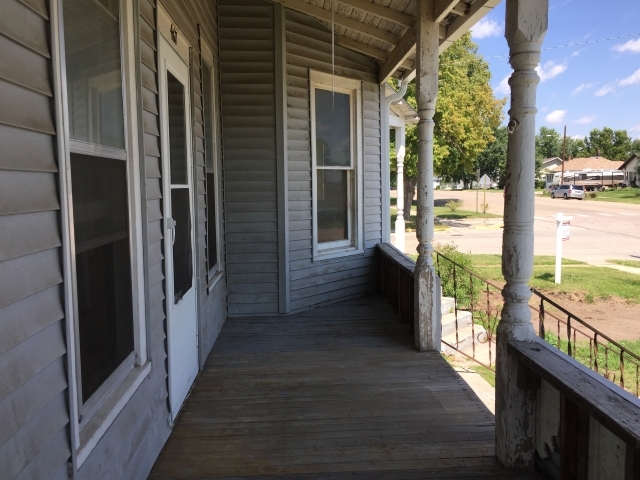 The exterior has recently been updated with new shingles, rain gutters, and screened porch. 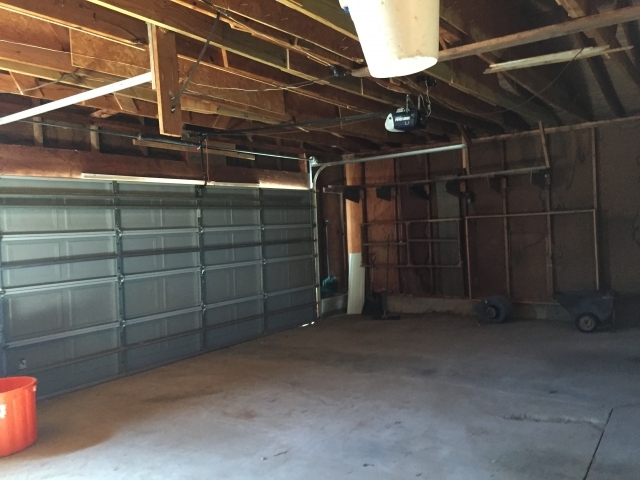 There is an attached carport leading to the single car garage, an oversized lot complete with underground sprinklers, and great location within Elenora Drive.